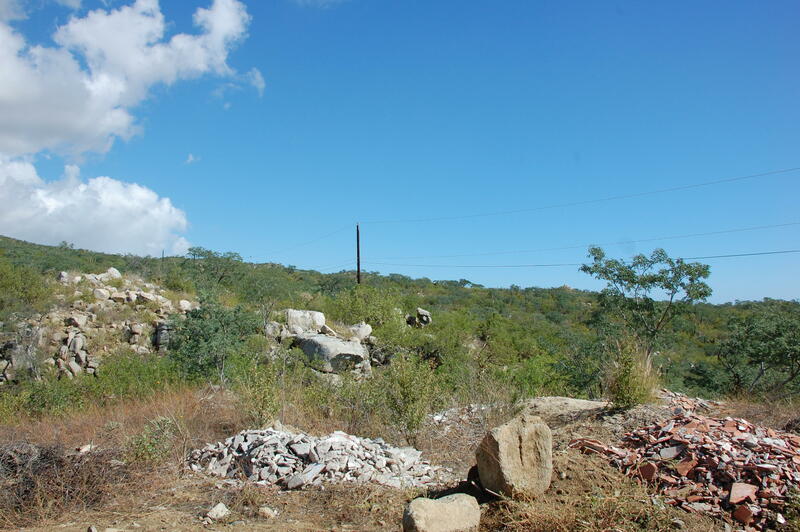 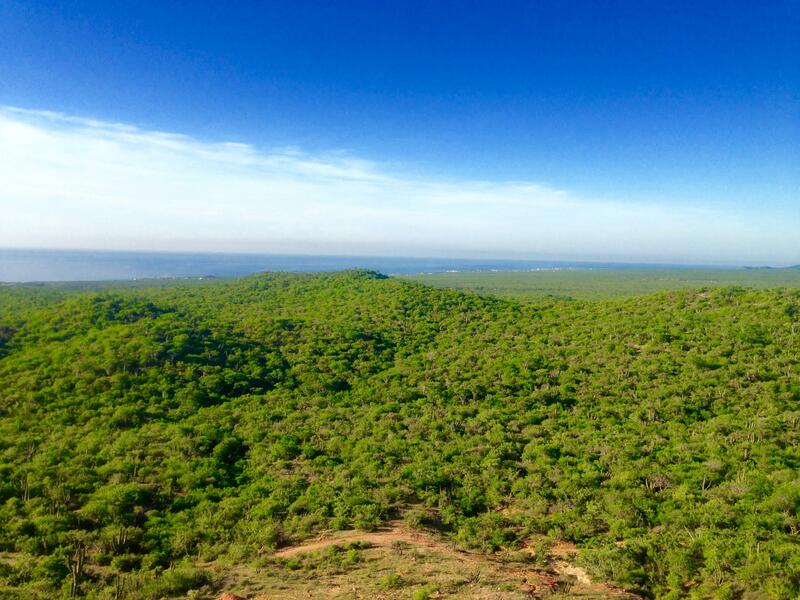 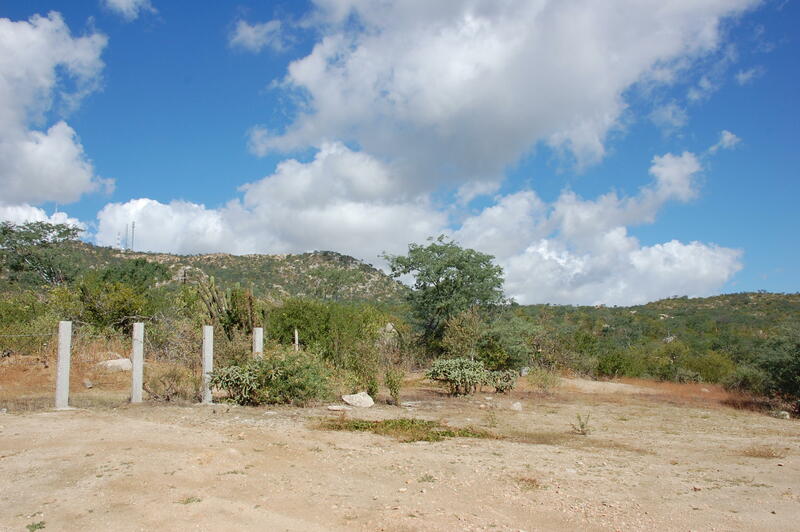 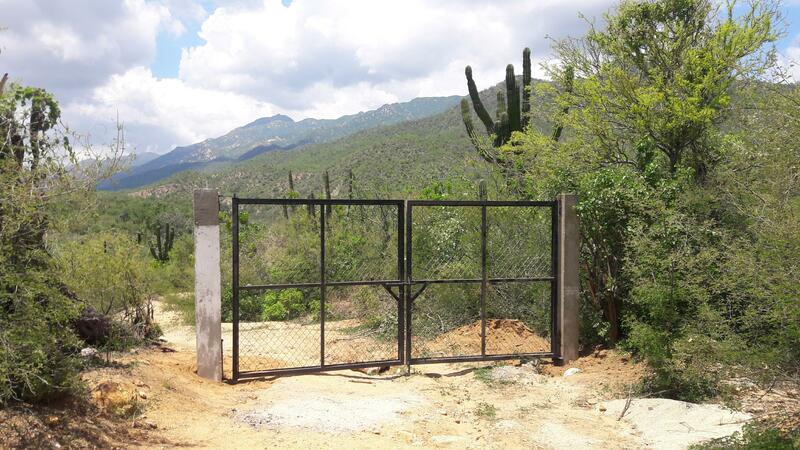 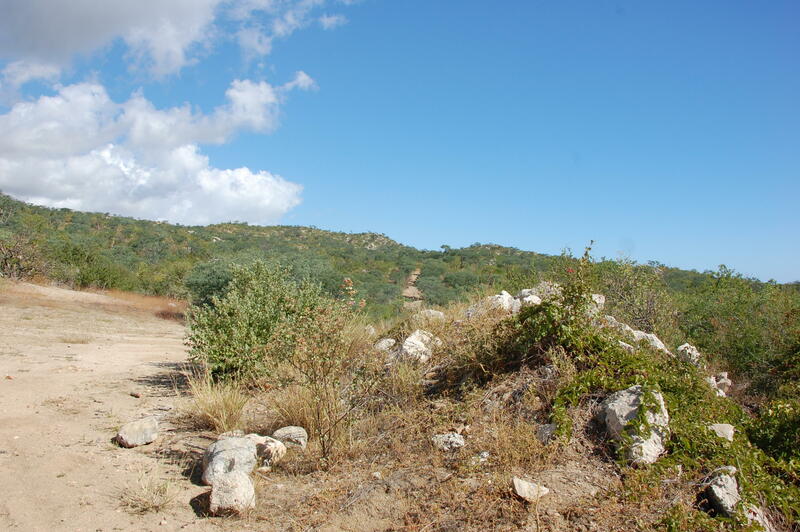 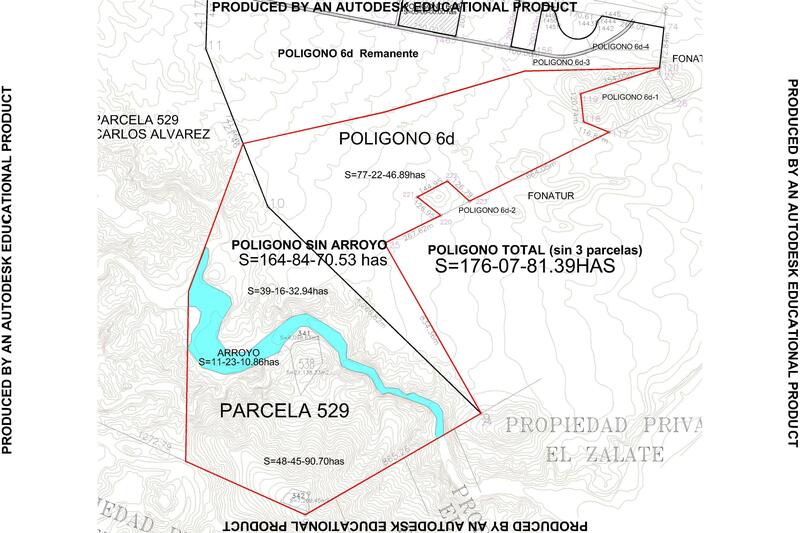 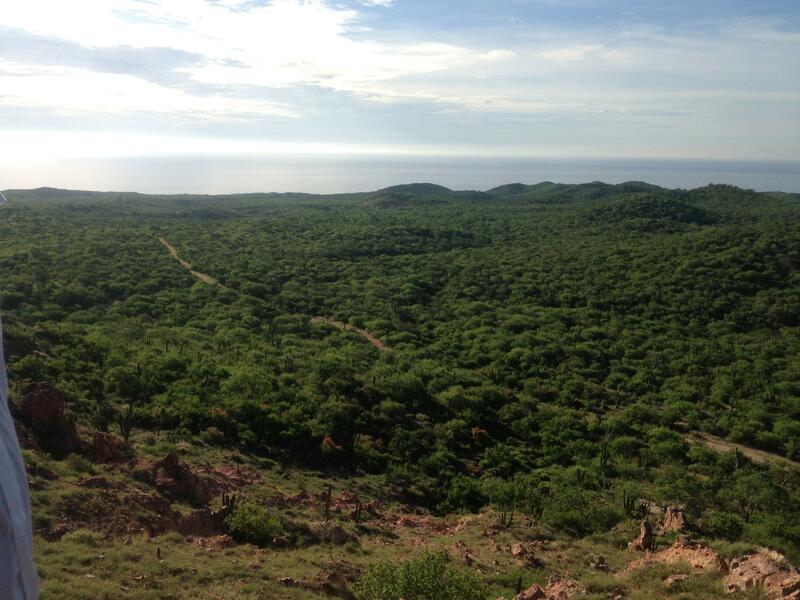 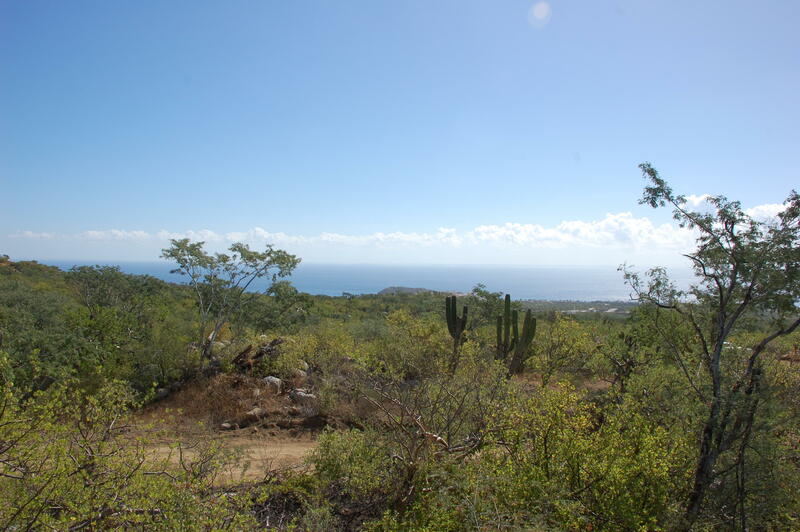 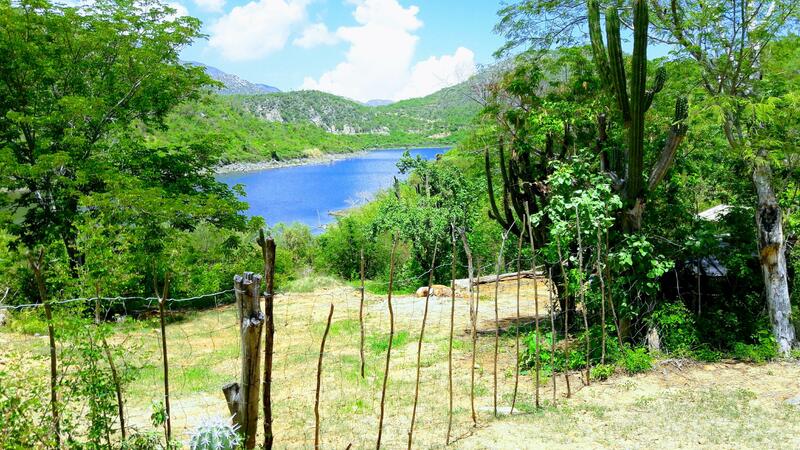 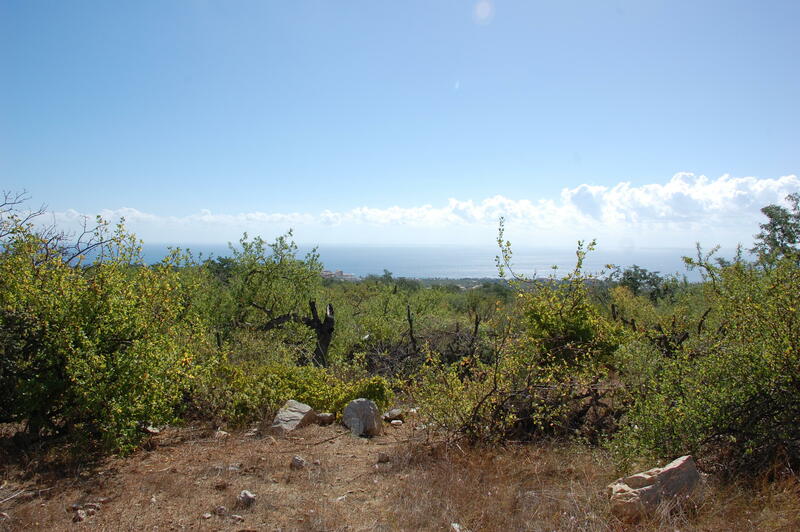 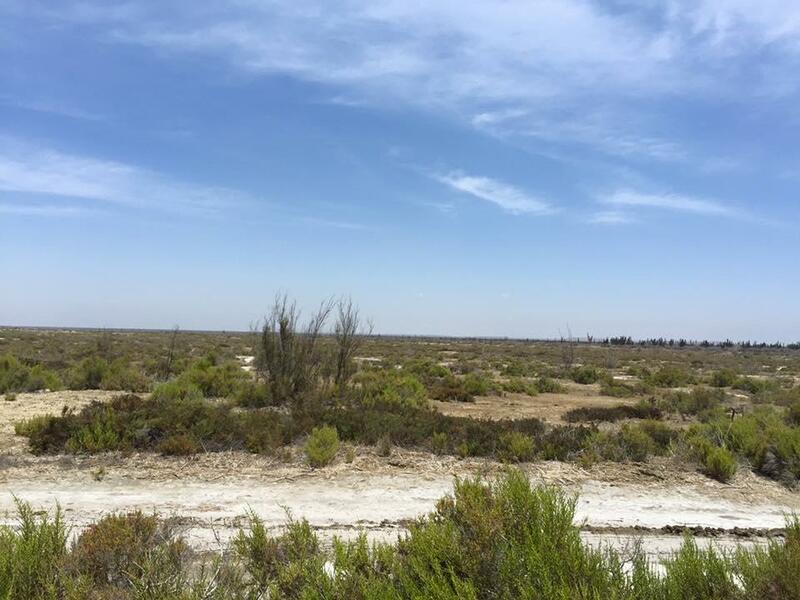 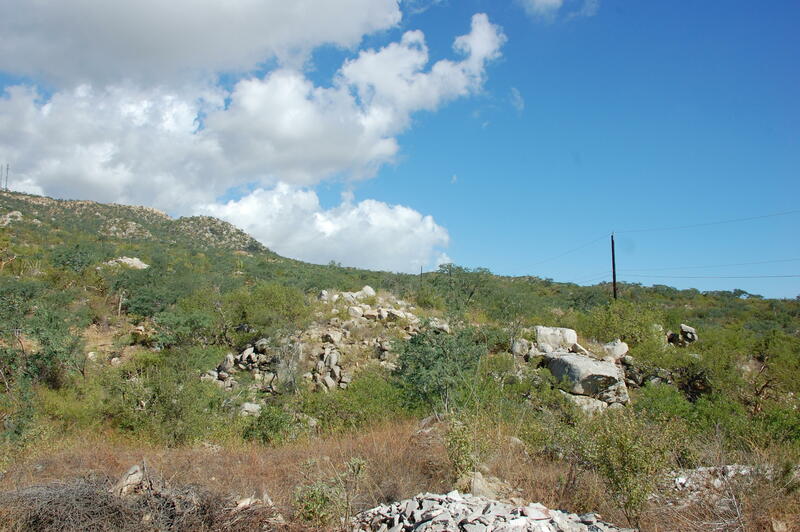 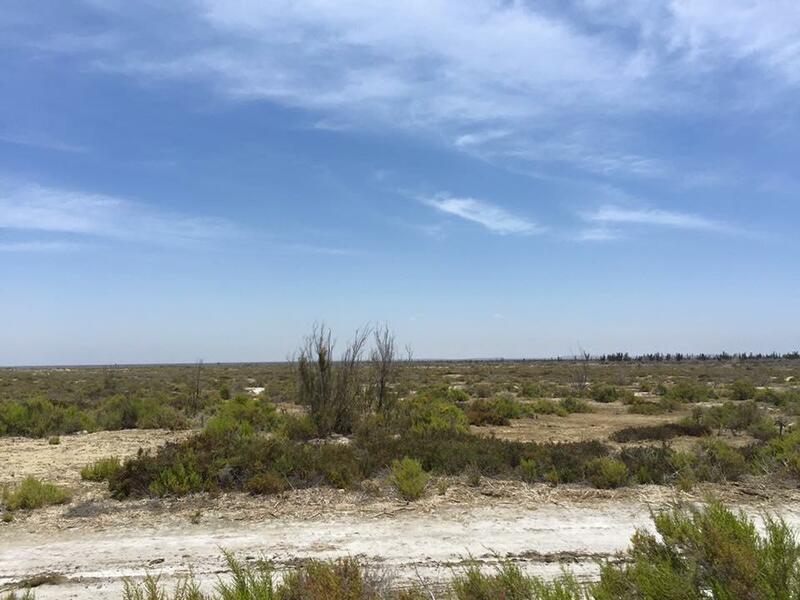 Description: 85 hectares or 210 acres of developer land. 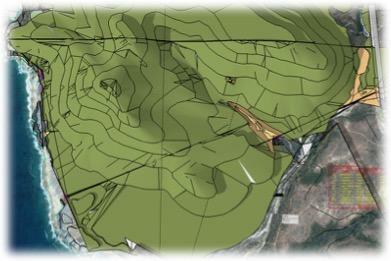 The parcel can be subdivided and a smaller piece can be purchased. 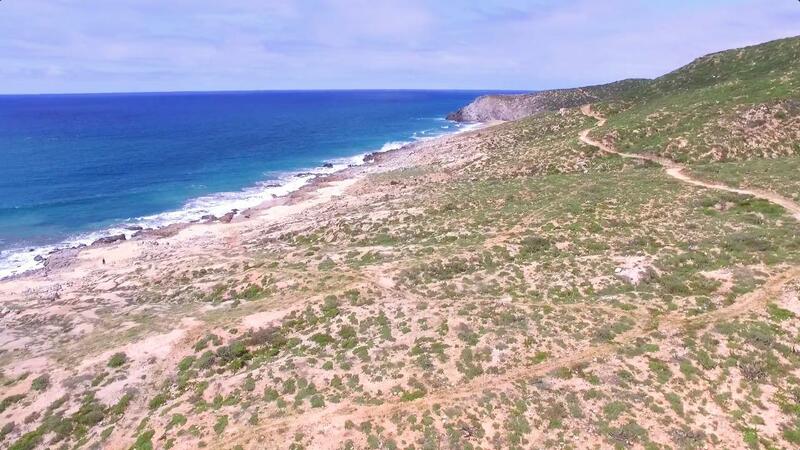 This parcel has great ocean, arch and city light views. 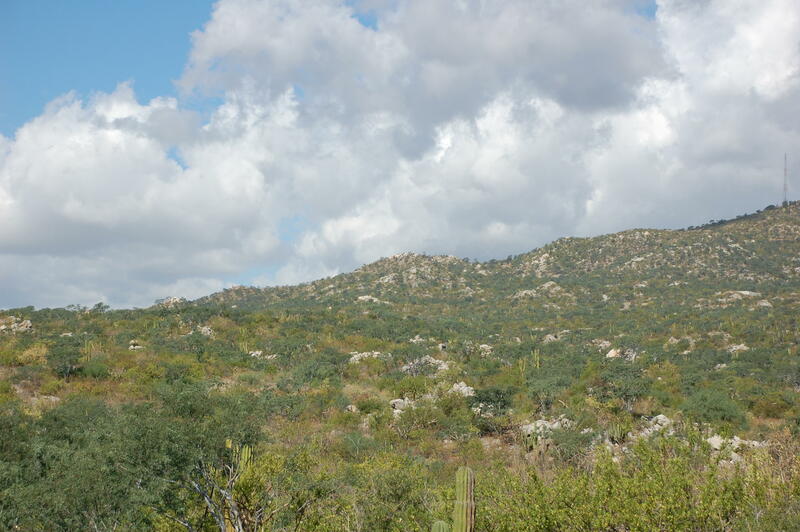 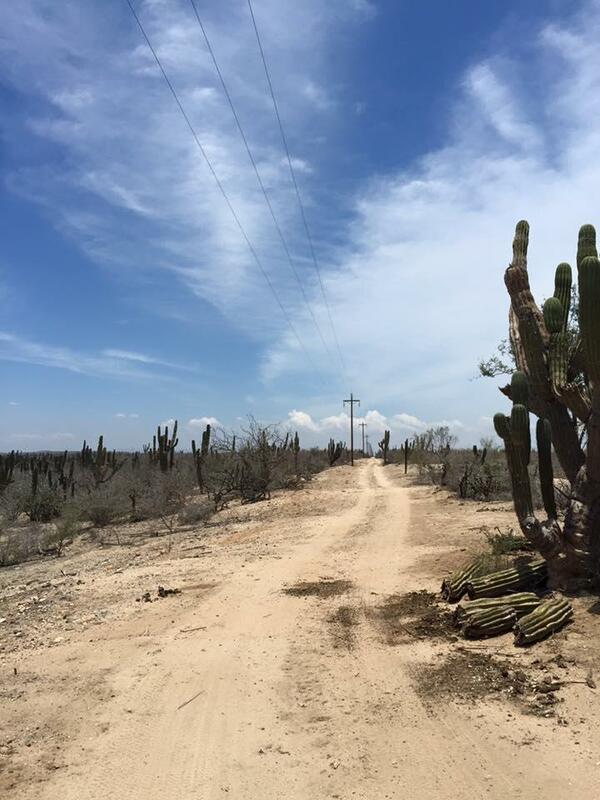 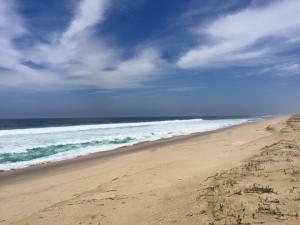 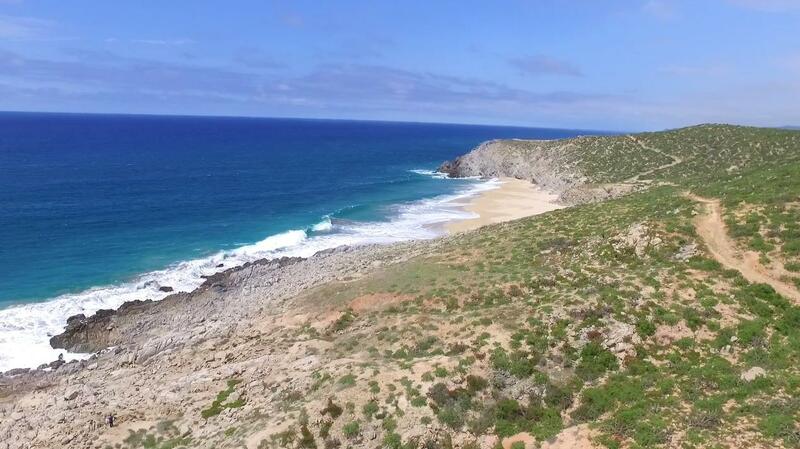 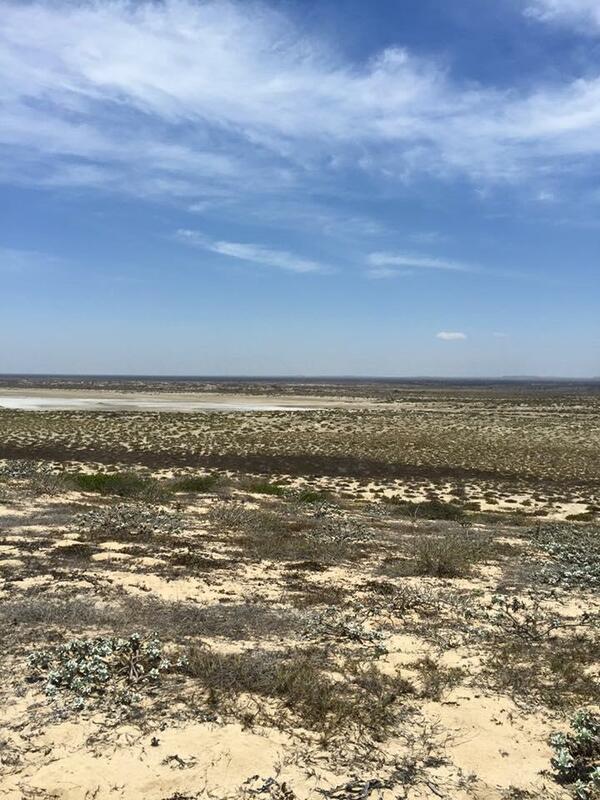 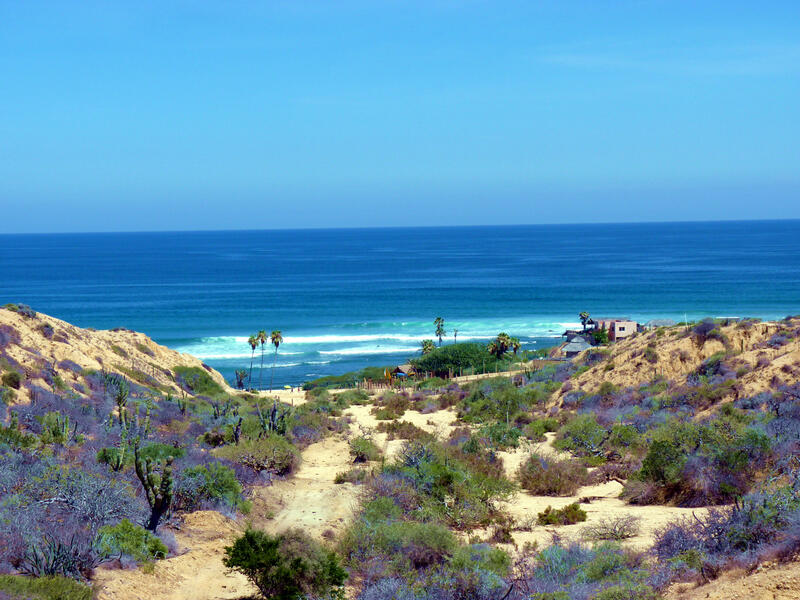 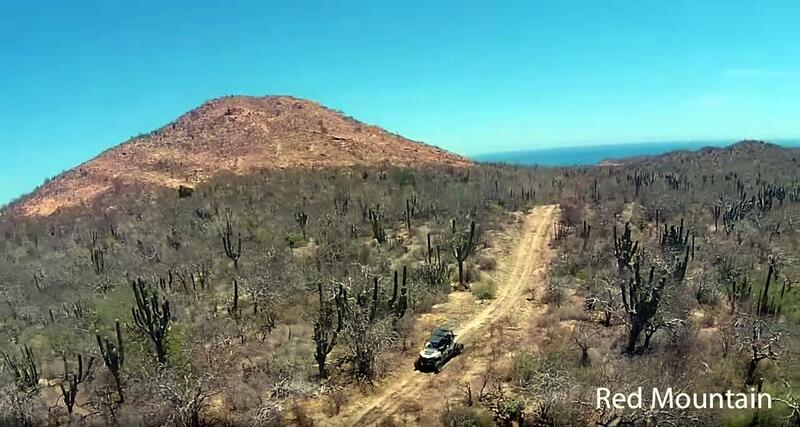 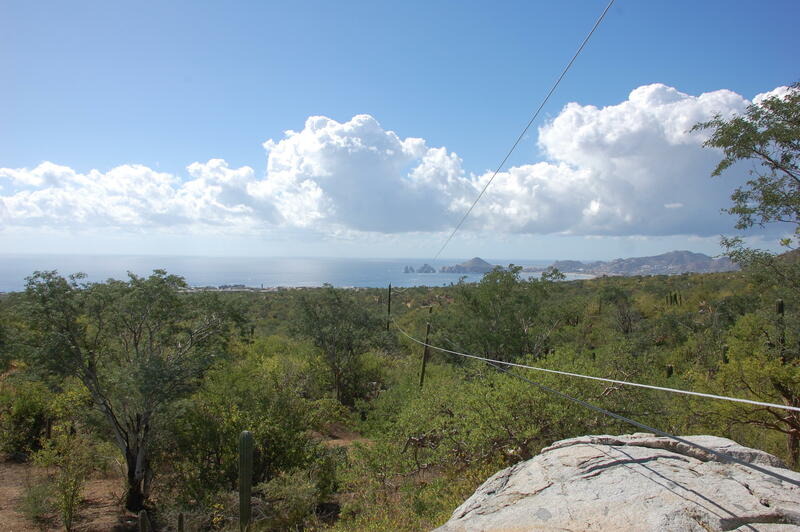 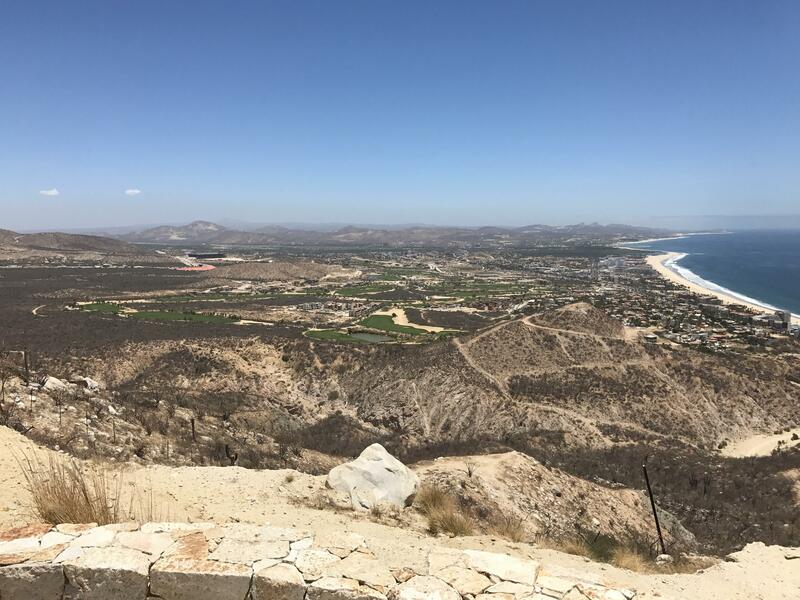 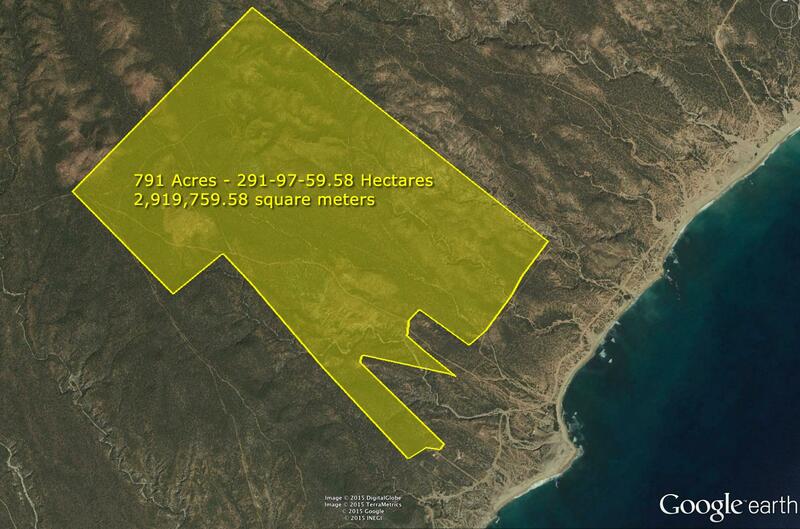 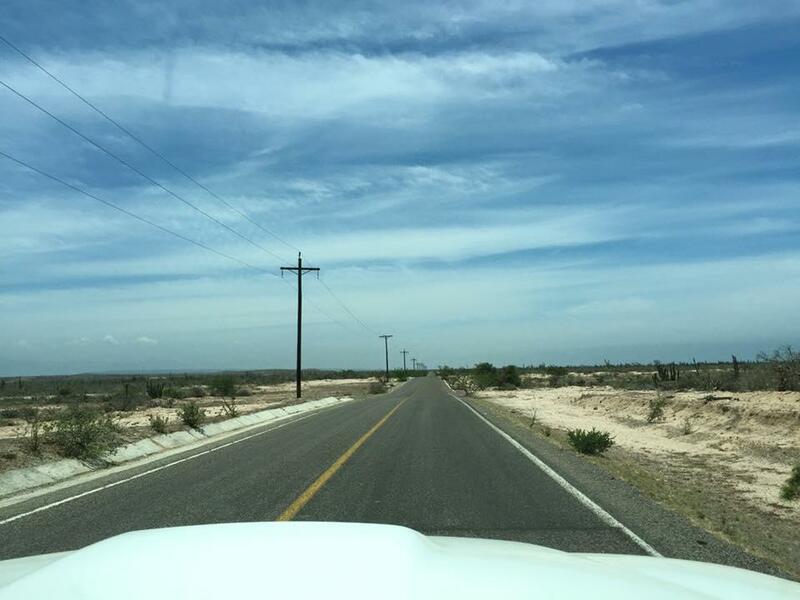 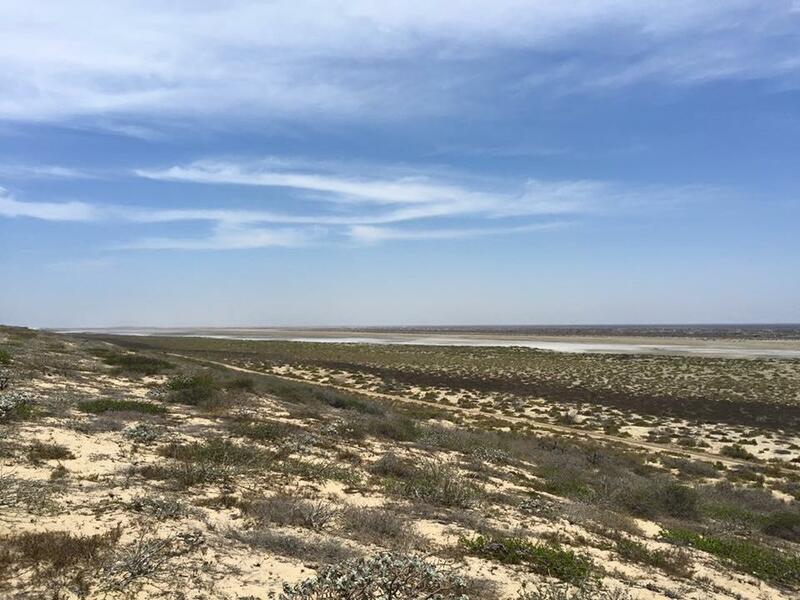 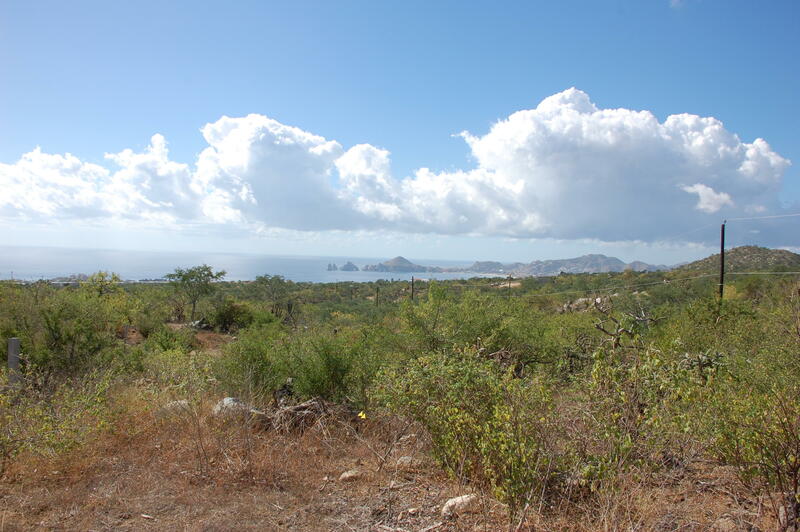 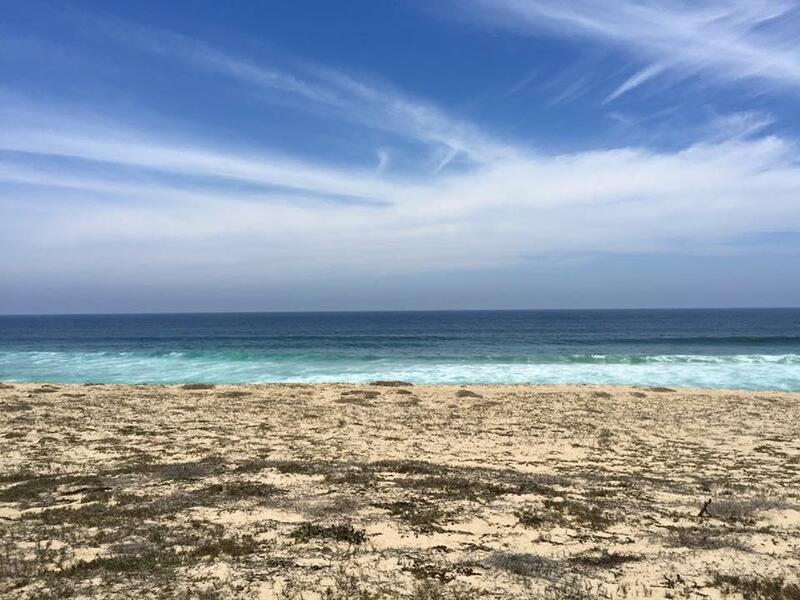 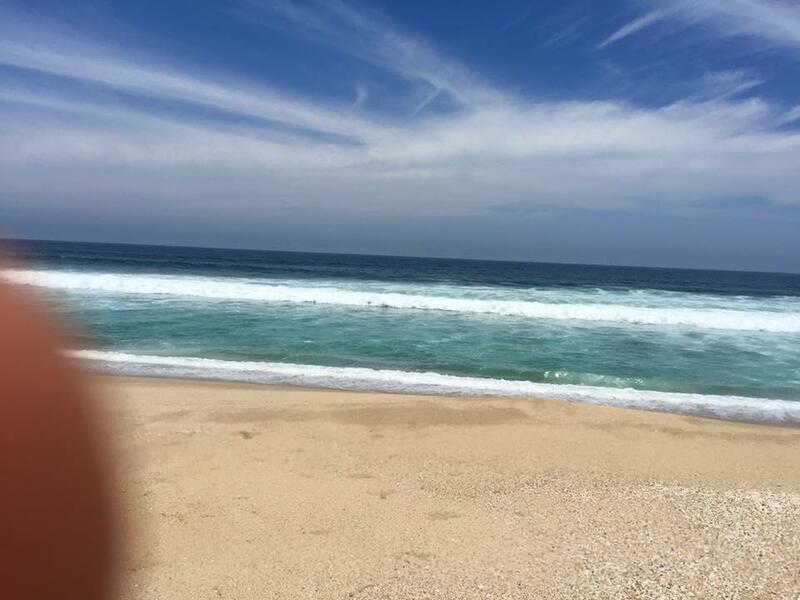 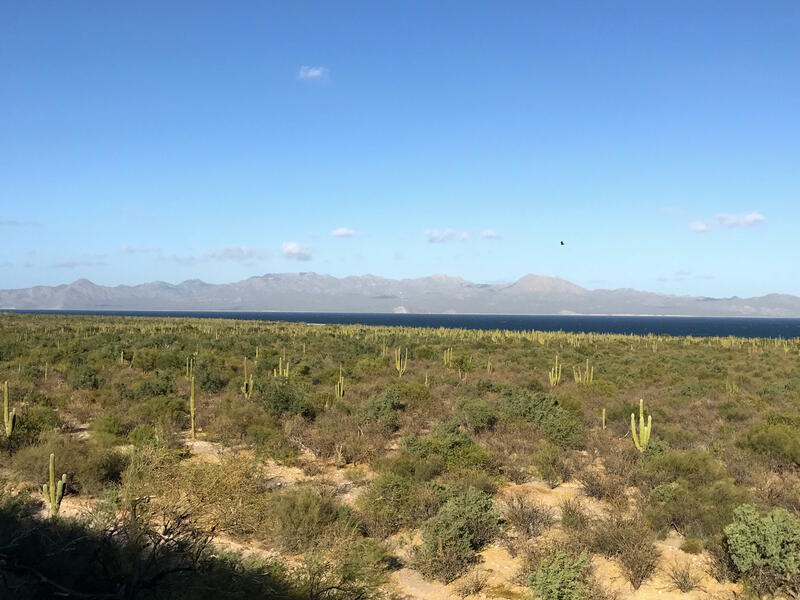 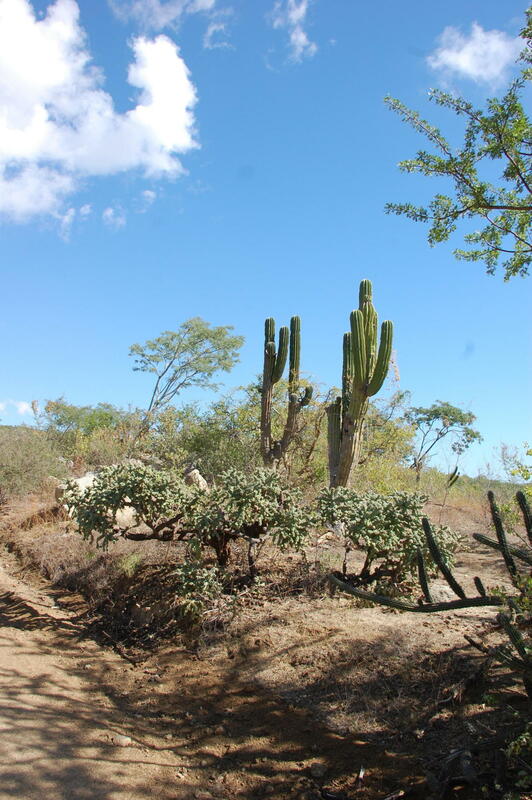 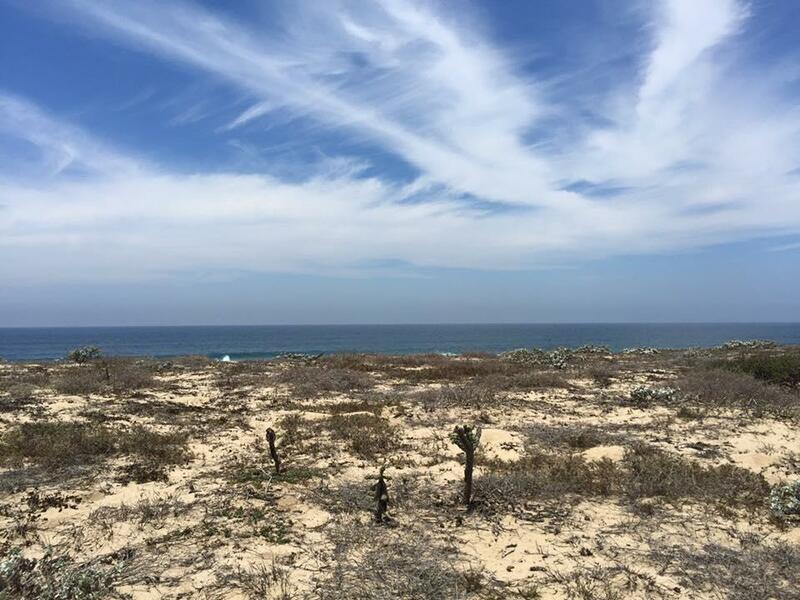 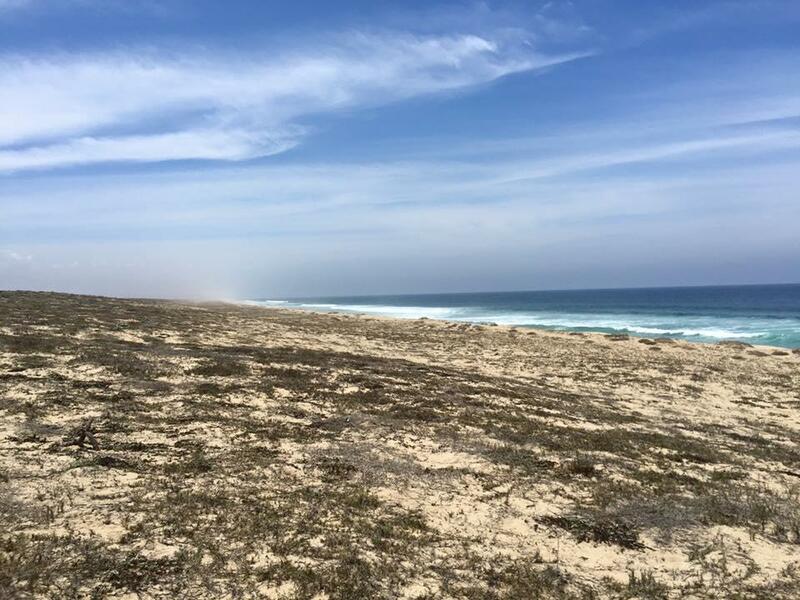 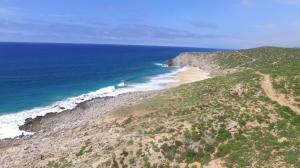 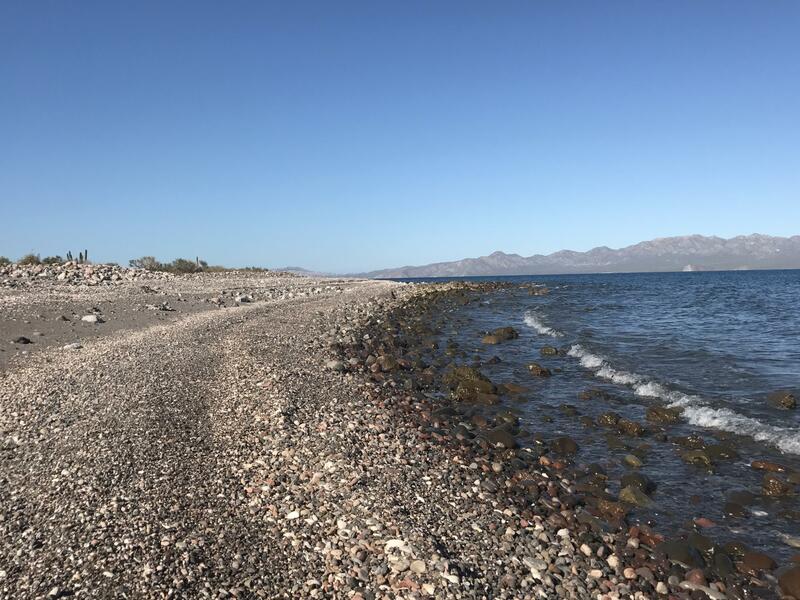 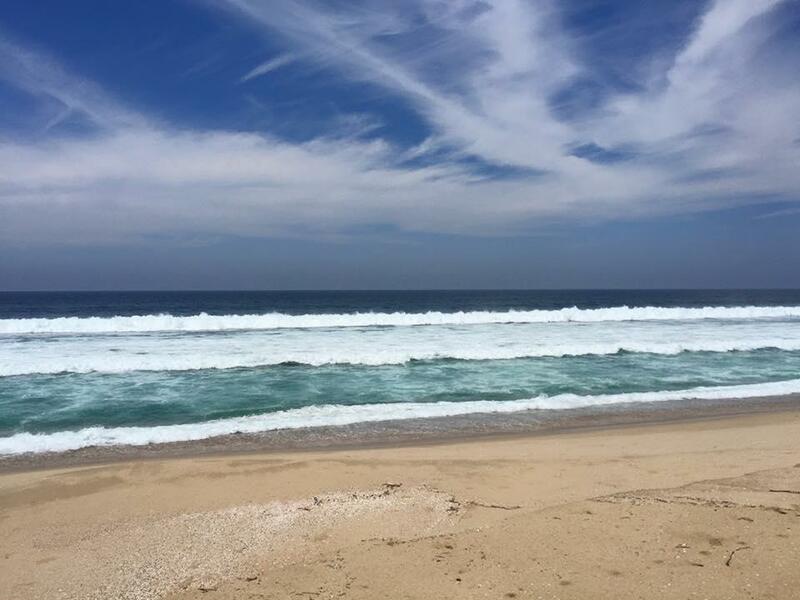 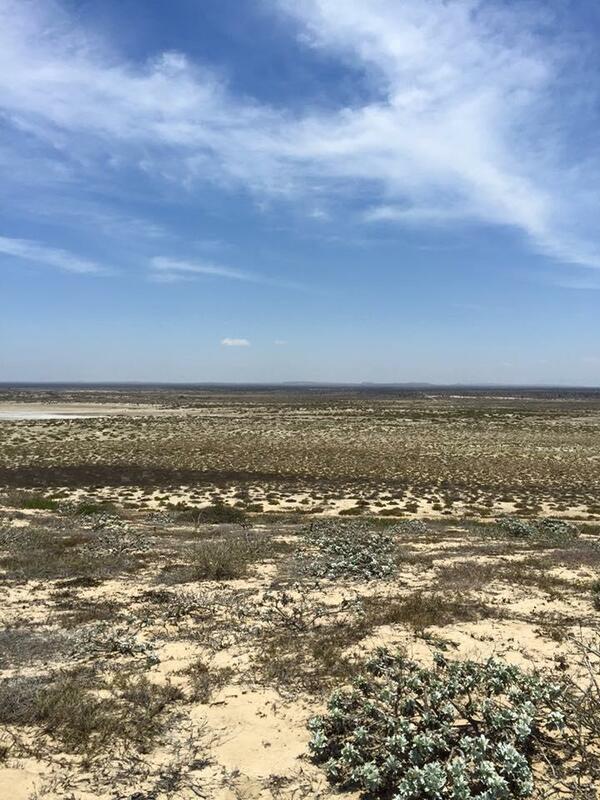 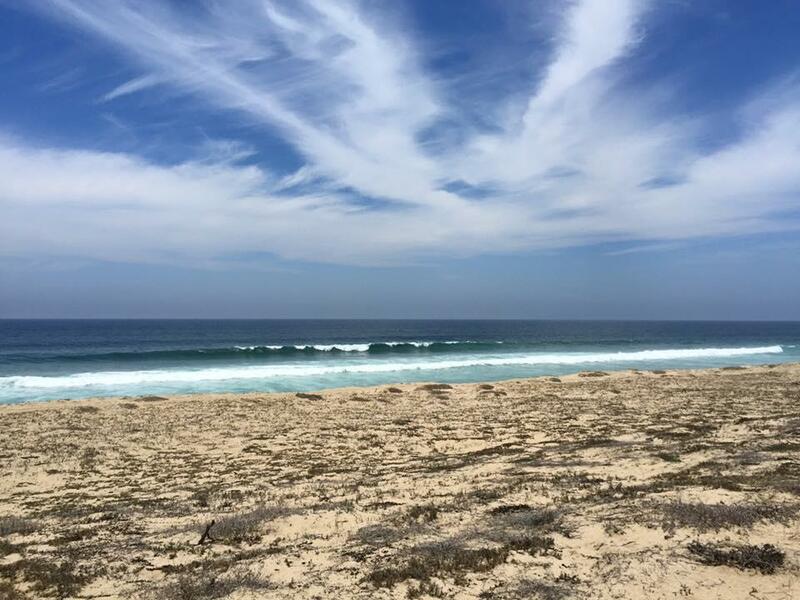 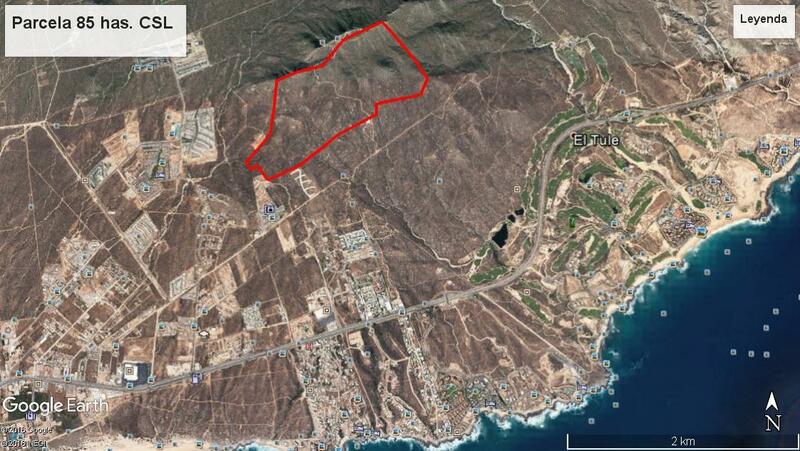 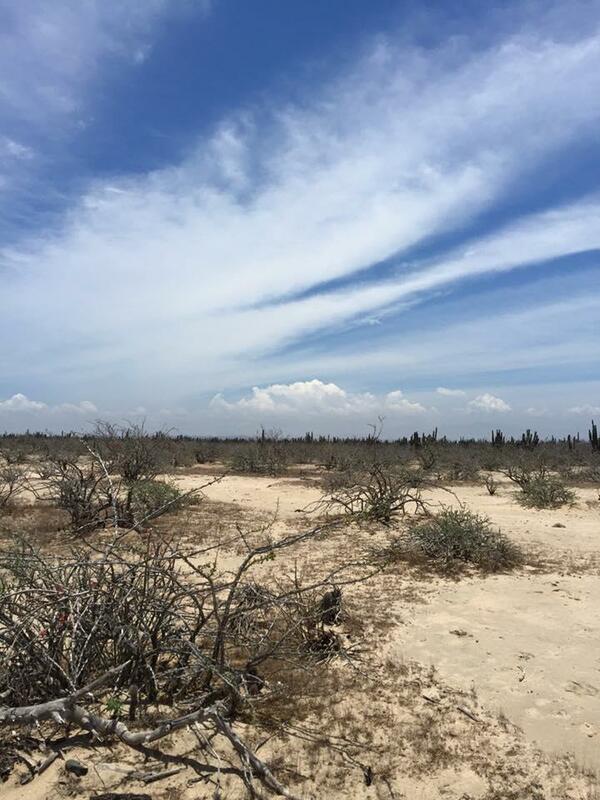 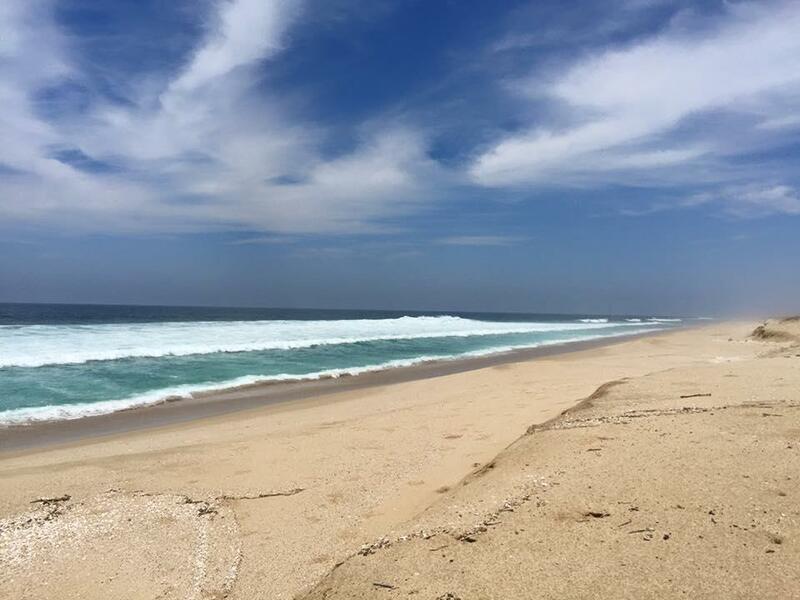 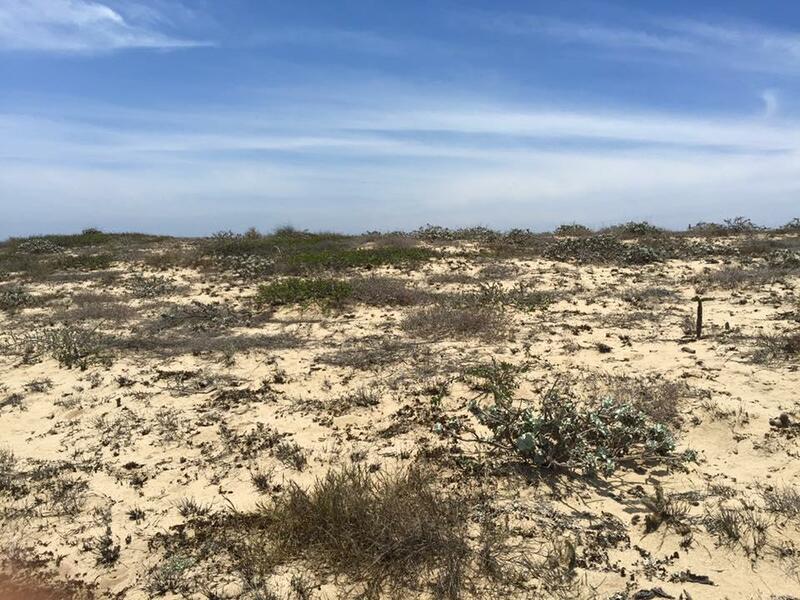 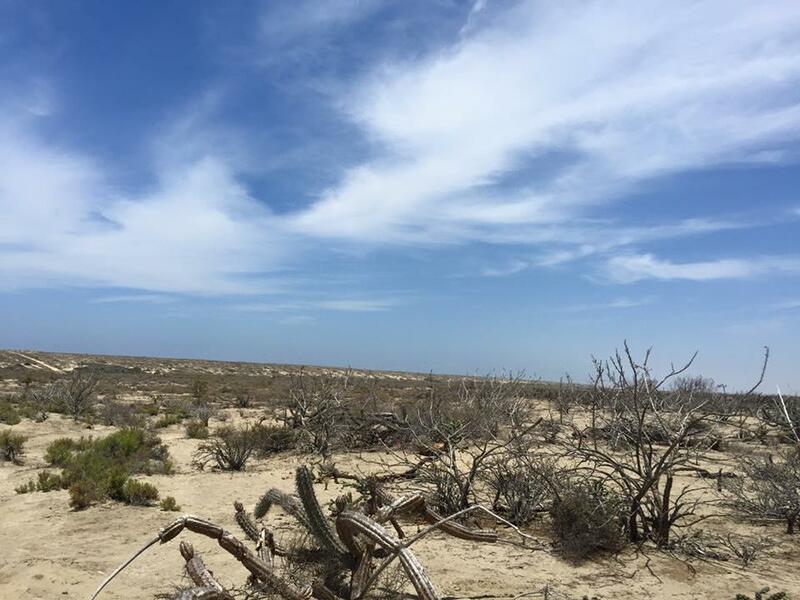 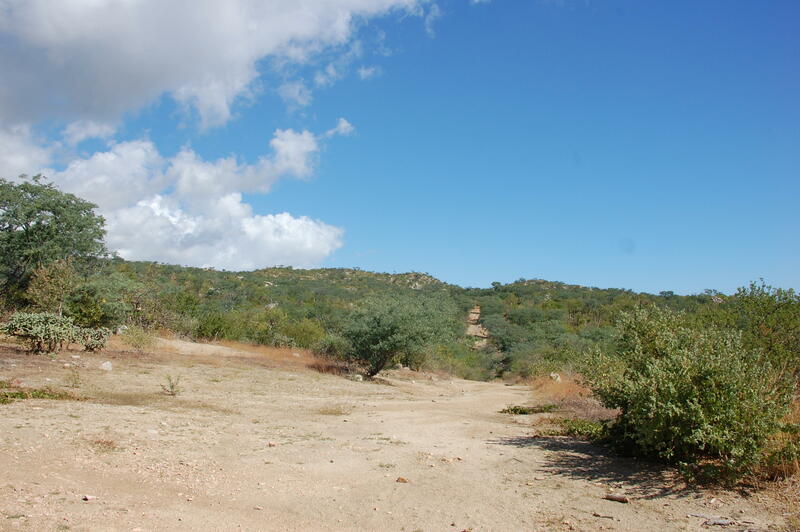 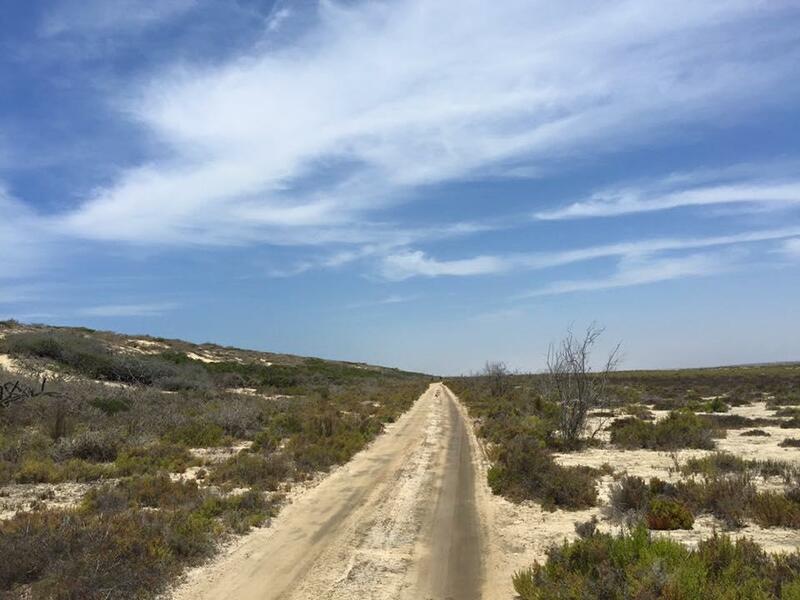 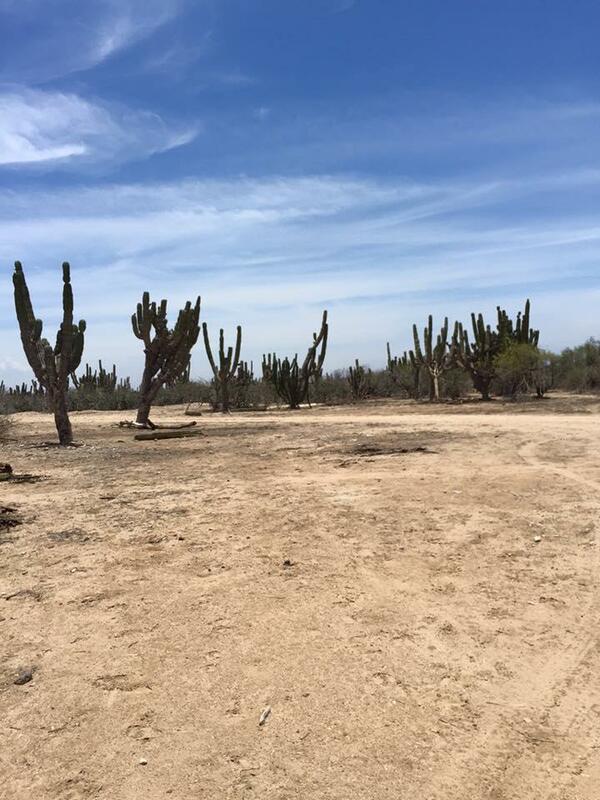 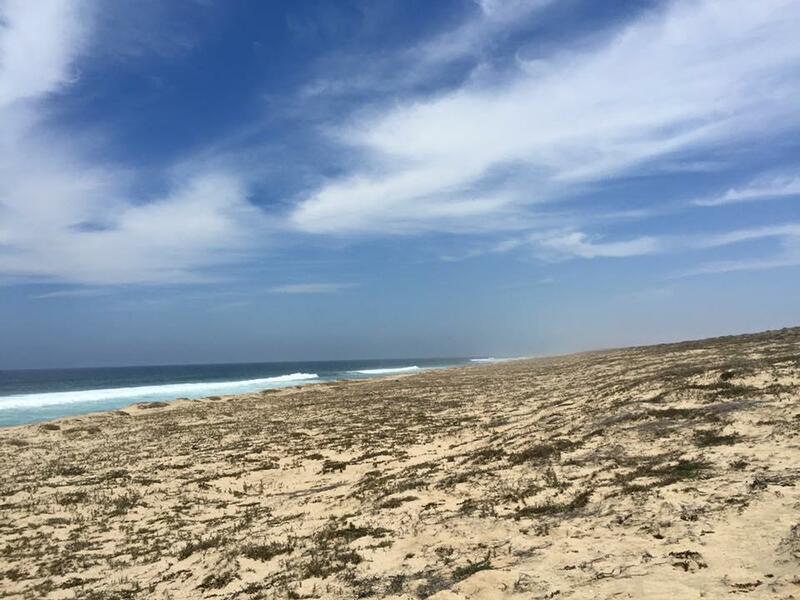 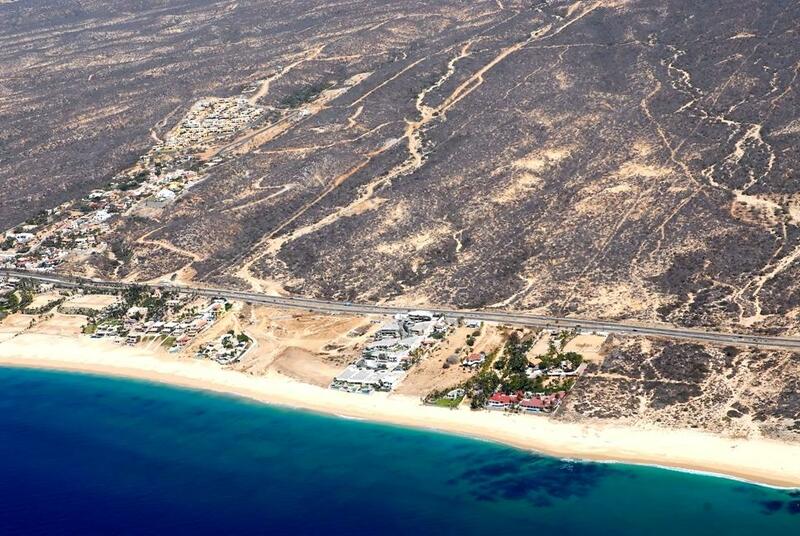 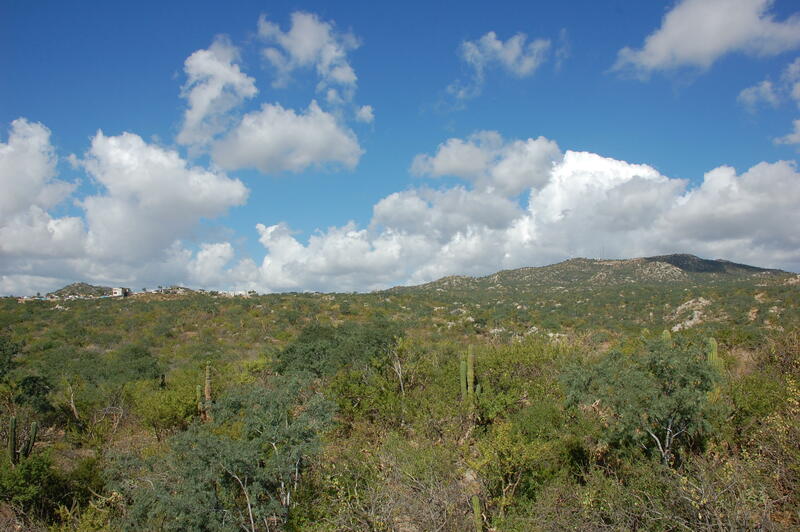 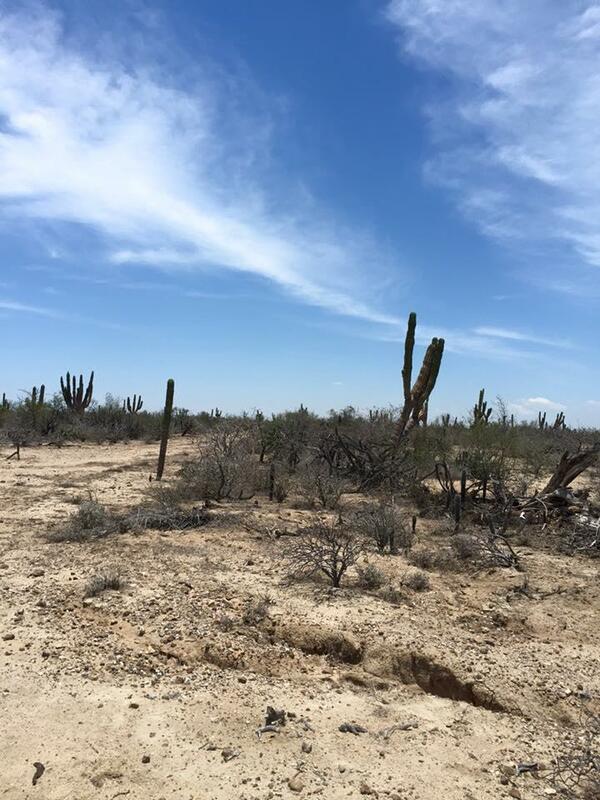 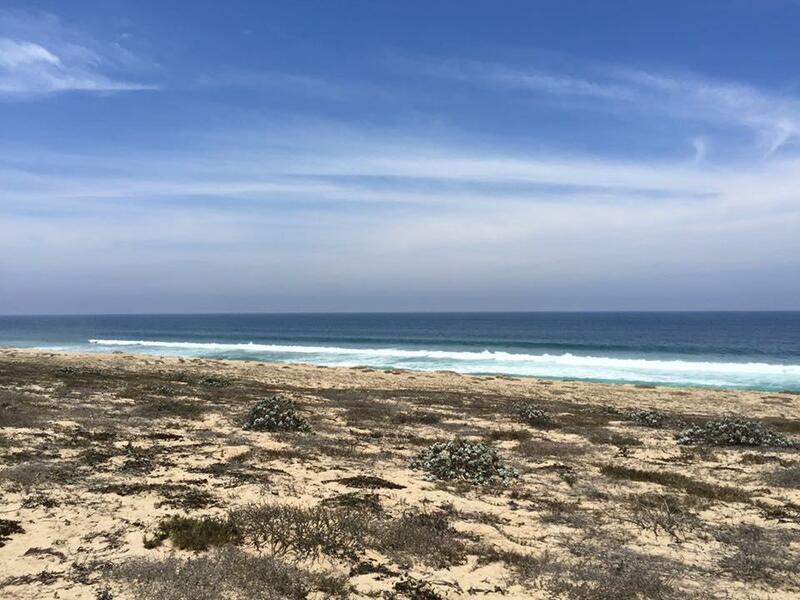 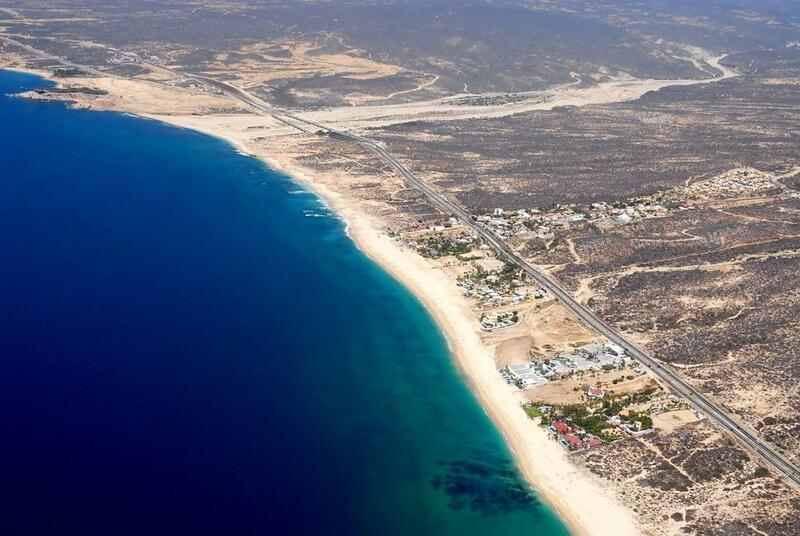 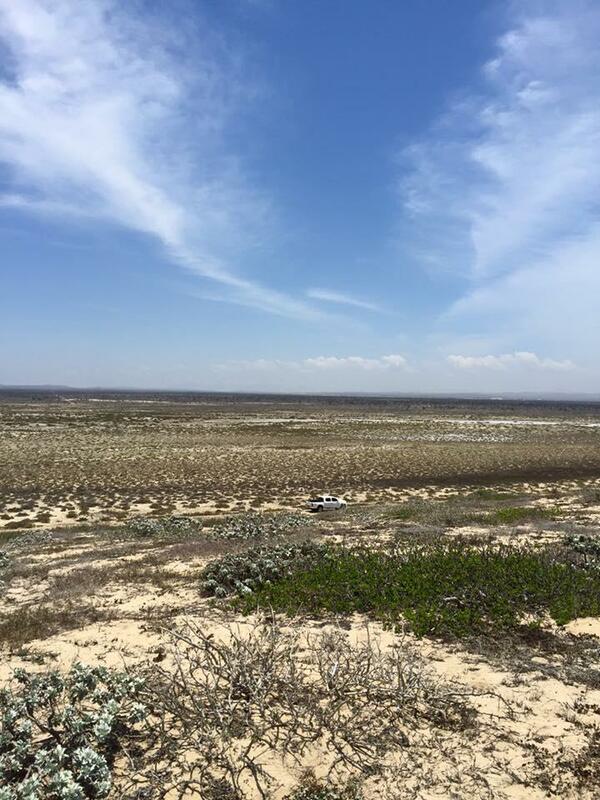 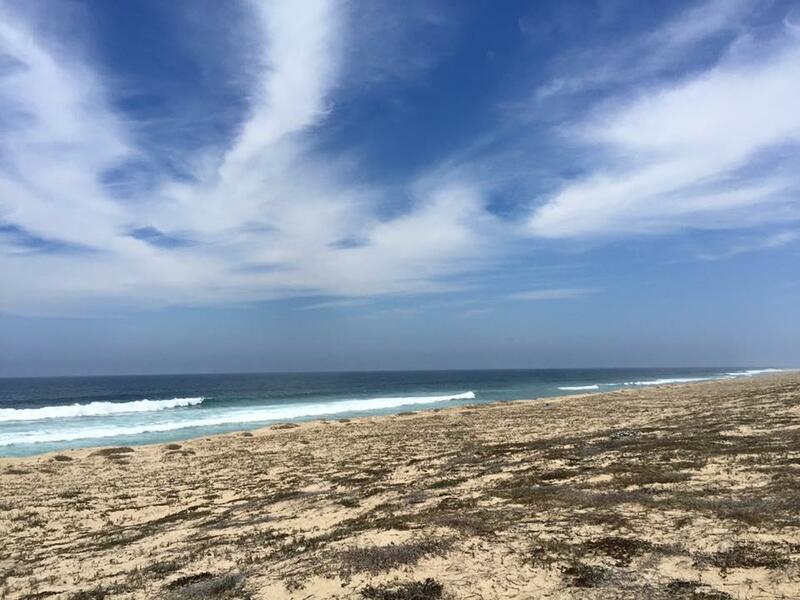 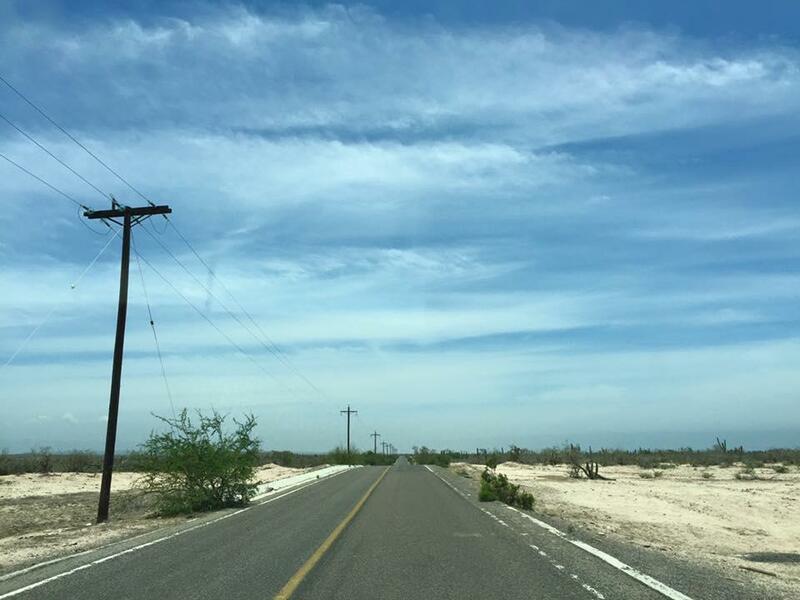 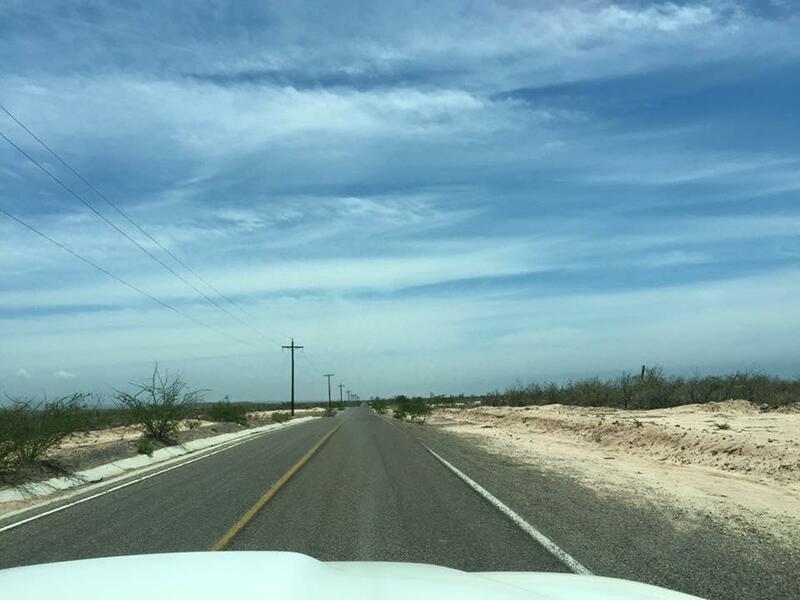 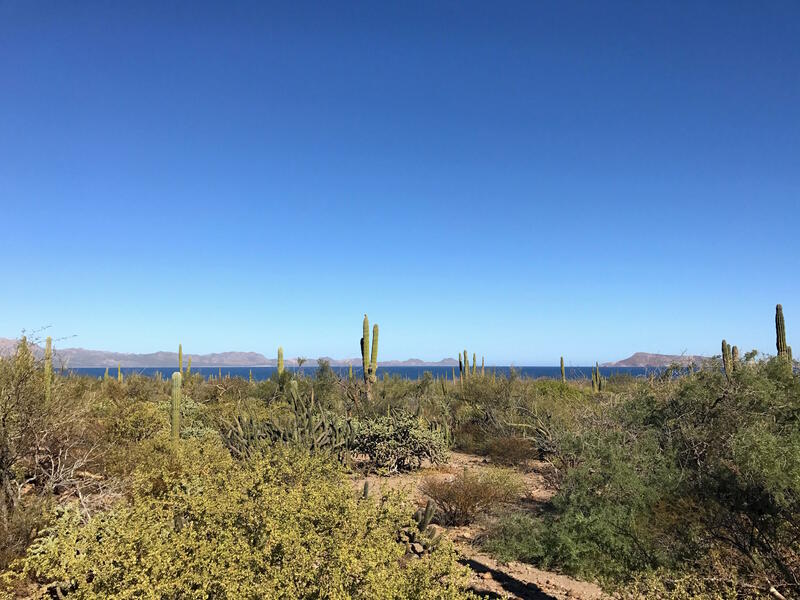 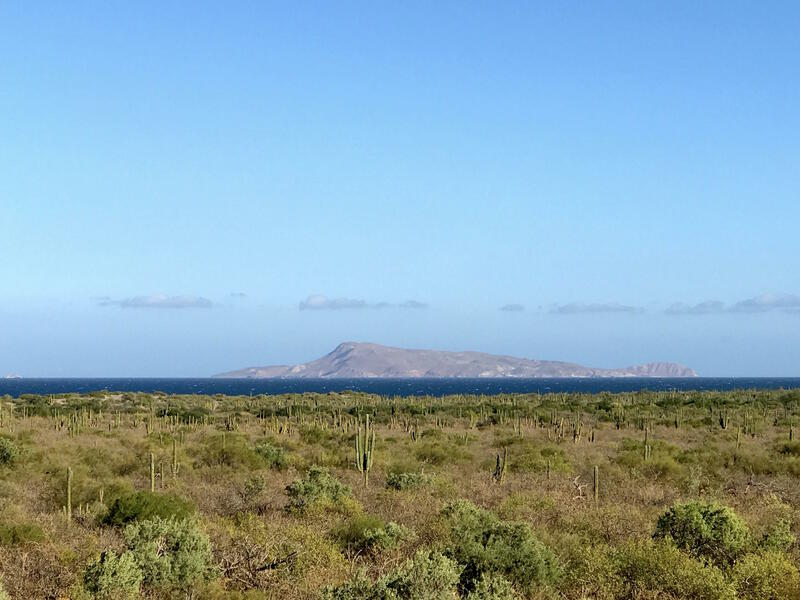 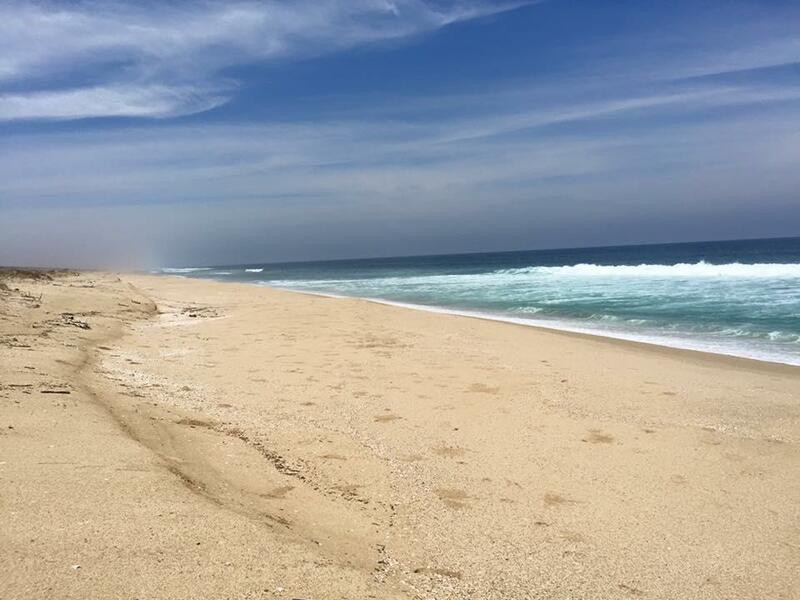 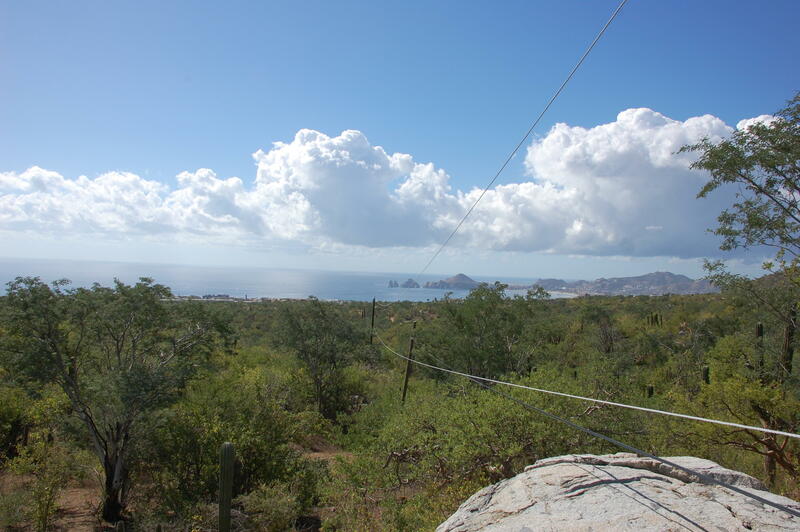 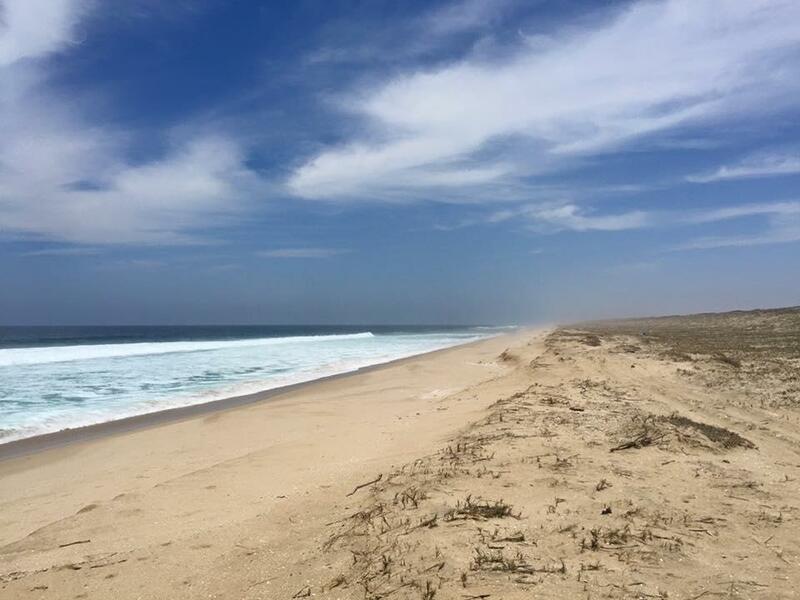 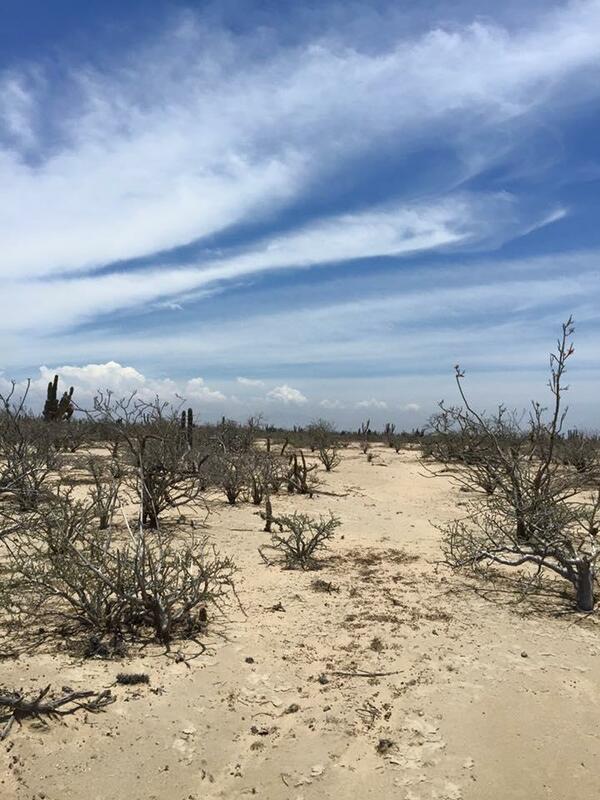 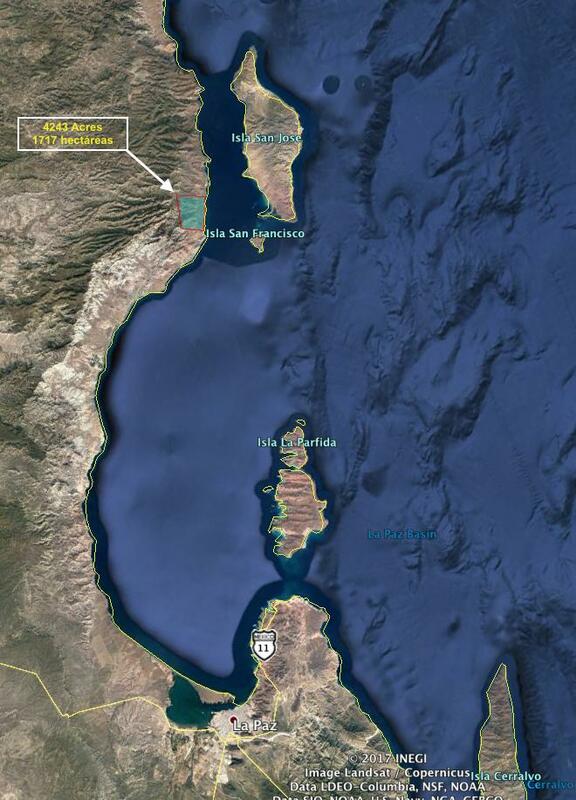 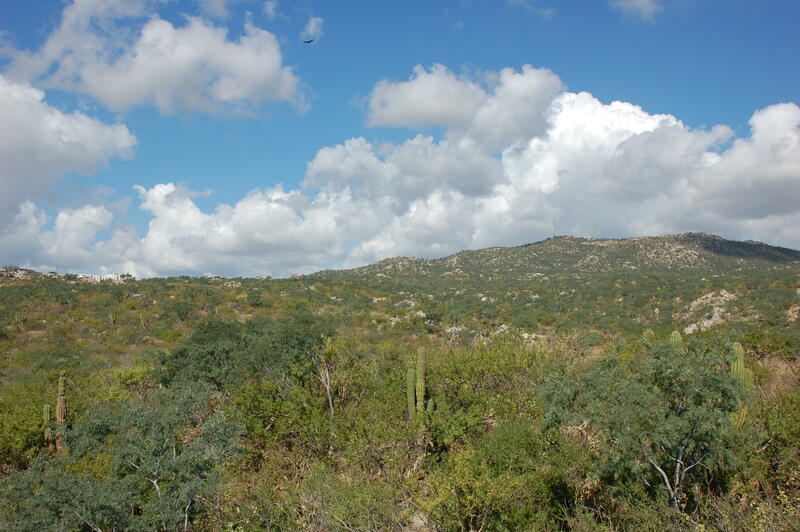 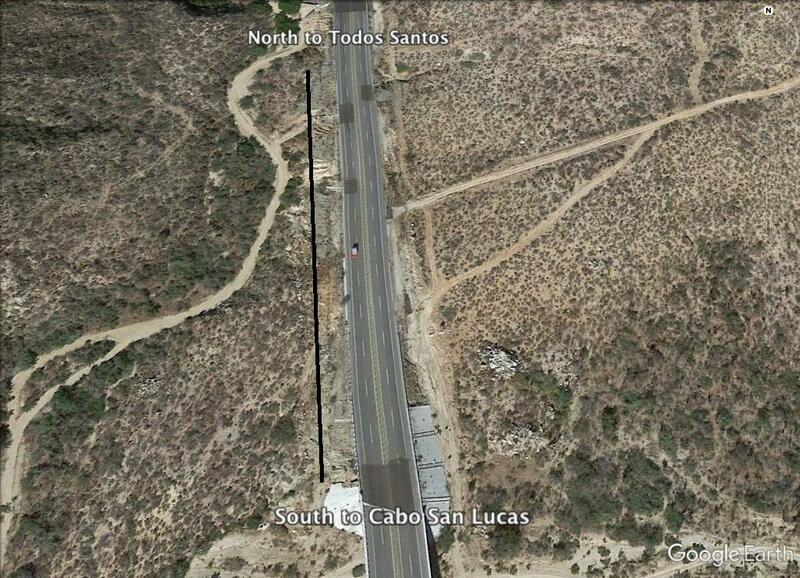 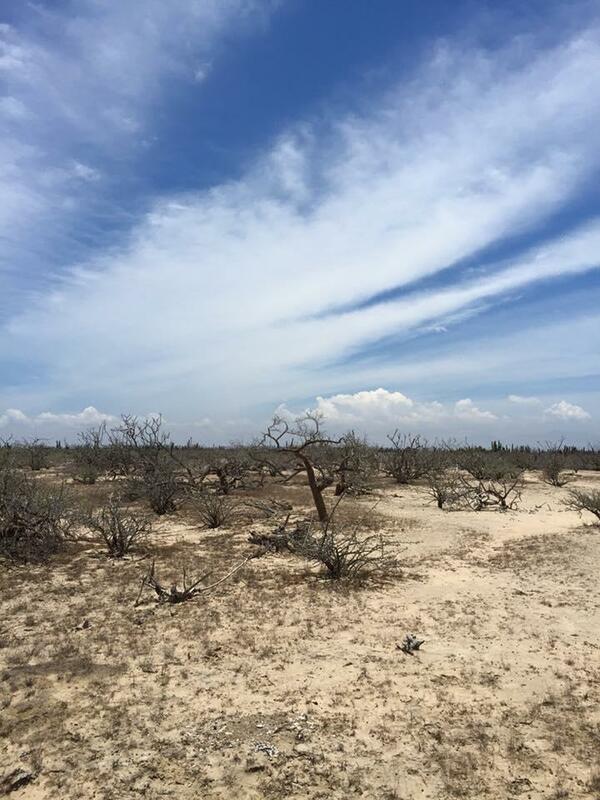 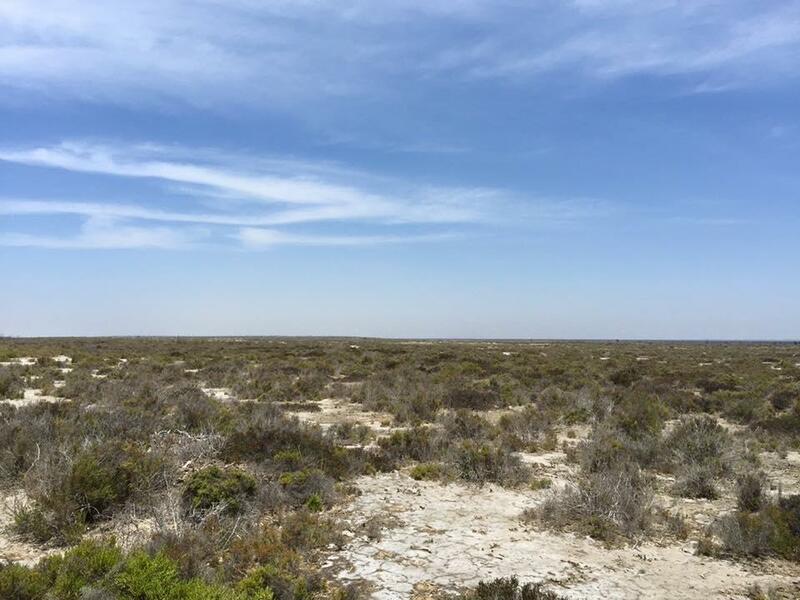 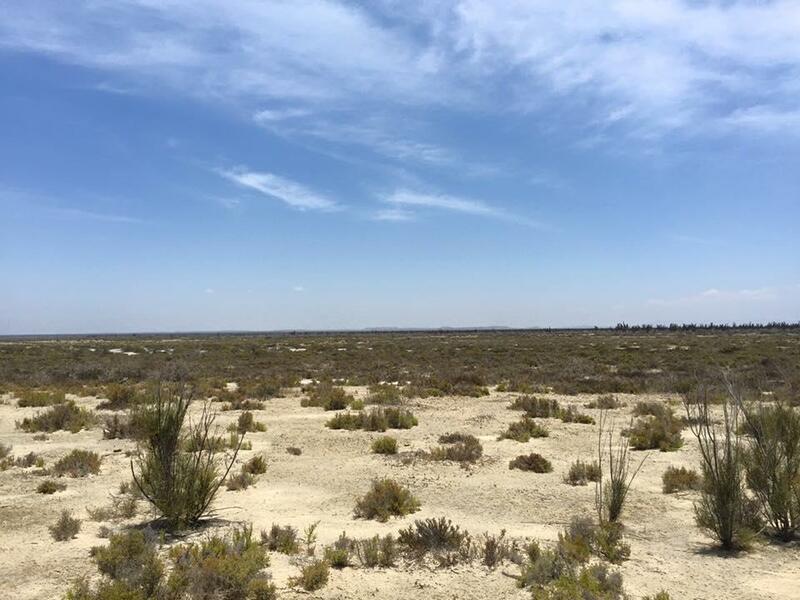 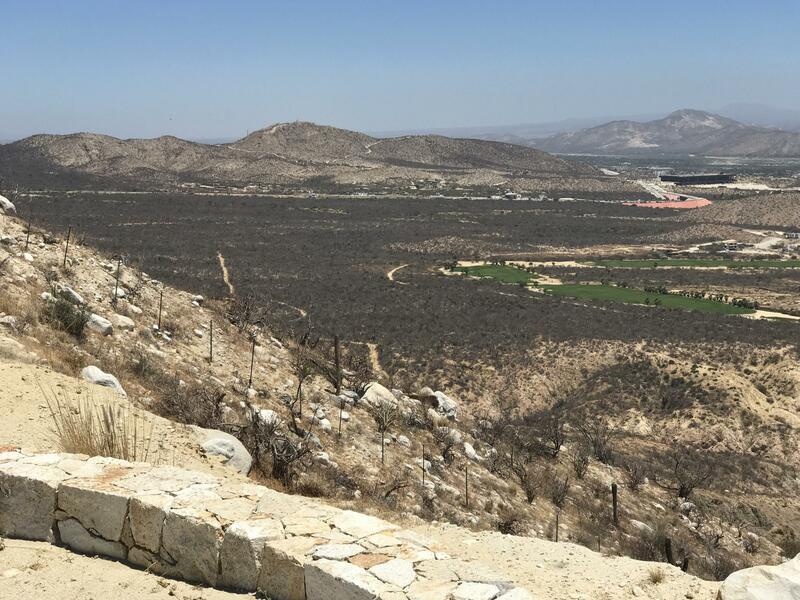 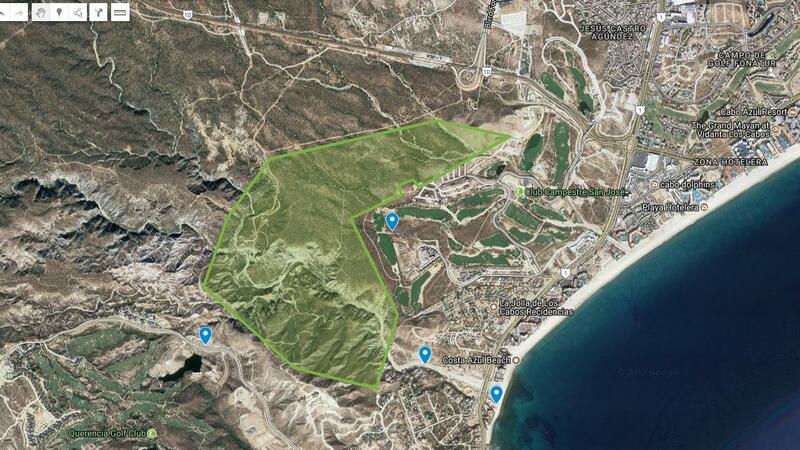 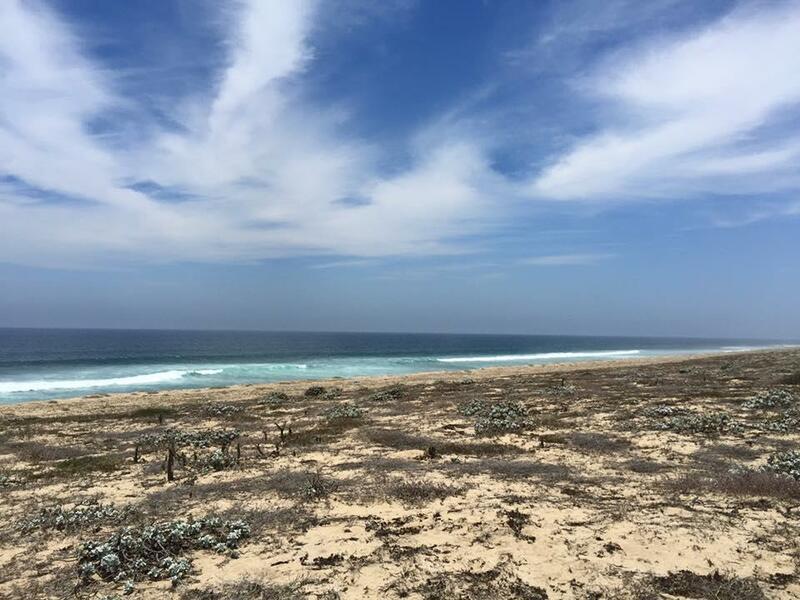 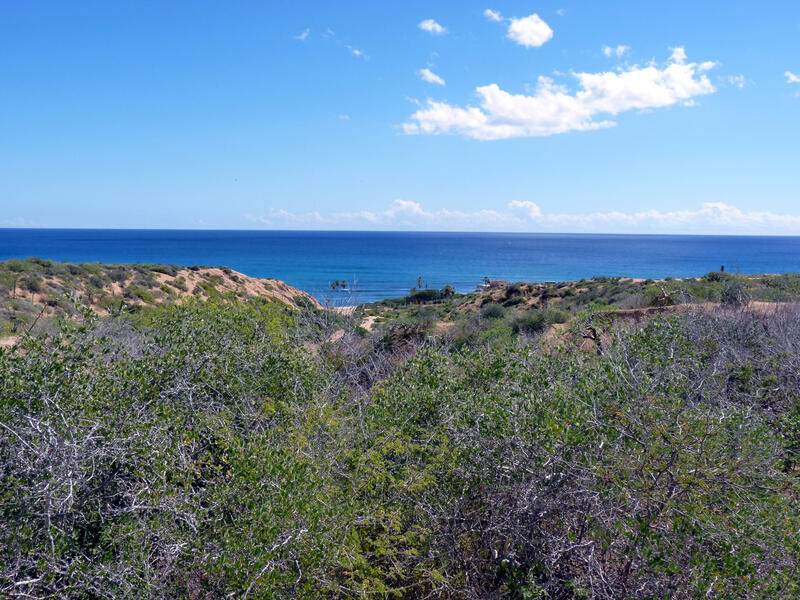 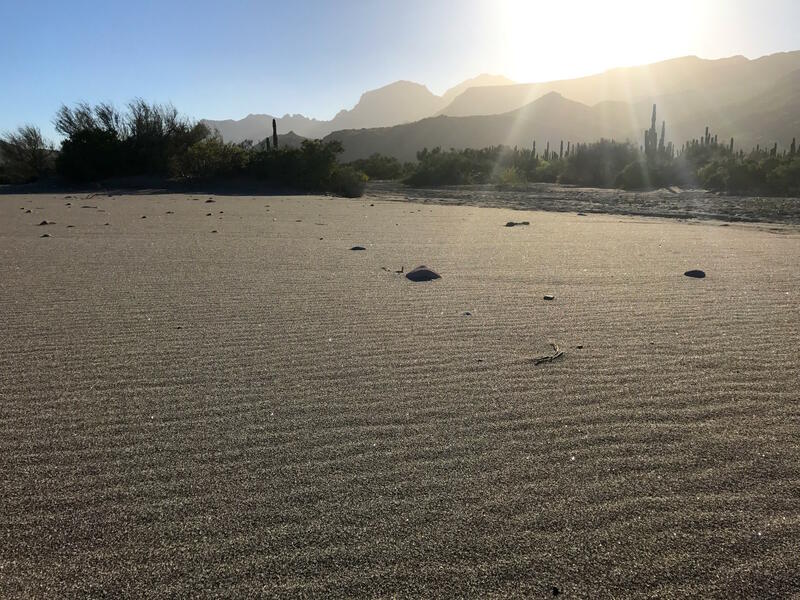 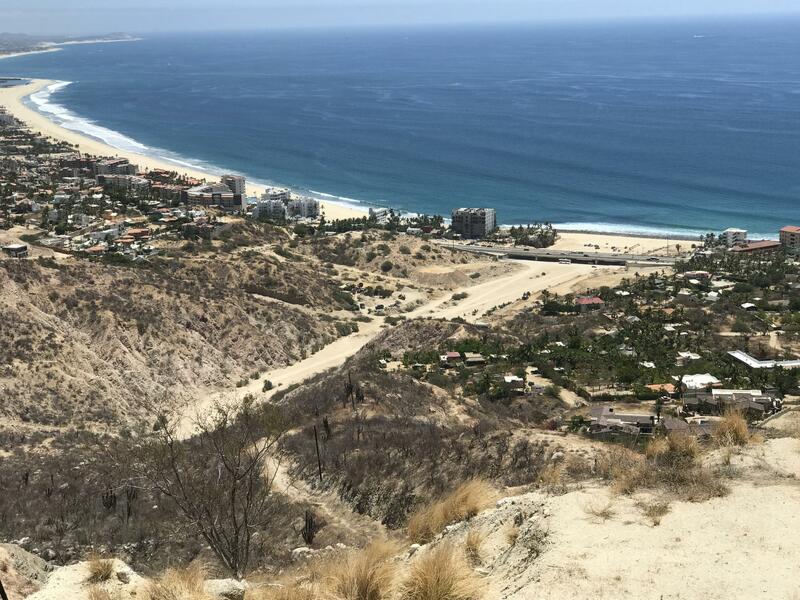 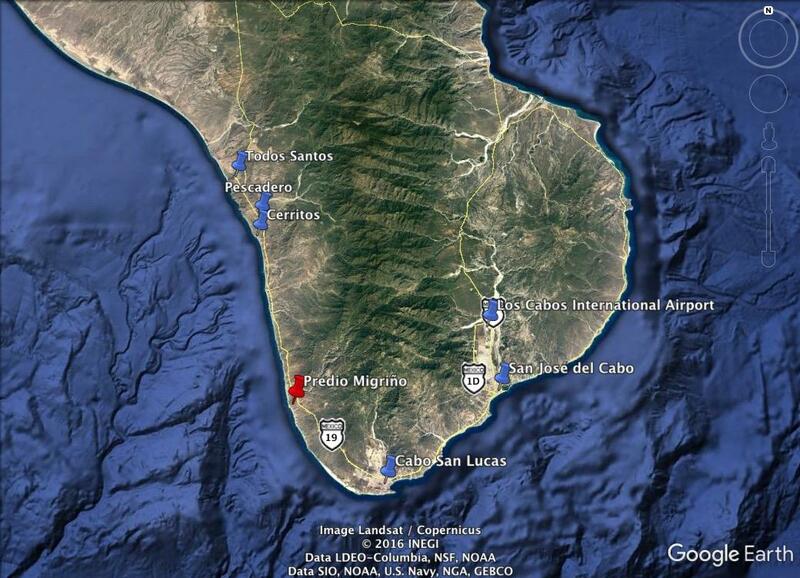 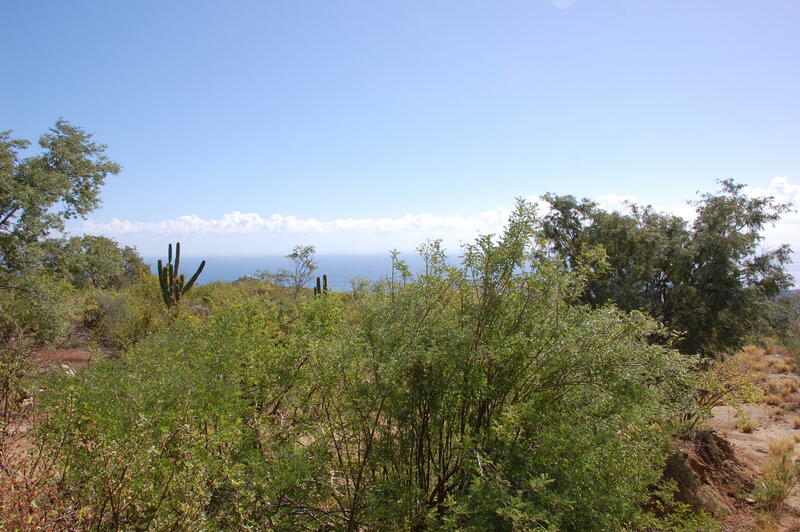 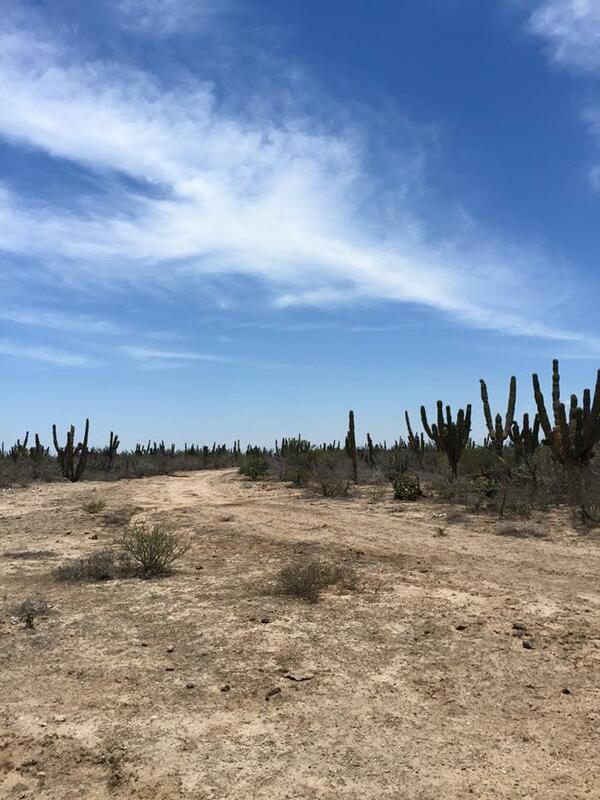 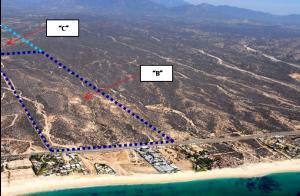 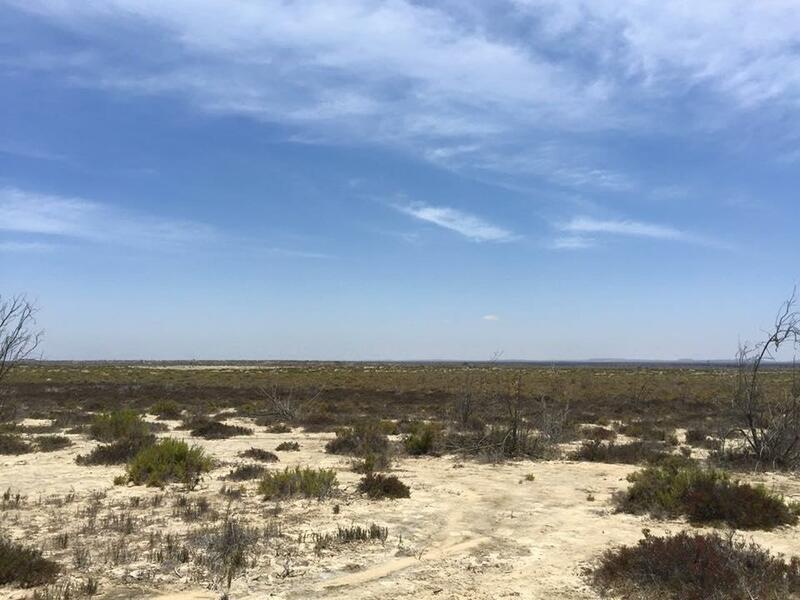 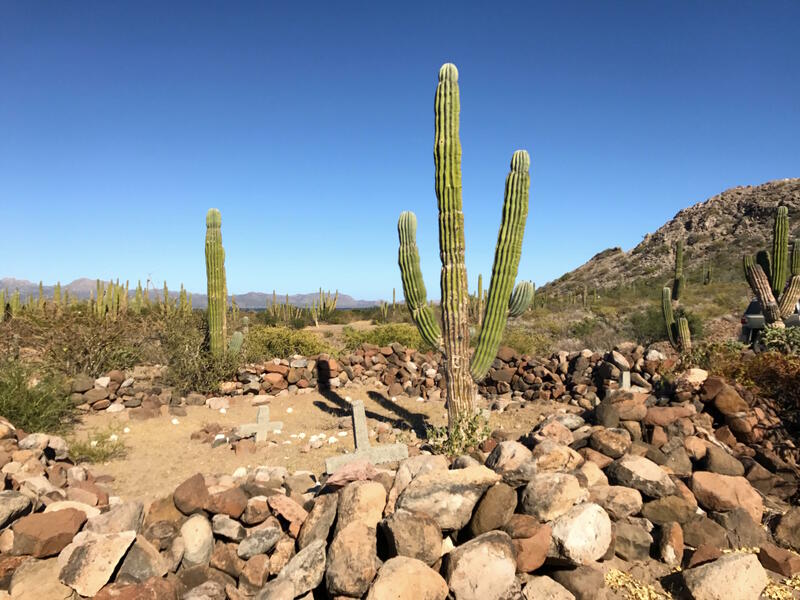 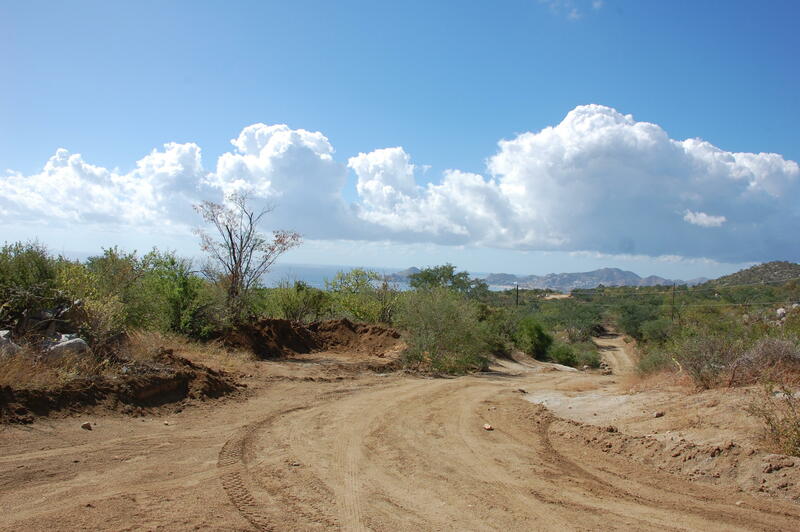 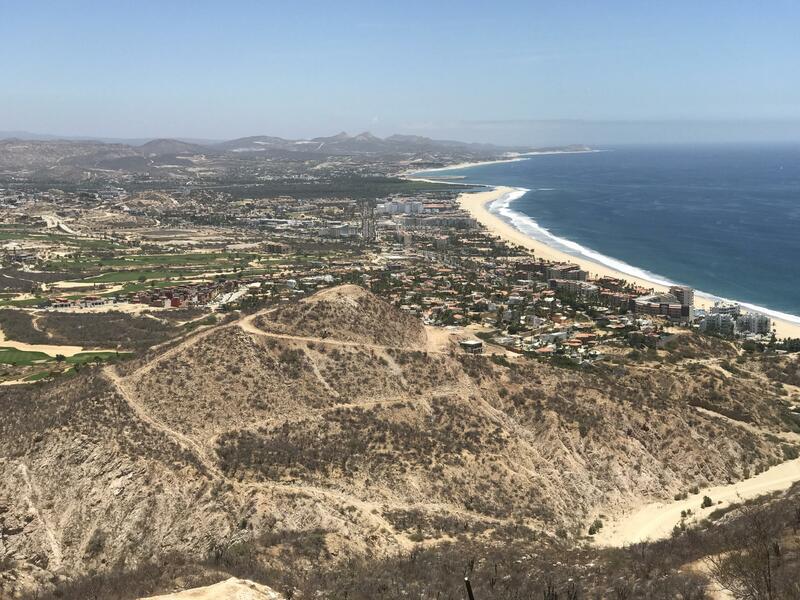 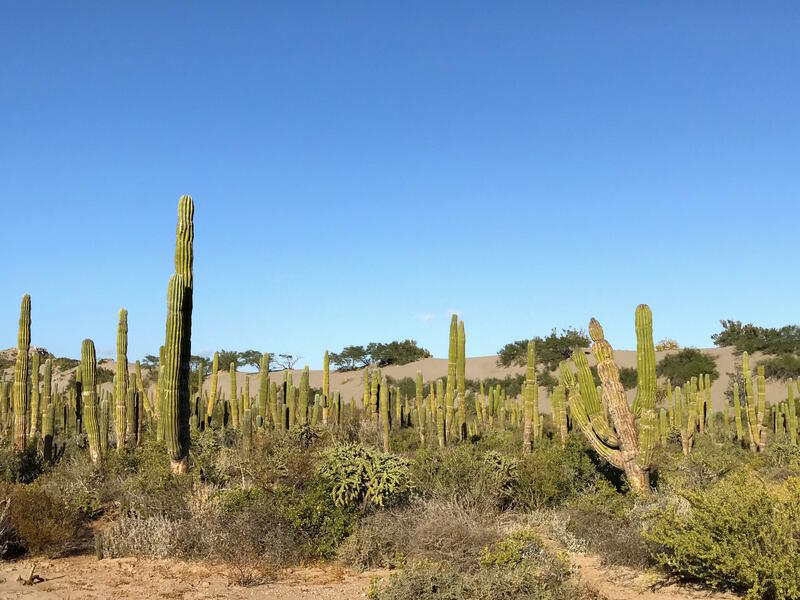 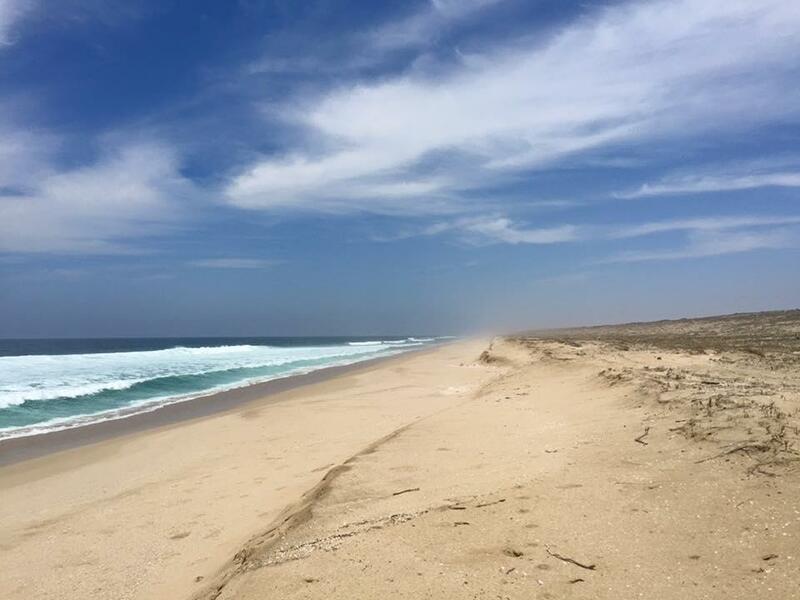 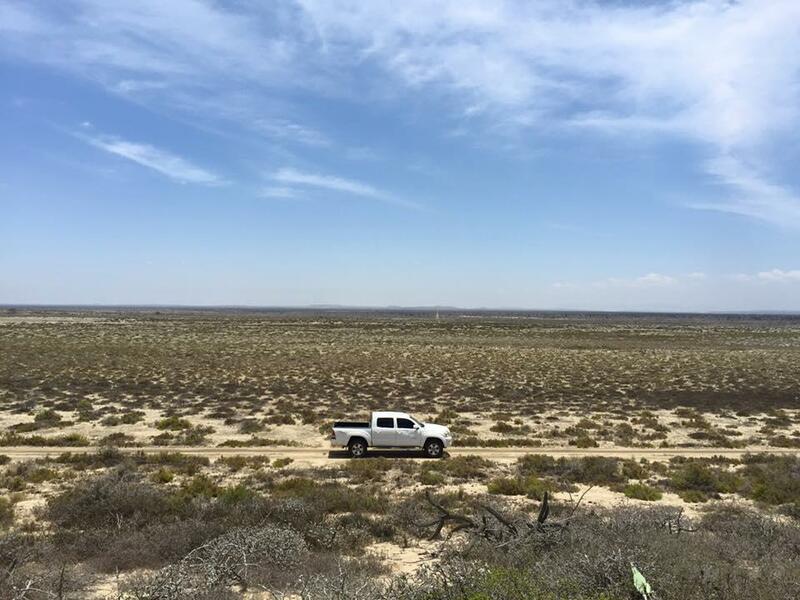 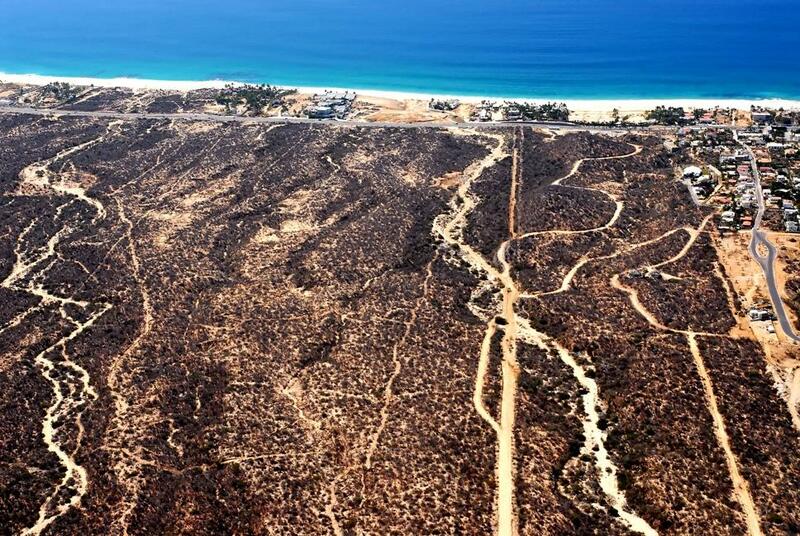 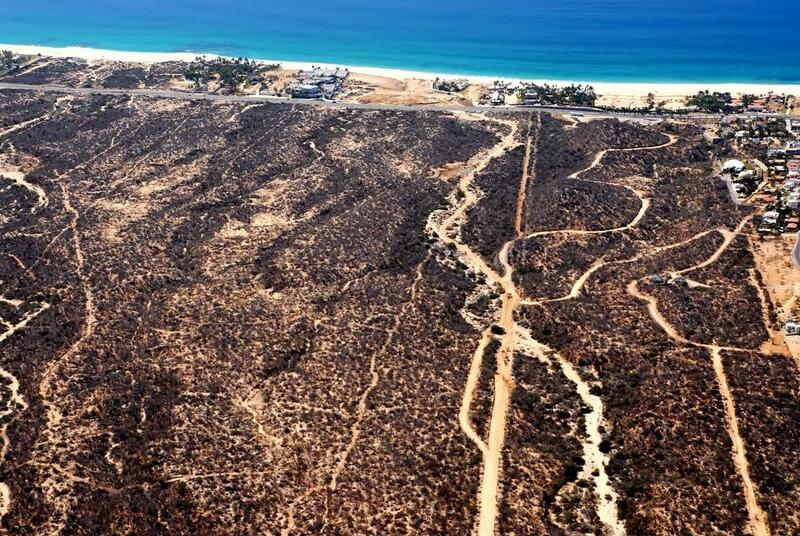 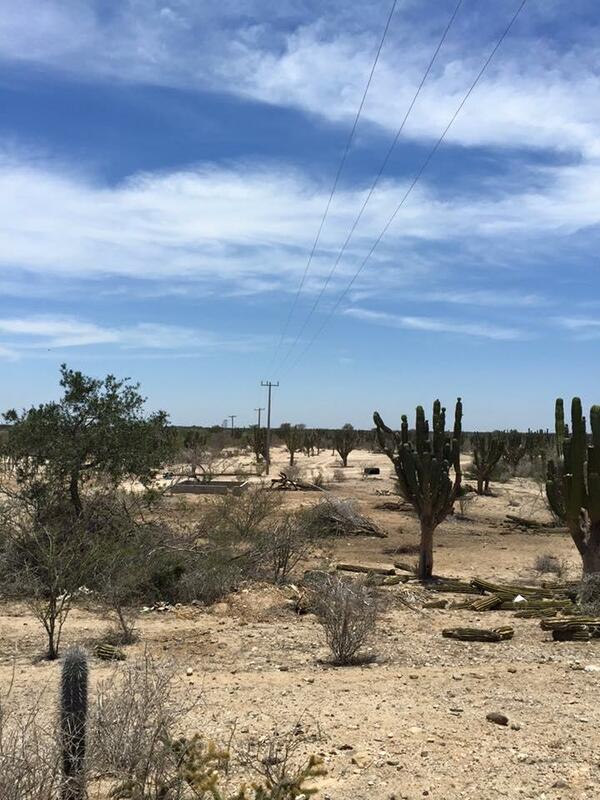 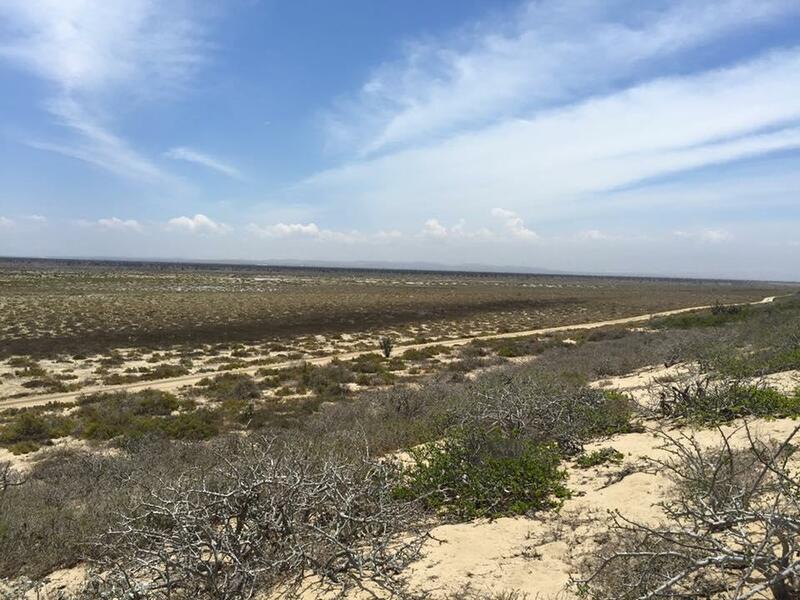 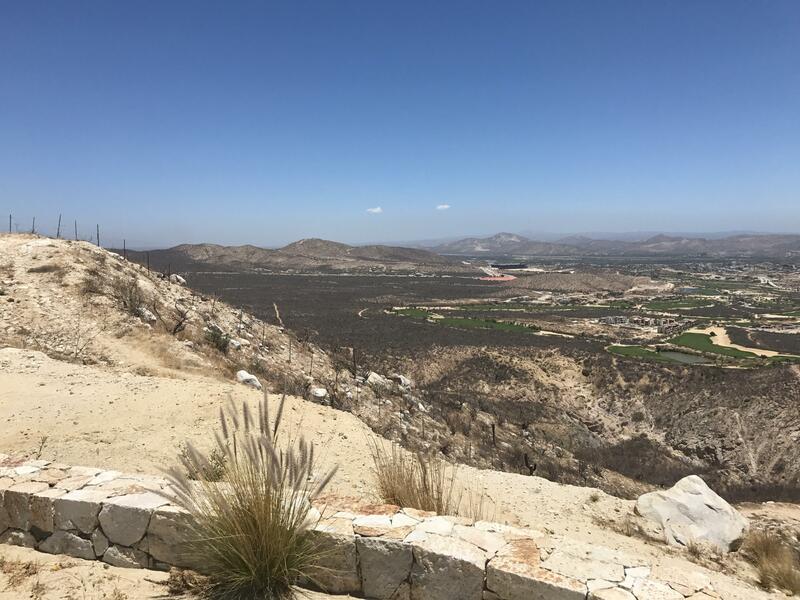 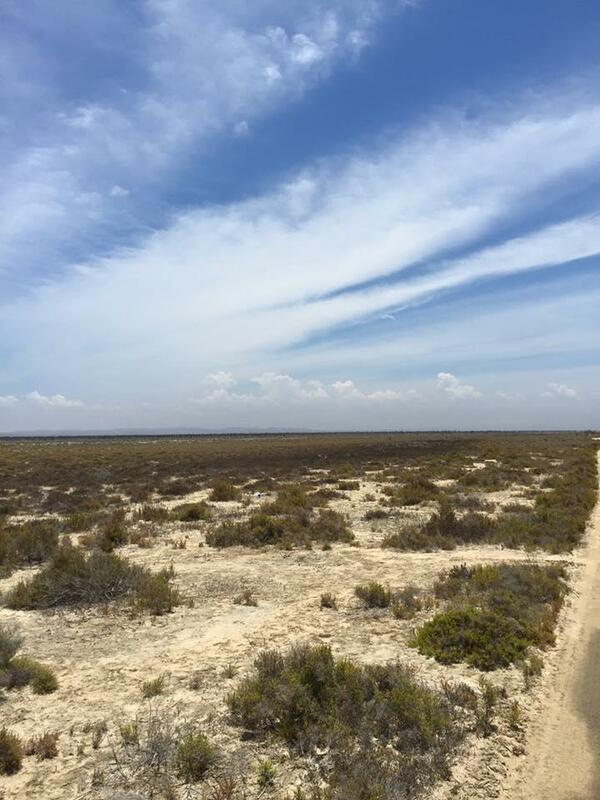 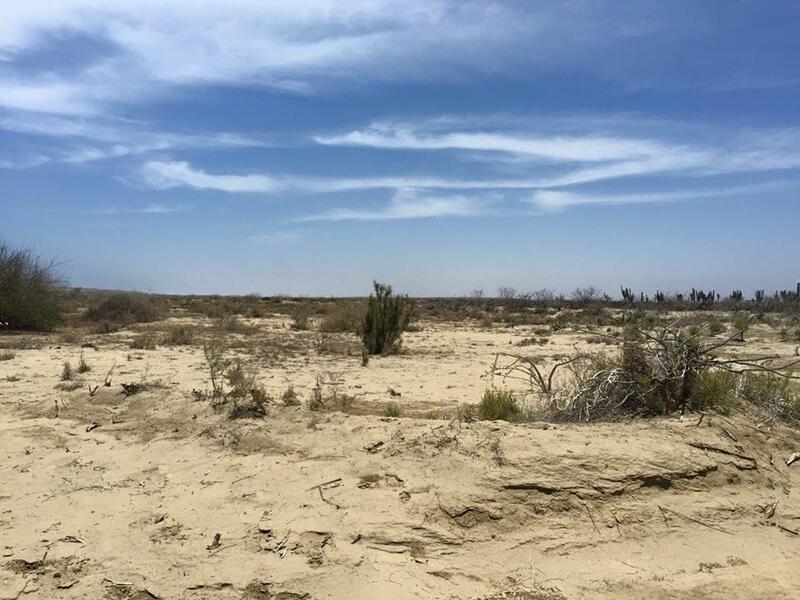 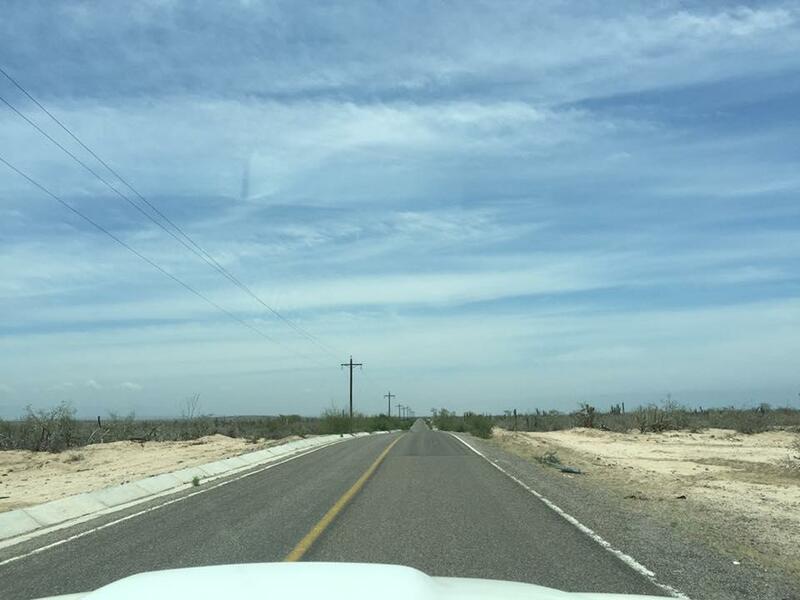 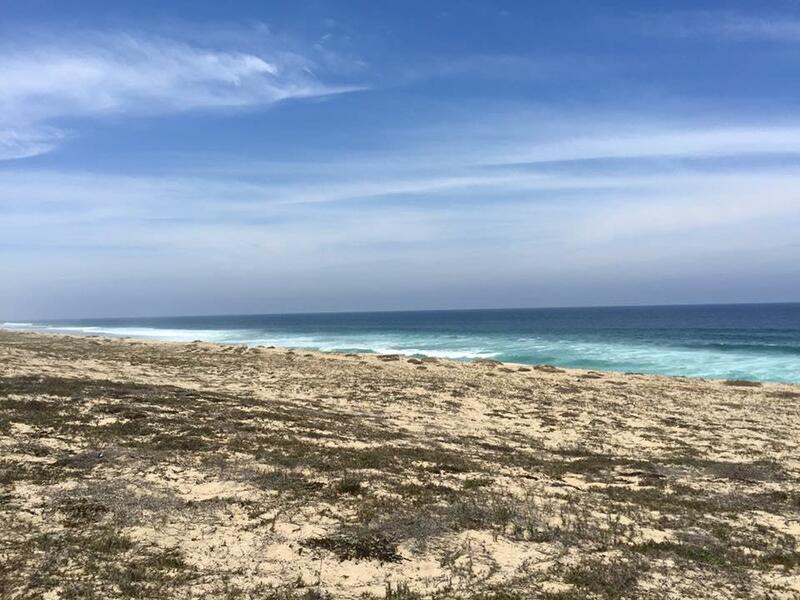 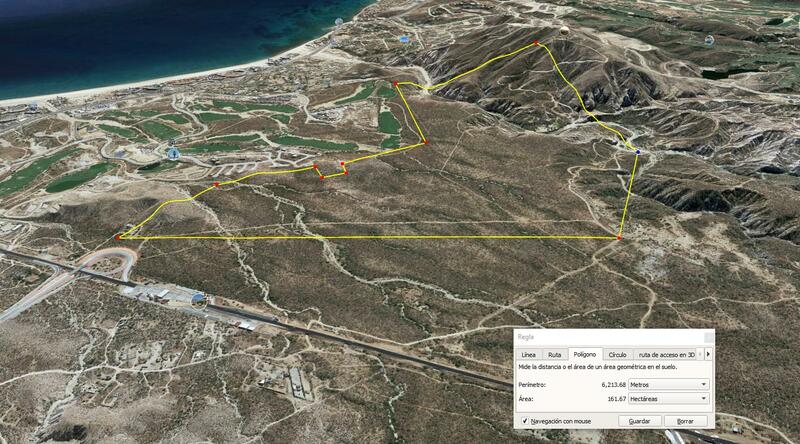 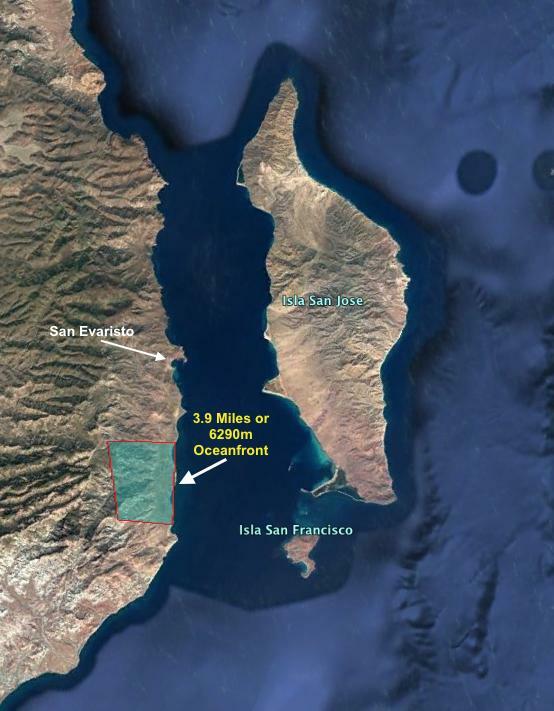 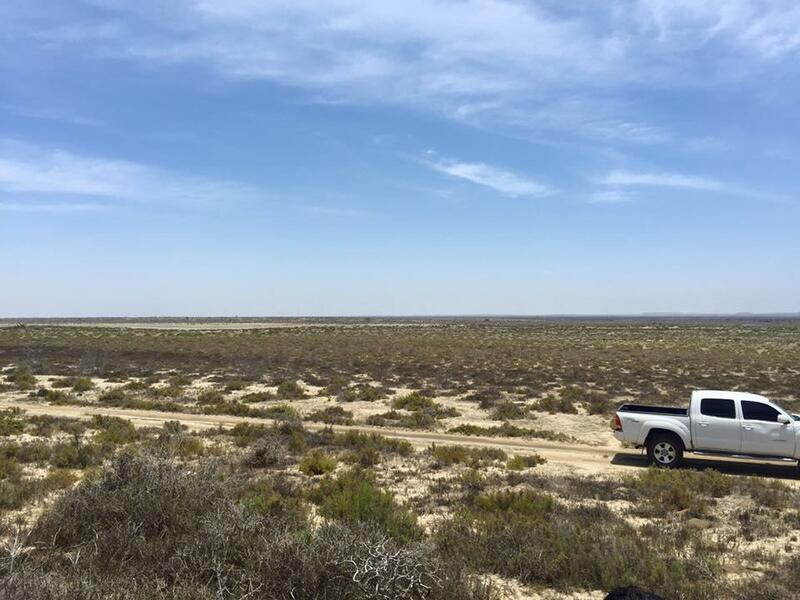 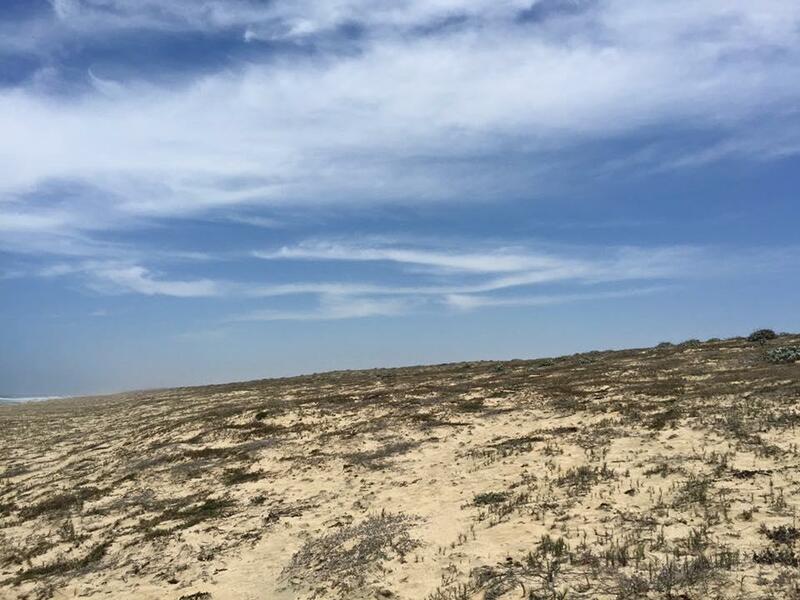 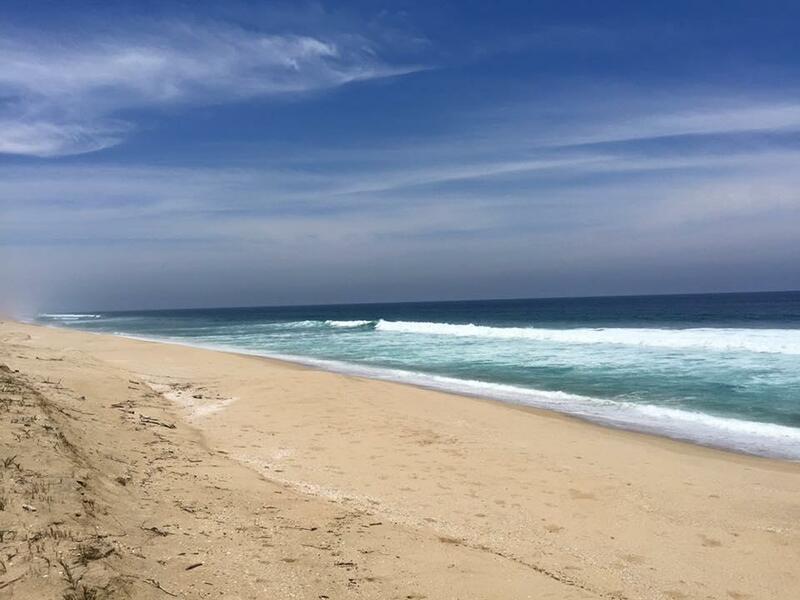 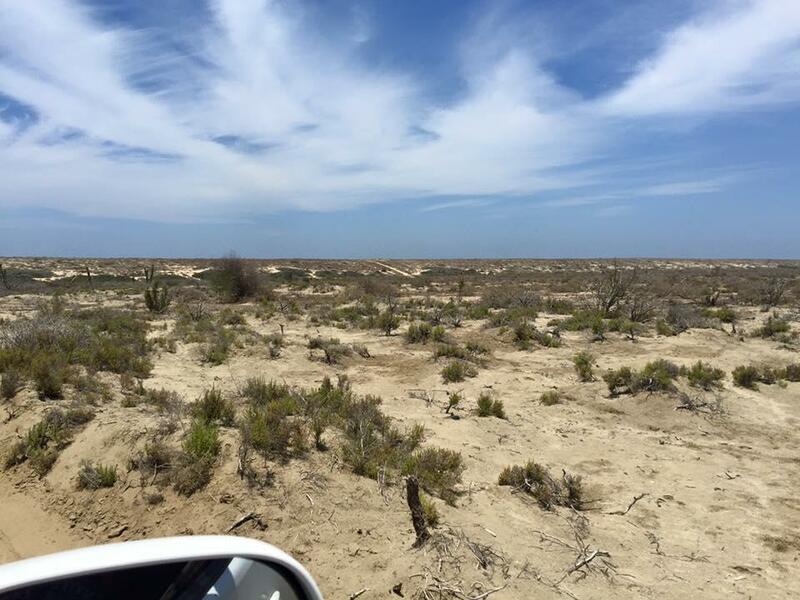 Description: This 242.2-acre development land is located along the new Cabo San Lucas-Todos Santos Highway on kilometer 19; just 5 minutes from the new junction with the Los Cabos International Airport toll highway. 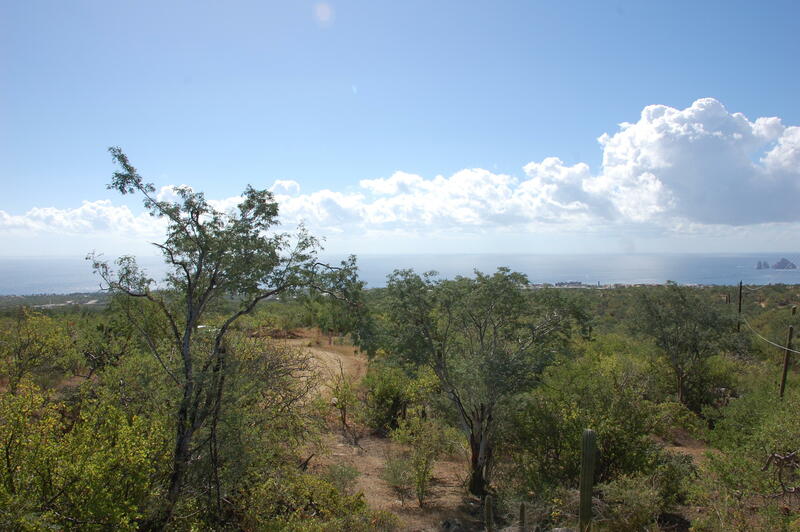 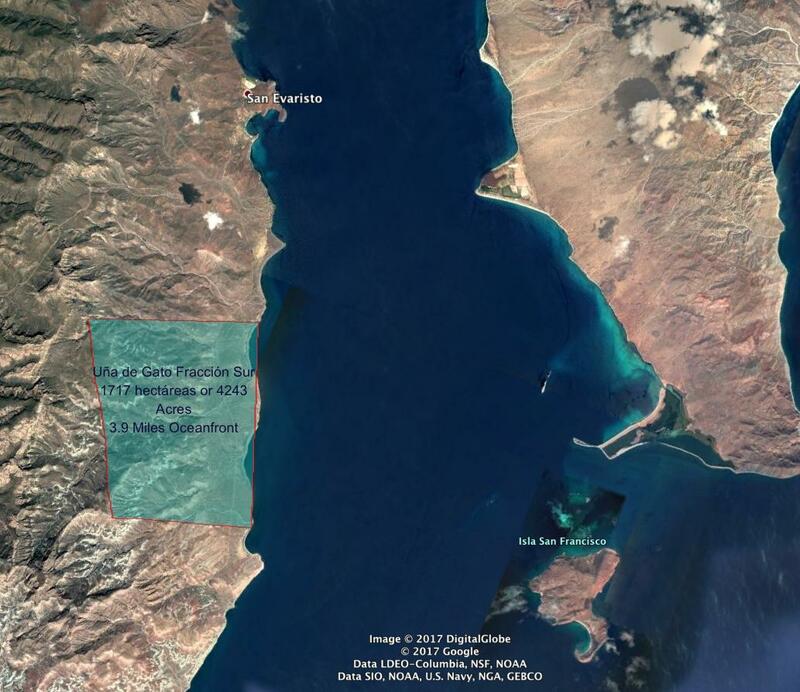 The topography is irregular, providing vantage views from several points; 68.4% of the land has unobstructed ocean-views. 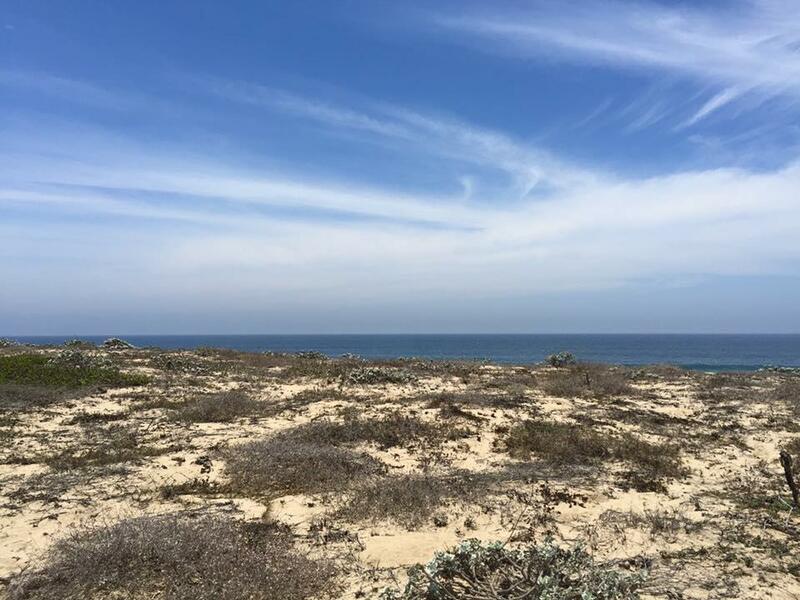 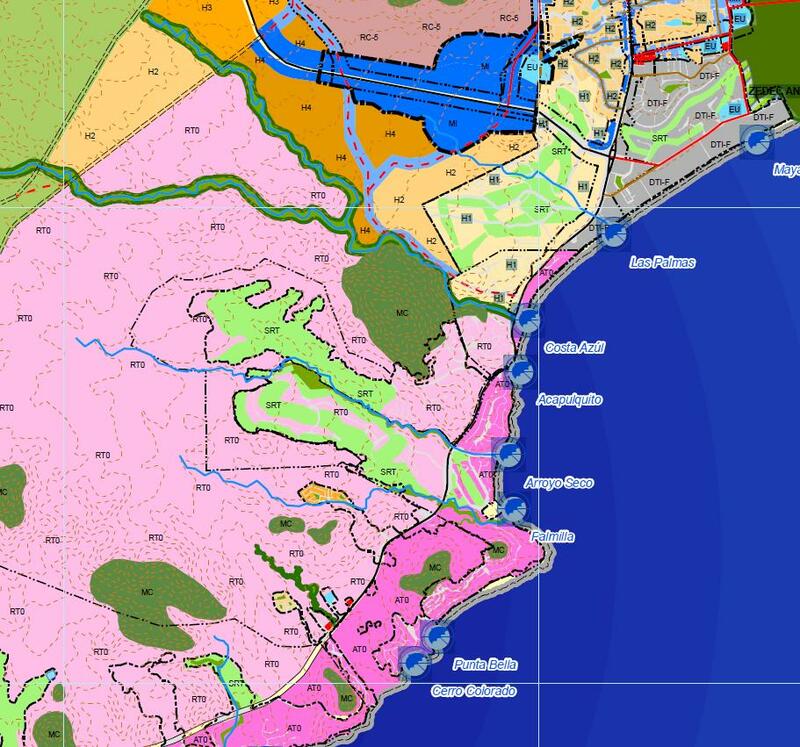 The portion that does not have ocean-views is strategically located in the center, making this area ideal to emplace amenities and services for any future development. 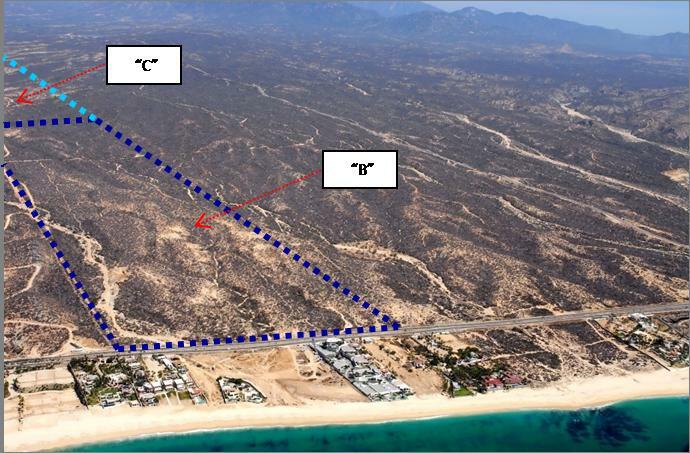 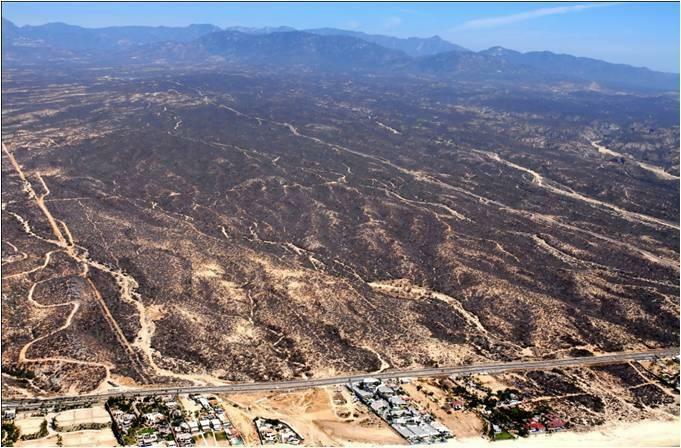 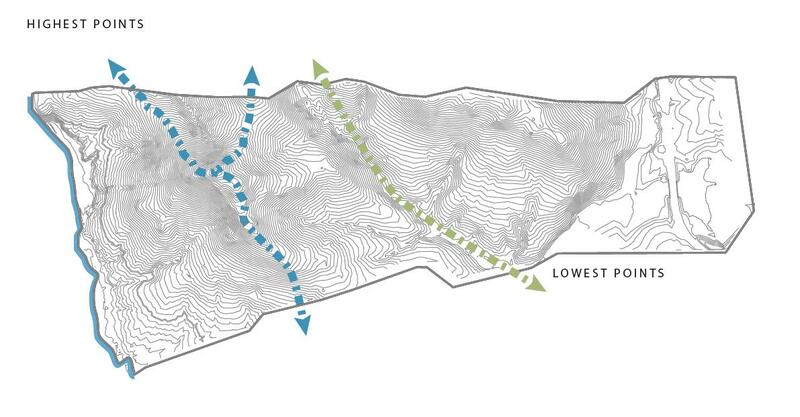 The north boarder, which spans 1.2 miles, is where some of the highest points are located, the general slope is towards the beach and south. 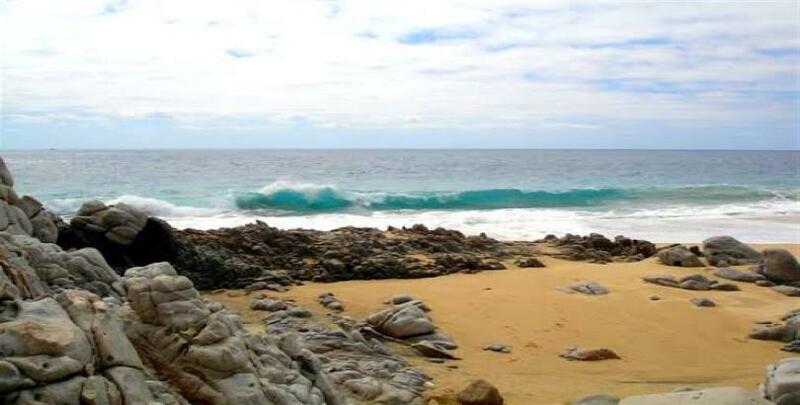 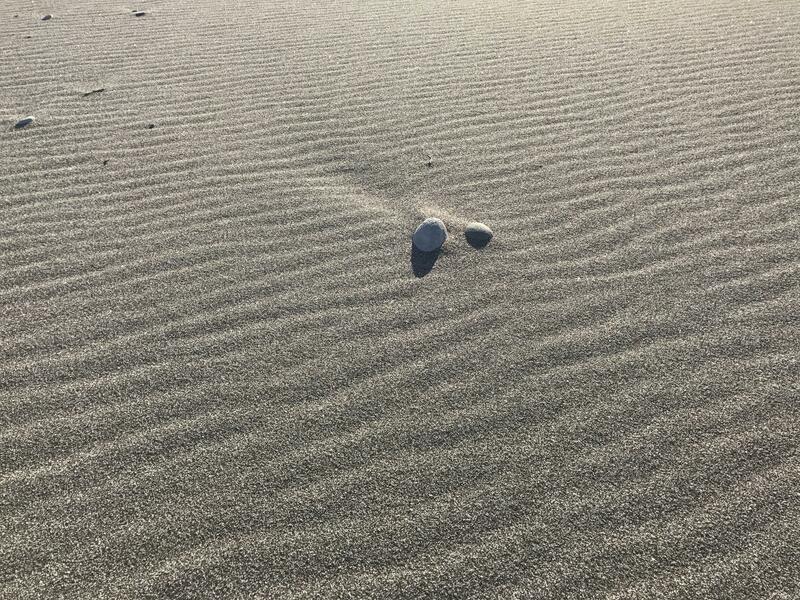 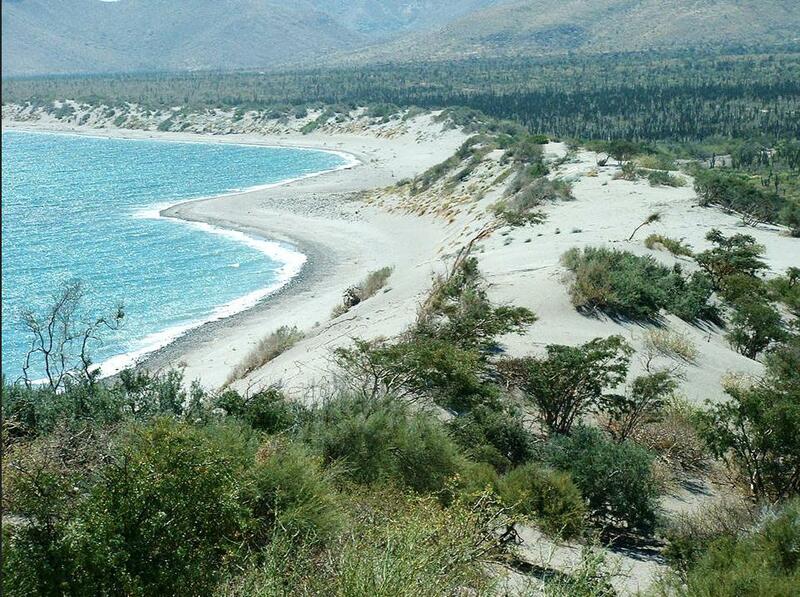 Rock formations on either beach-front corner ensure 3,084 feet of private, virgin beaches. 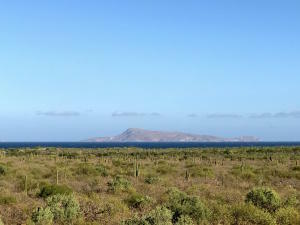 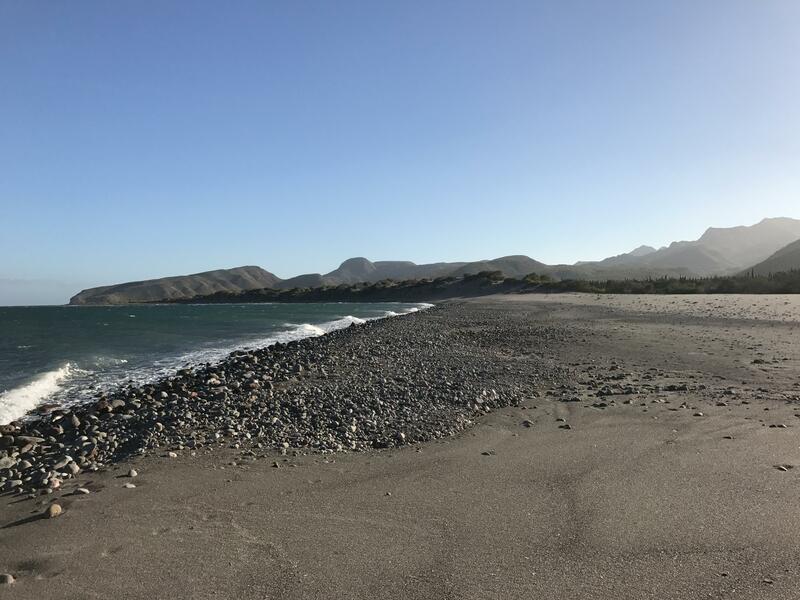 Description: LAND BANKING- the key to financial security forhuge corporations, multi-millionaires, builders, developers, entreprenurs and you!Impressive 4243 Acres or 1717 hectares with 3.9 Miles or 6290 meters of Oceanfront located 60 Miles North La Paz. This property offers not only exceptional natural landscapes such as the "Mechudo" Sierra famous for being the house of the majestic bighorn sheep.This beautiful oceanfront property offers direct access to the San Jose & San Francisco Islands including a sea lion colony and many activities such hiking, wildlife photography, fishing, spearfishing, scuba diving, whale watching and kayak explorations in exotic natural settings. 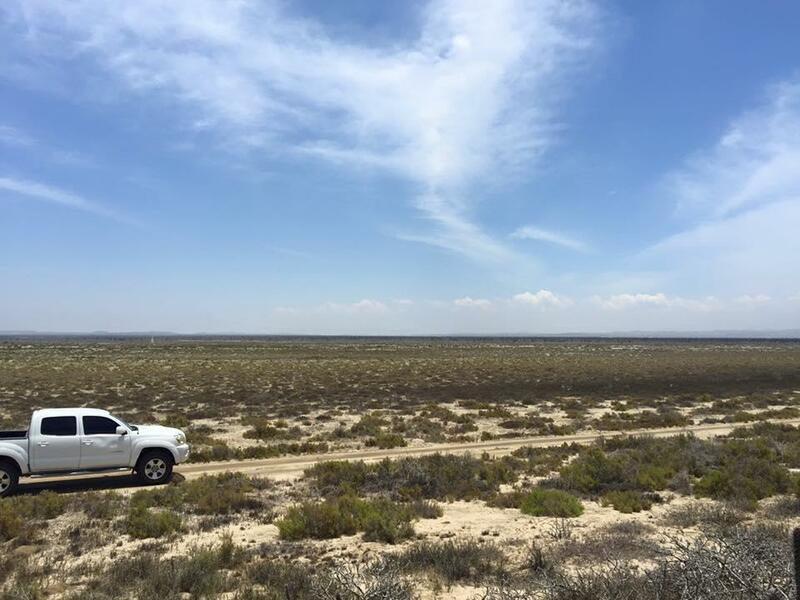 Description: This parcel has aproximately 500 meters of prime frontage to the Transpeninsular Hwy and almost 3 kilometers up to the hill.Fracc B has: 70.21-51-34 hectareas.Fracc.B1 has: 1-73-45-91 hectareasFacc C has: 65-70-84-55 hectareasFracc C2 has: 1-68-75-29 hectareasMaking a total of: 139-34-57-09 hectareas. 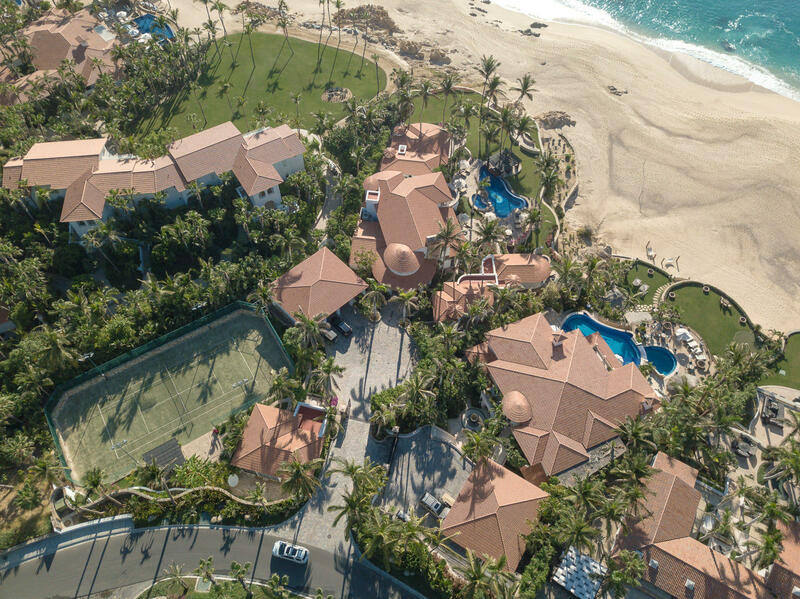 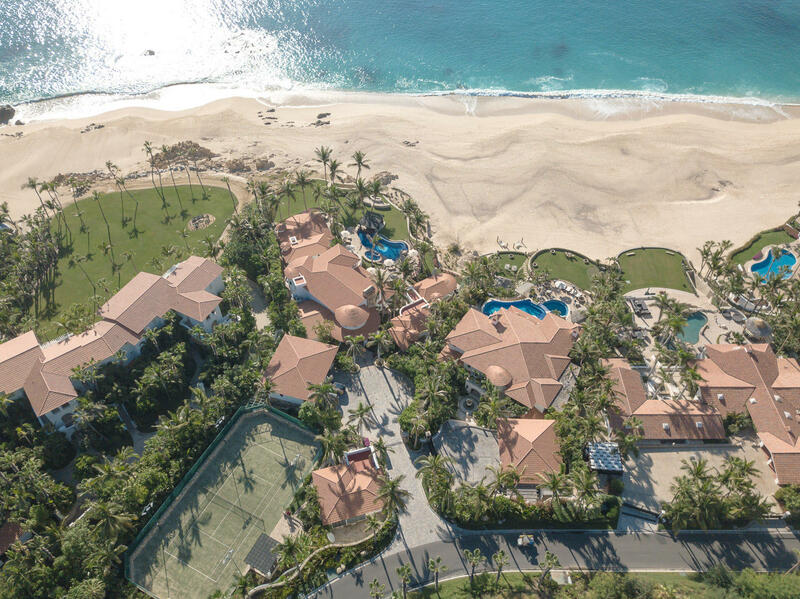 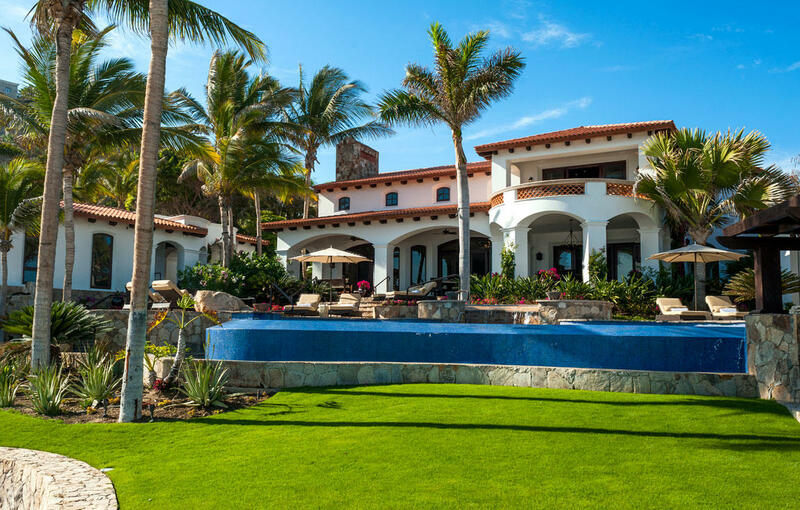 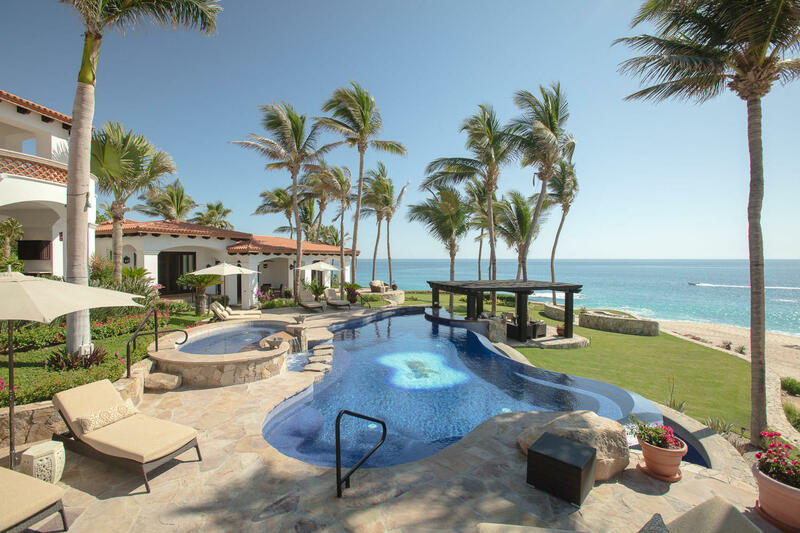 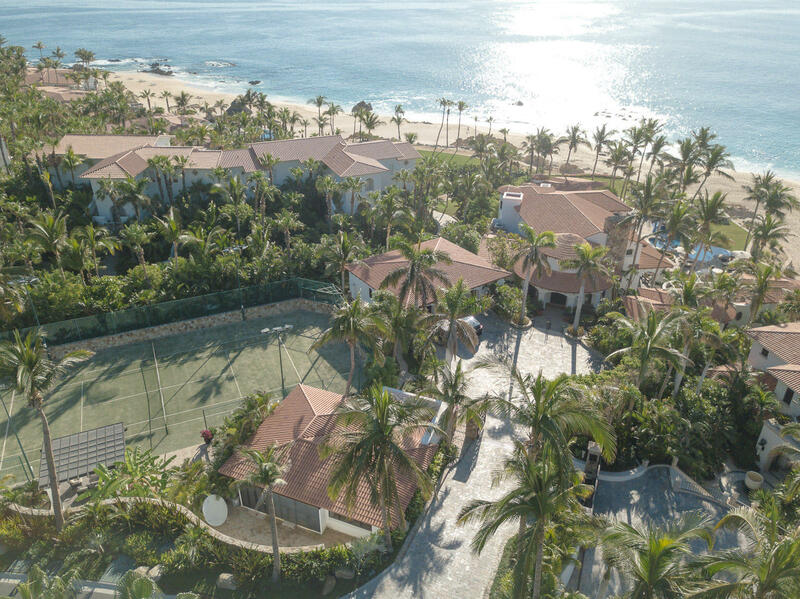 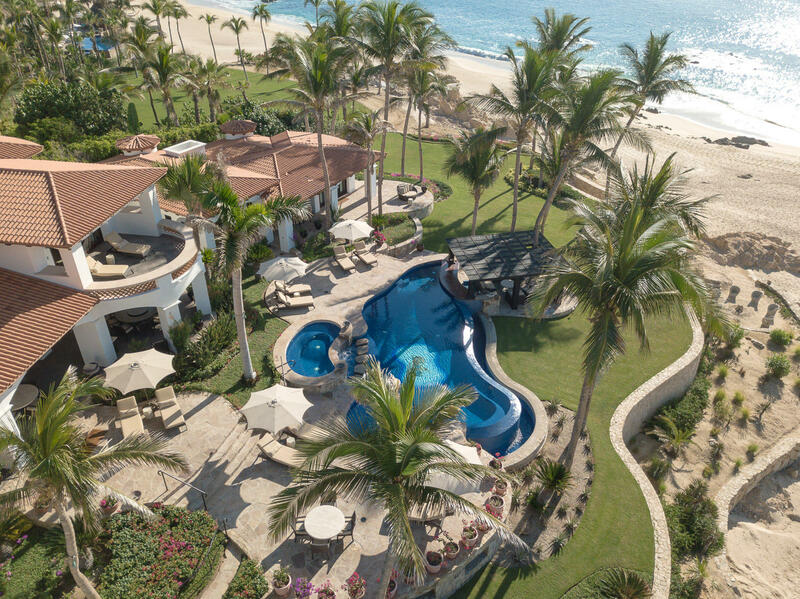 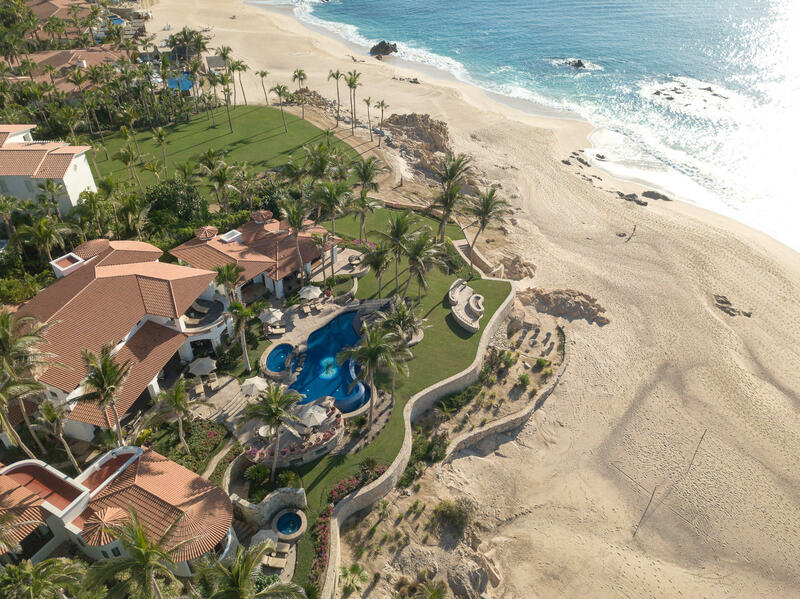 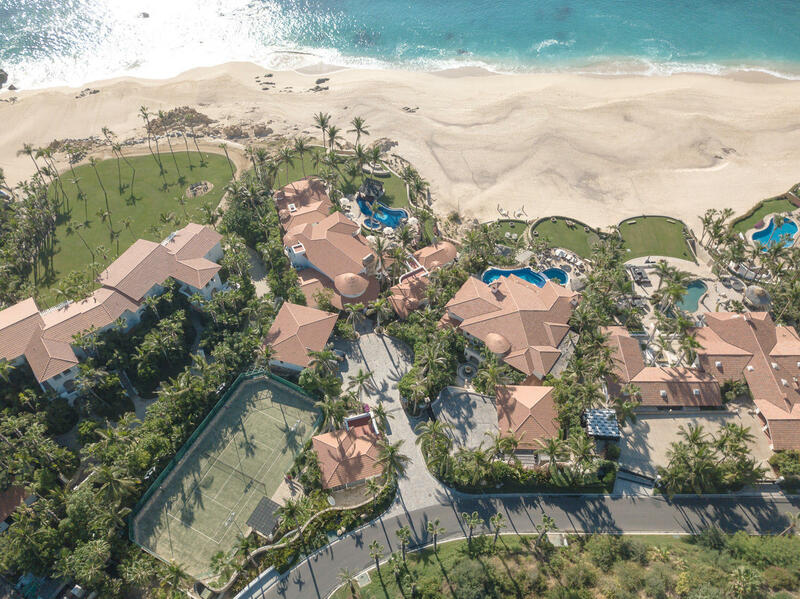 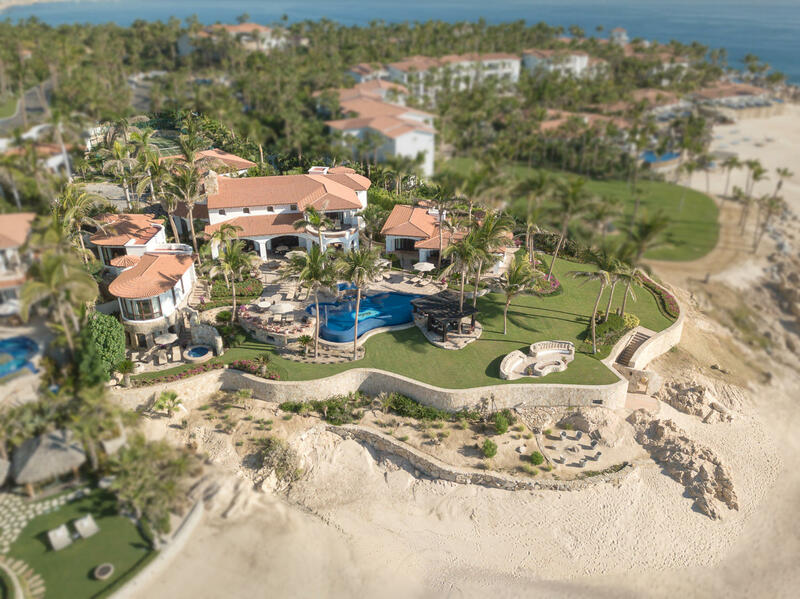 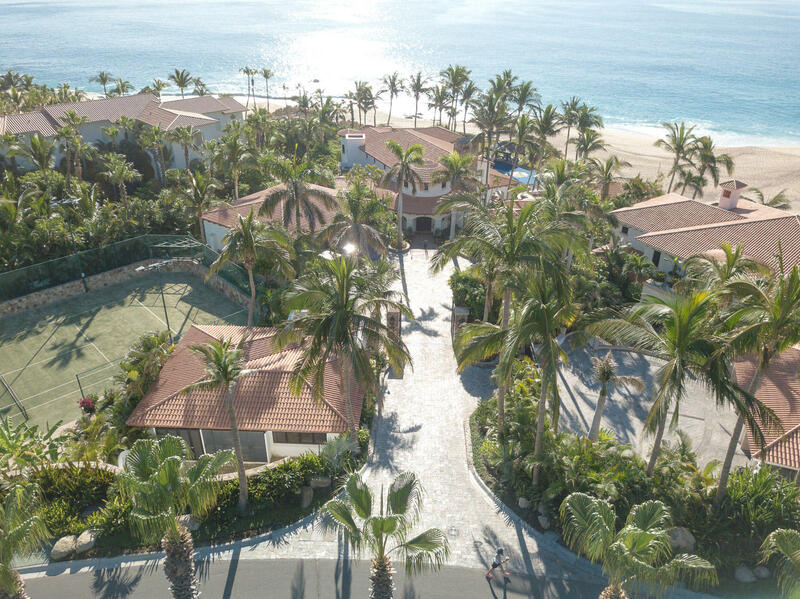 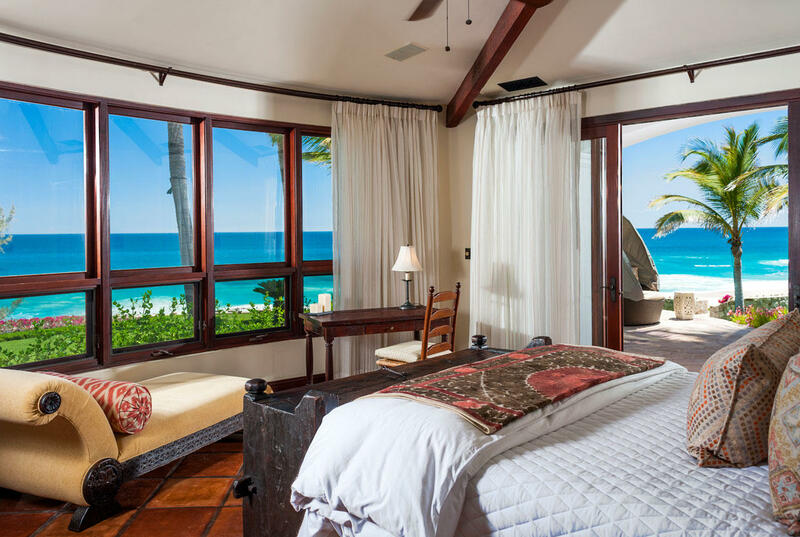 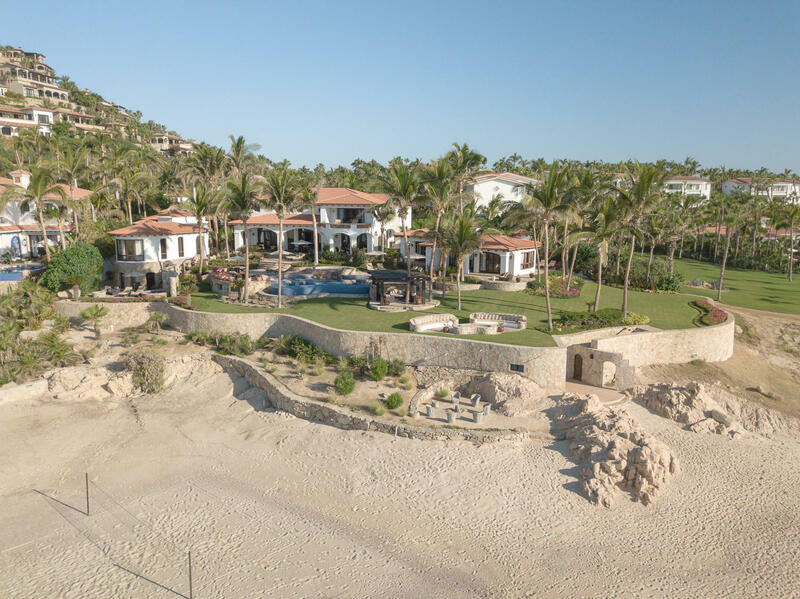 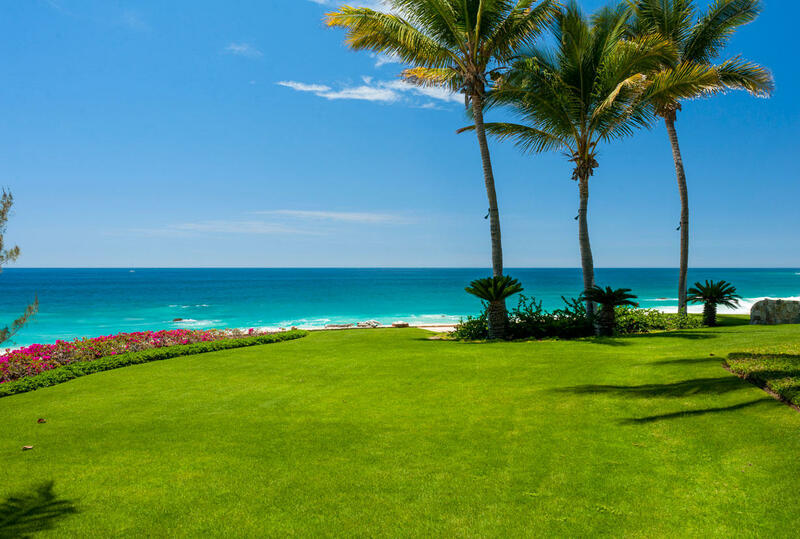 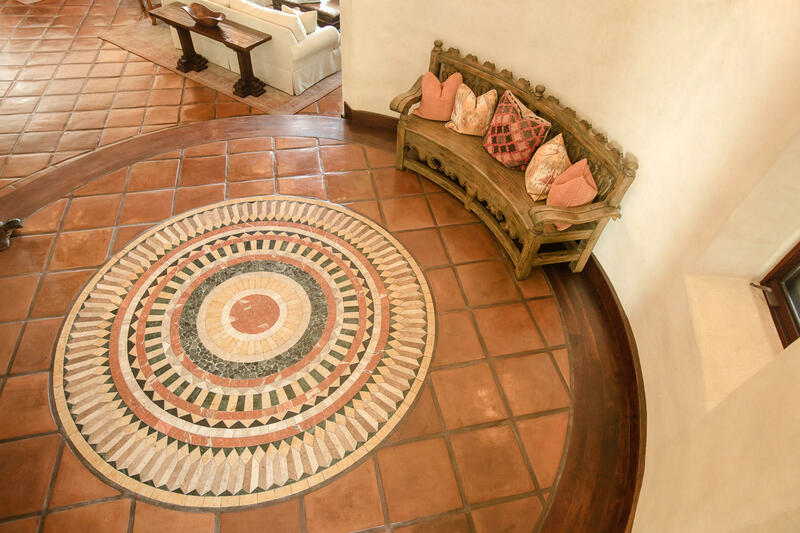 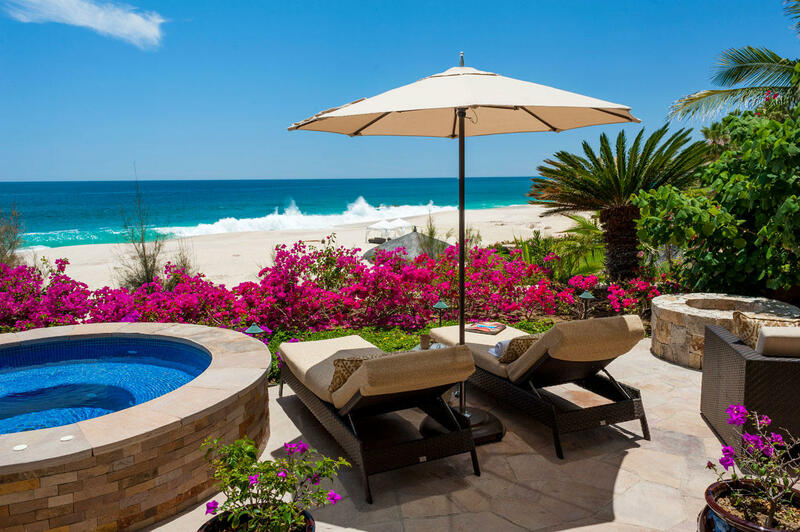 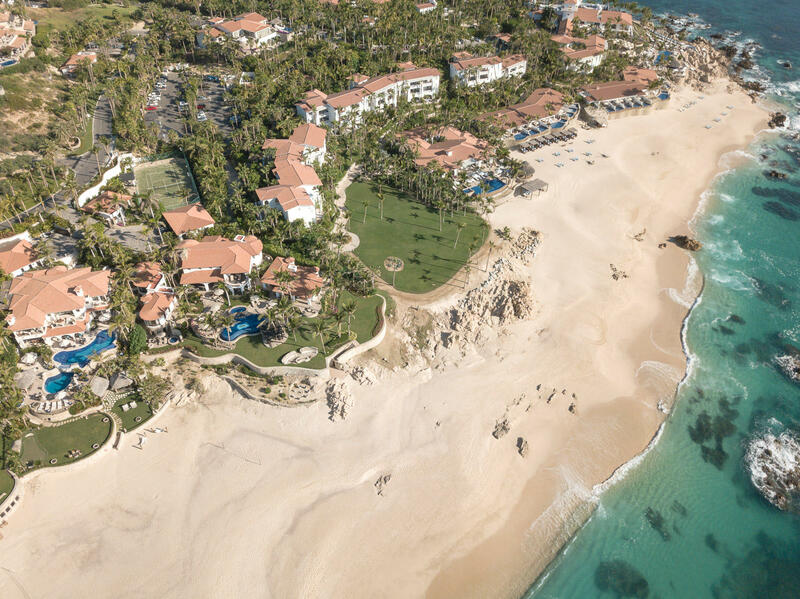 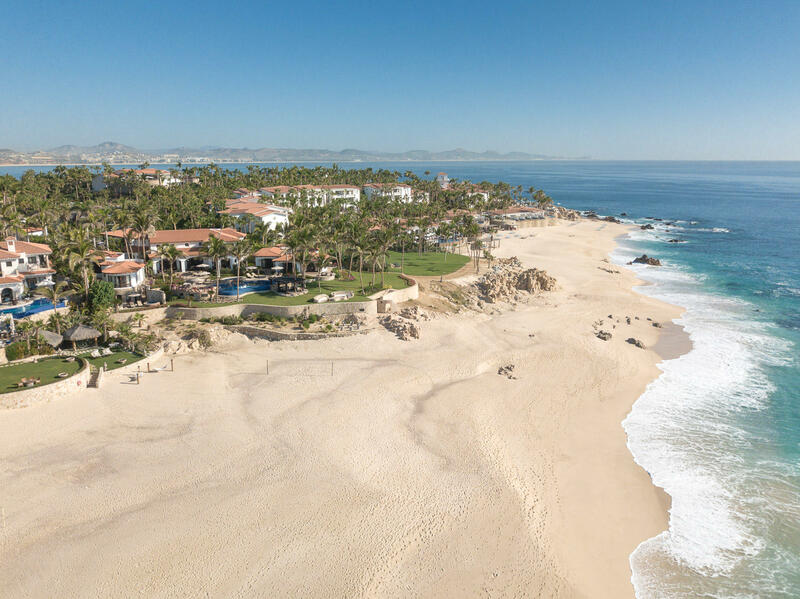 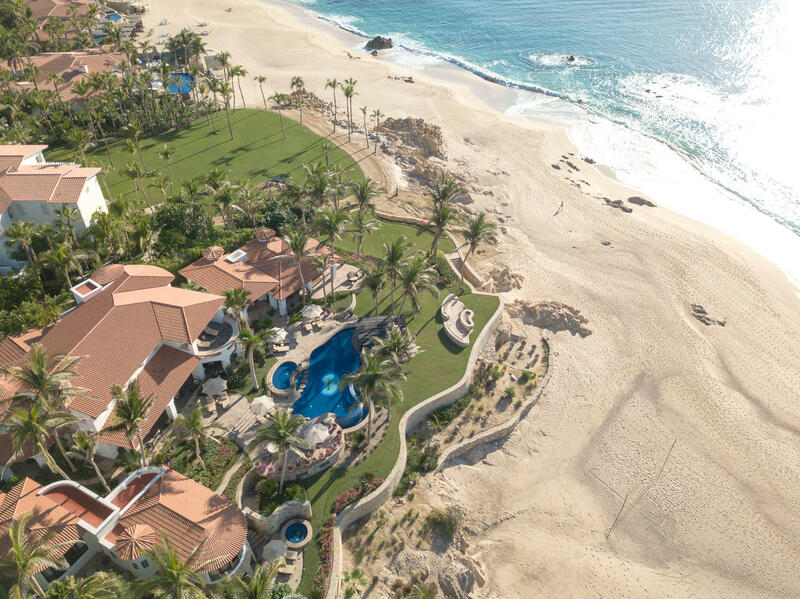 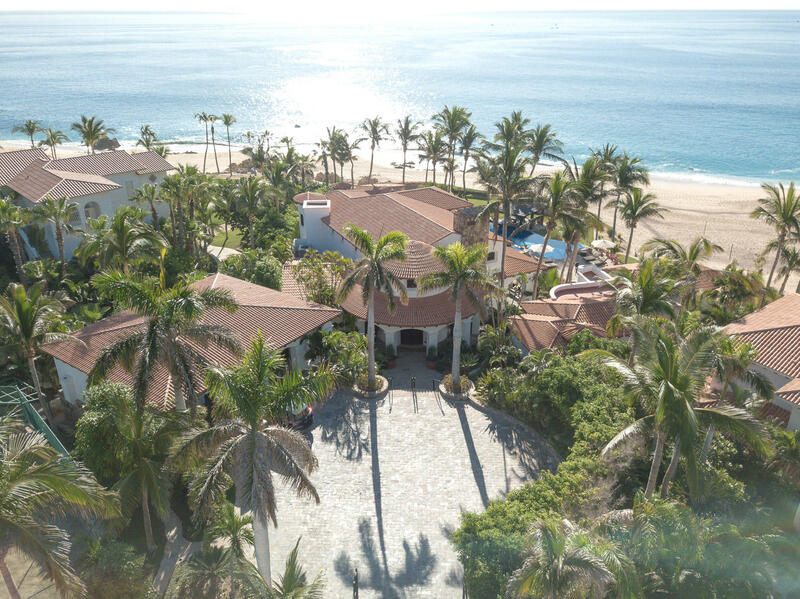 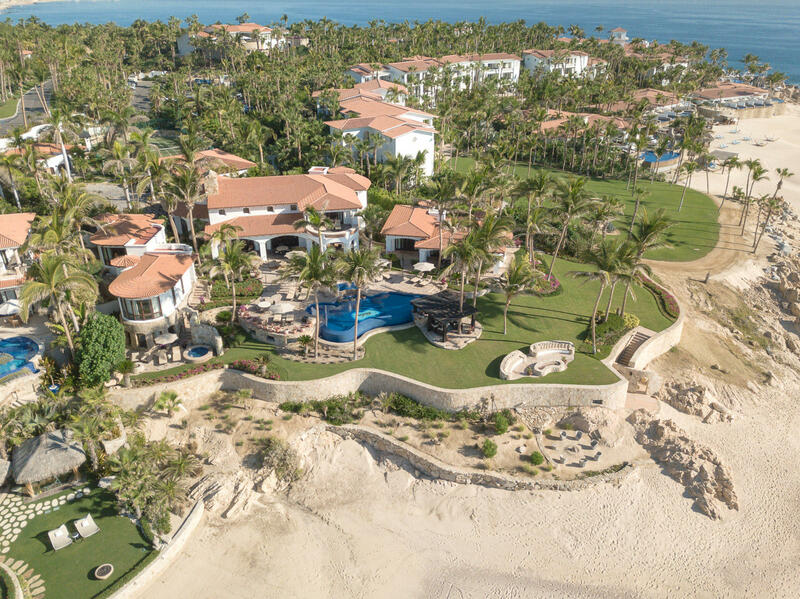 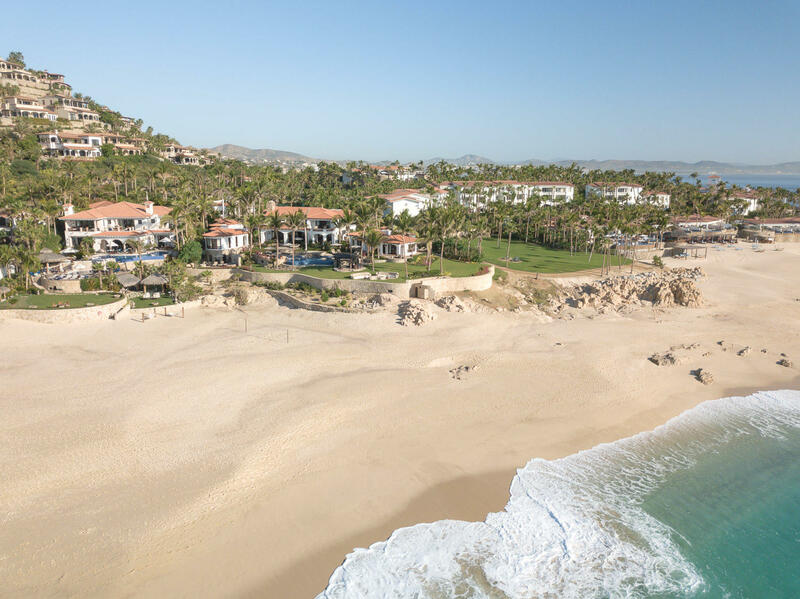 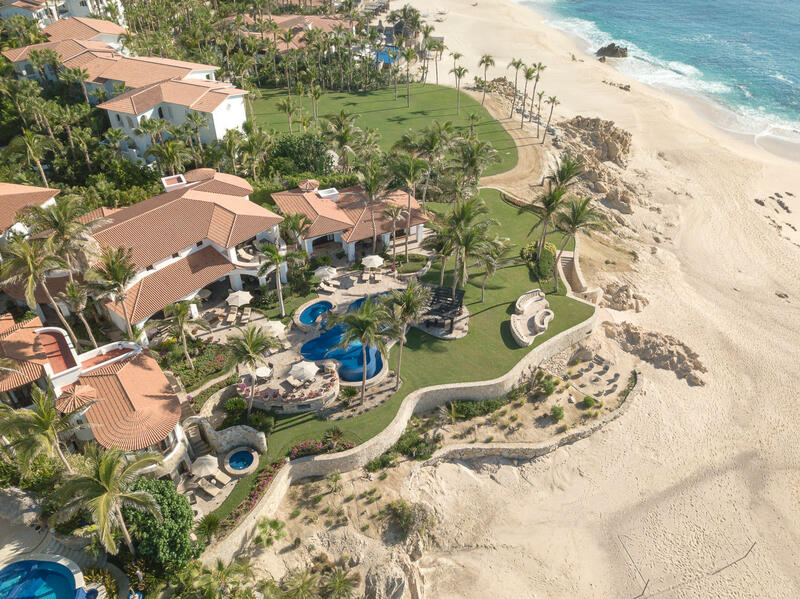 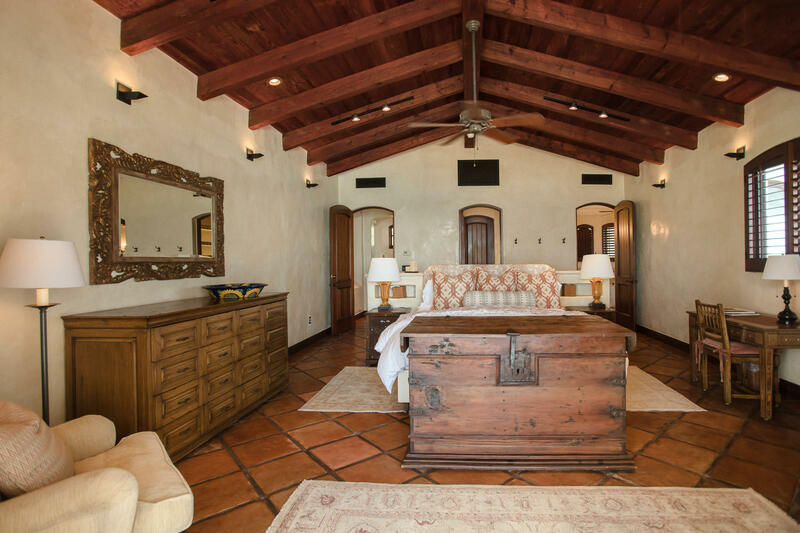 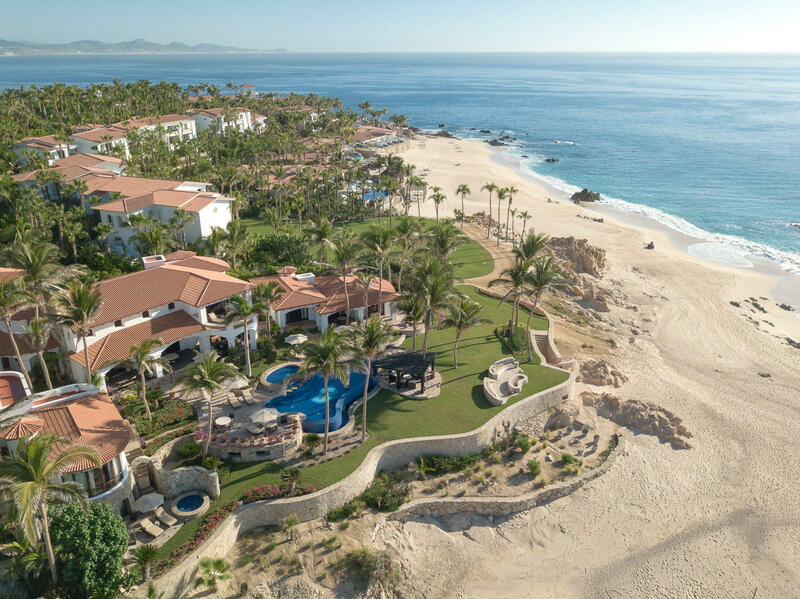 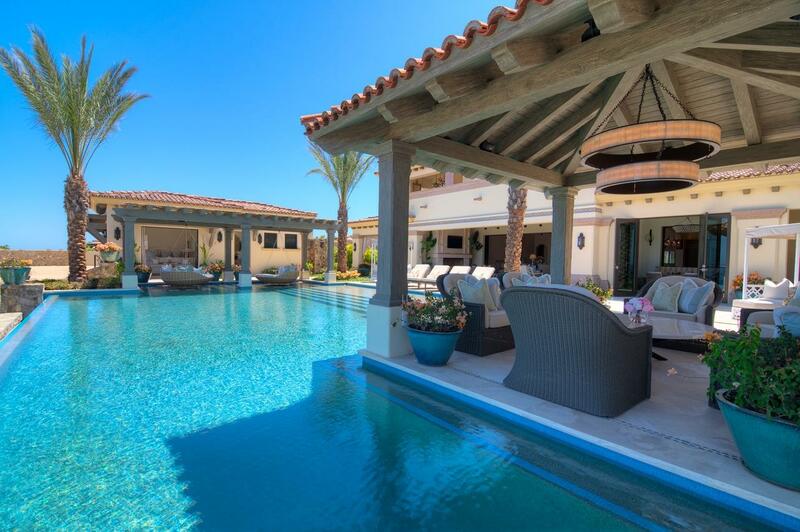 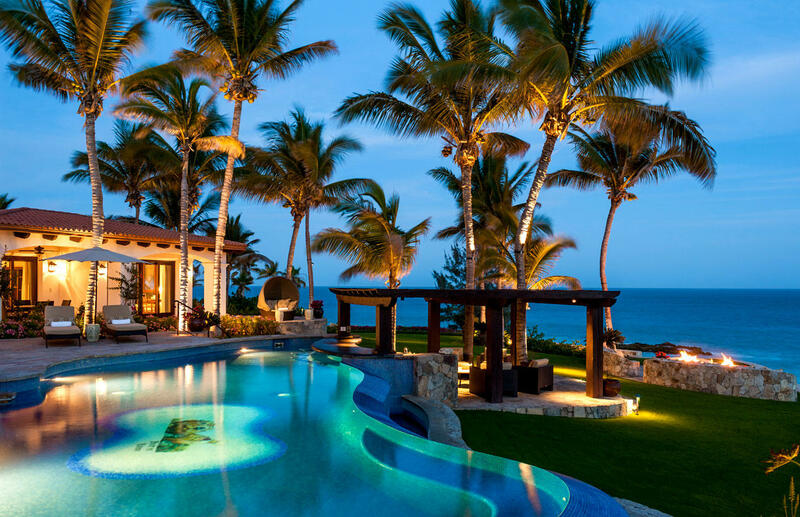 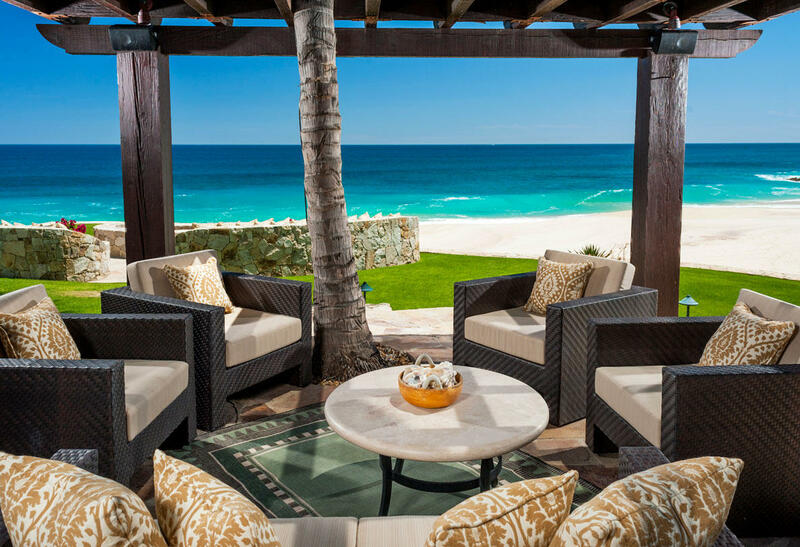 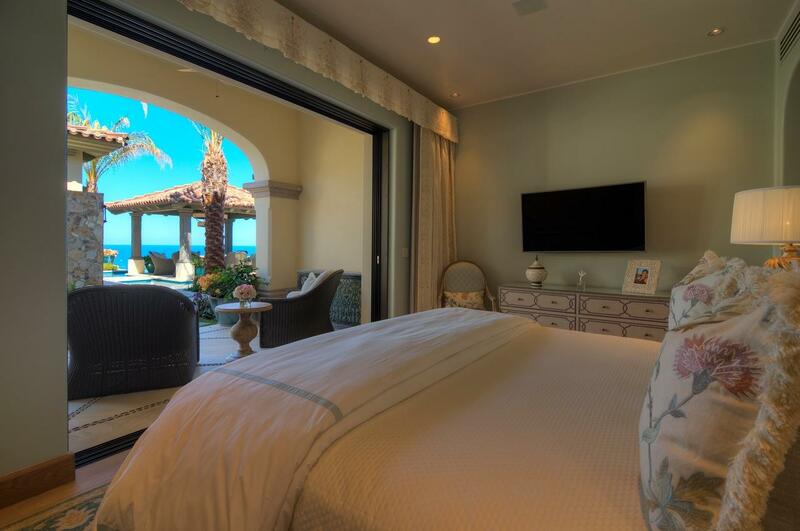 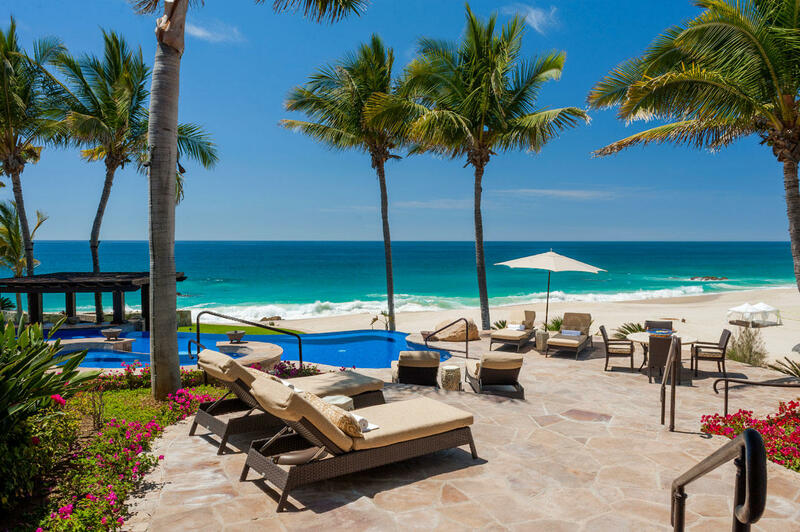 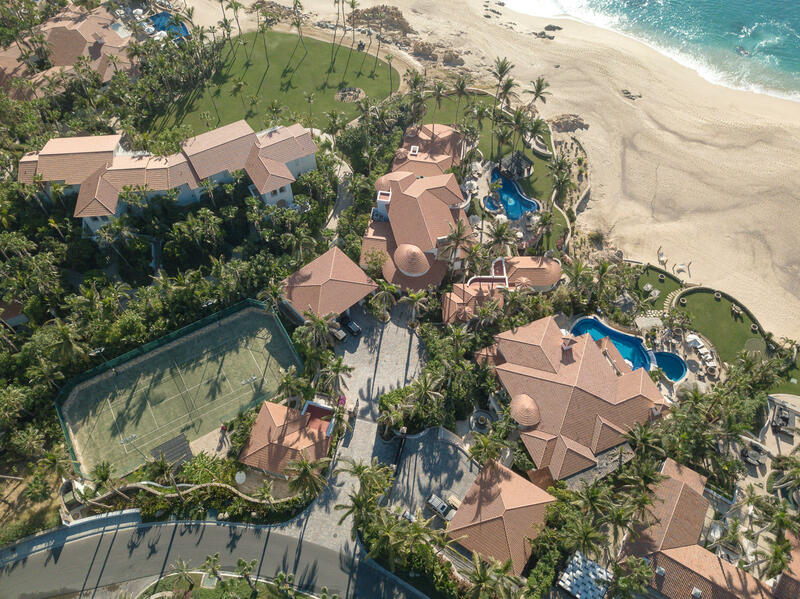 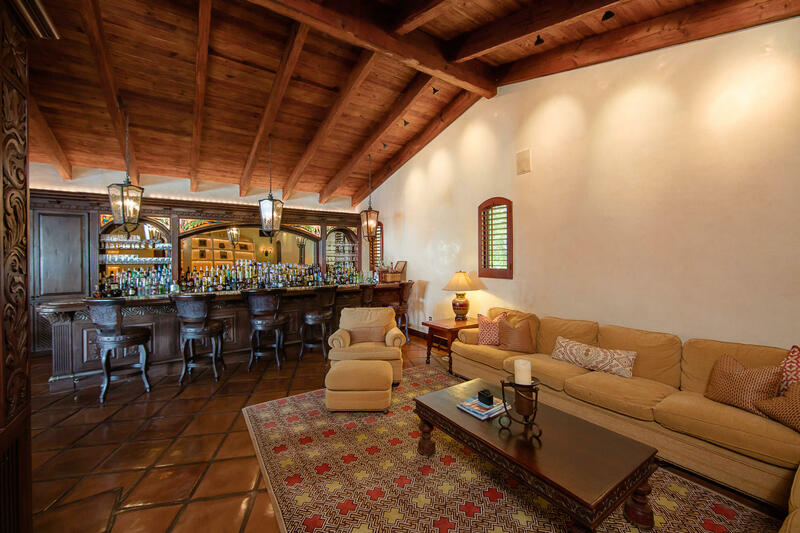 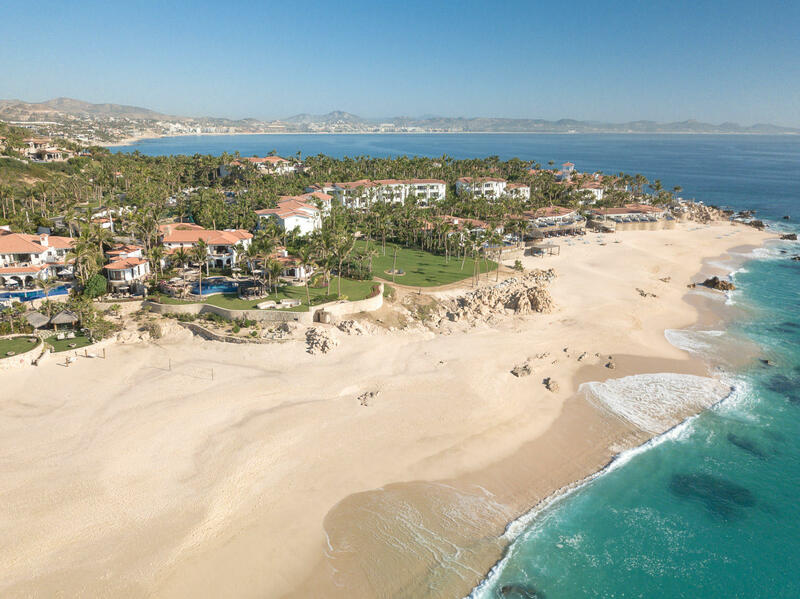 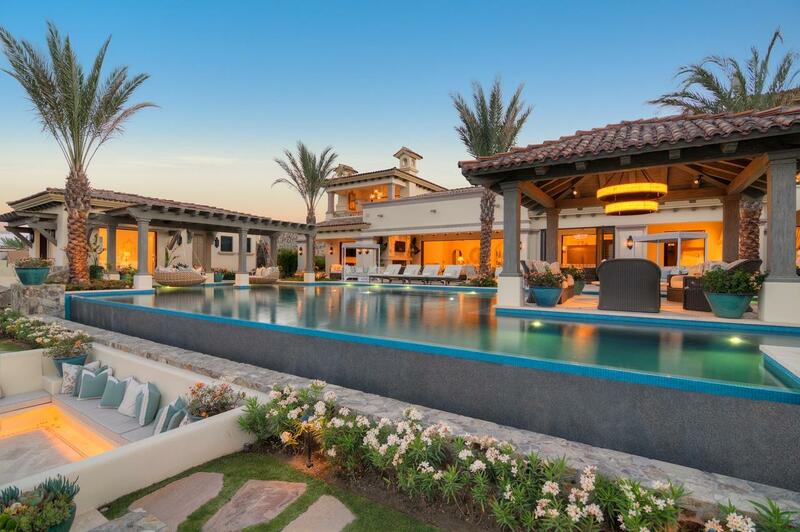 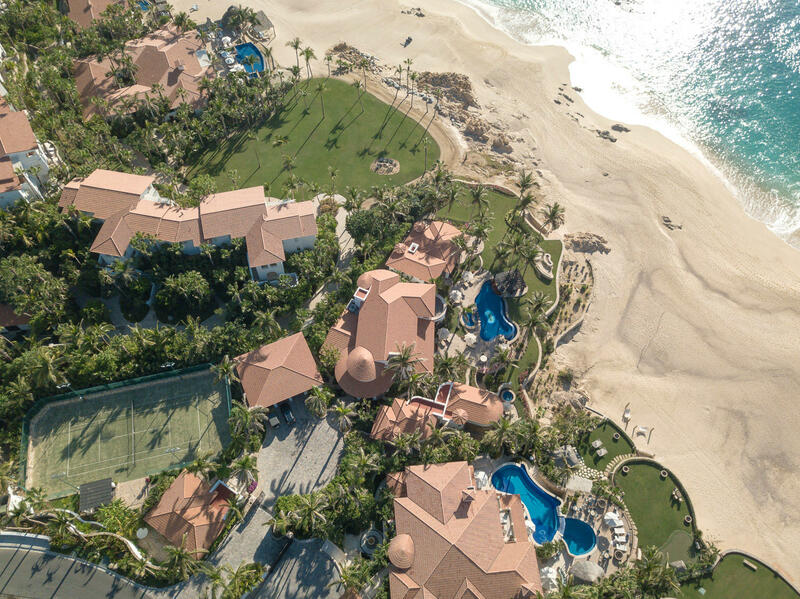 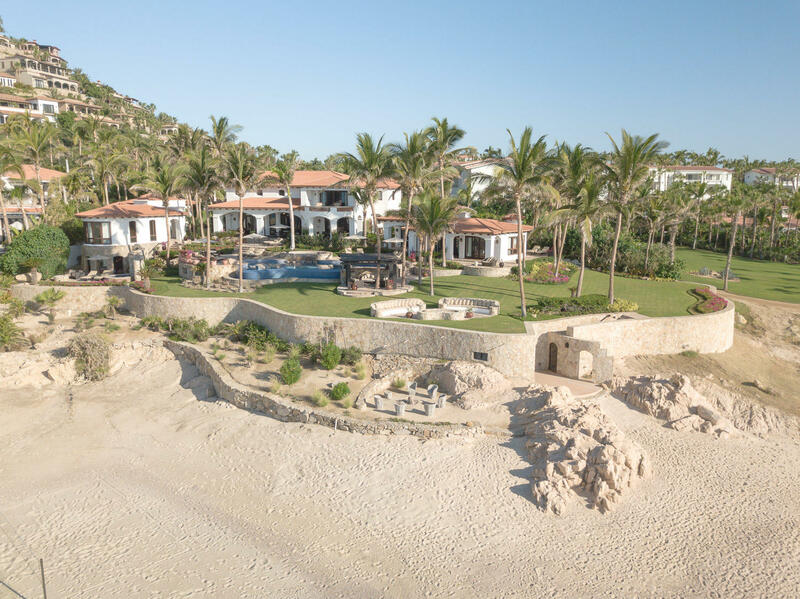 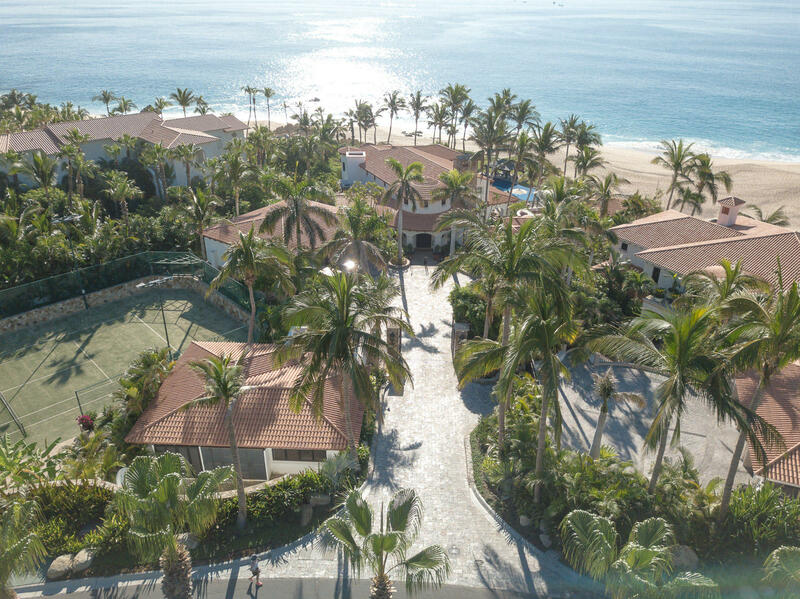 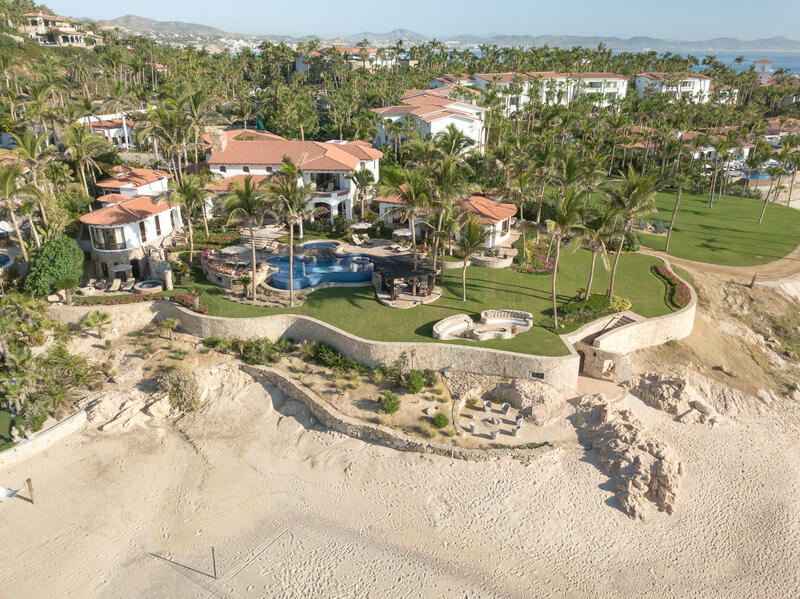 Description: Bespoke 12,000 square foot residence situated on over two acres of beachfront paradise on the Sea Of Cortez; Bahia Rocas is a 9-bedroom estate, within the gated community of Villas Del Mar, adjacent to the One & Only Palmilla. 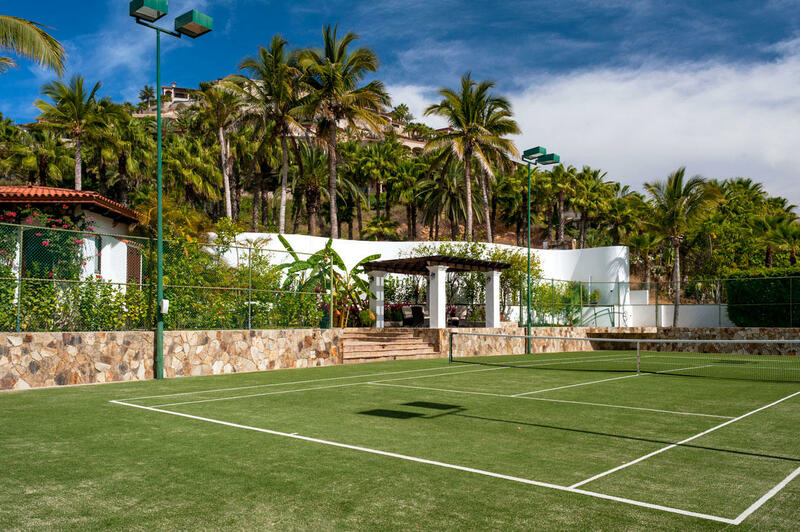 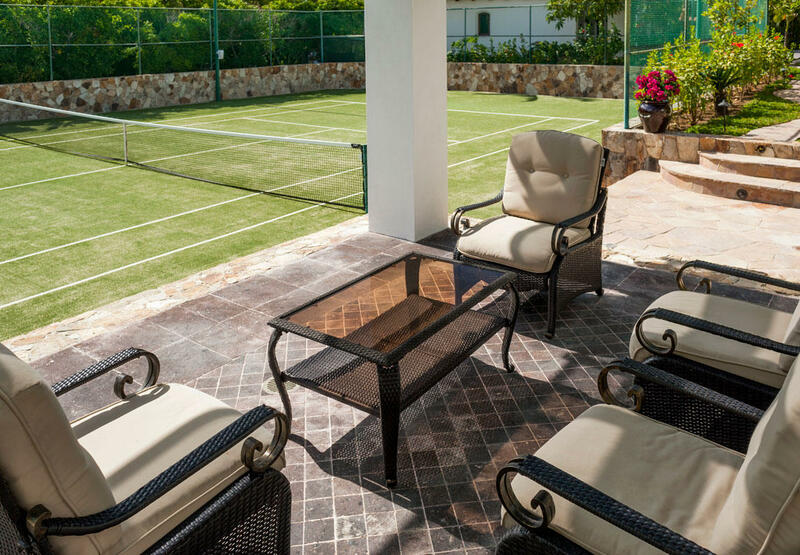 Featuring private tennis court and separate cottage with access to golf, marina, dining and spa this property has everything for family getaways and entertaining that makes a statement. 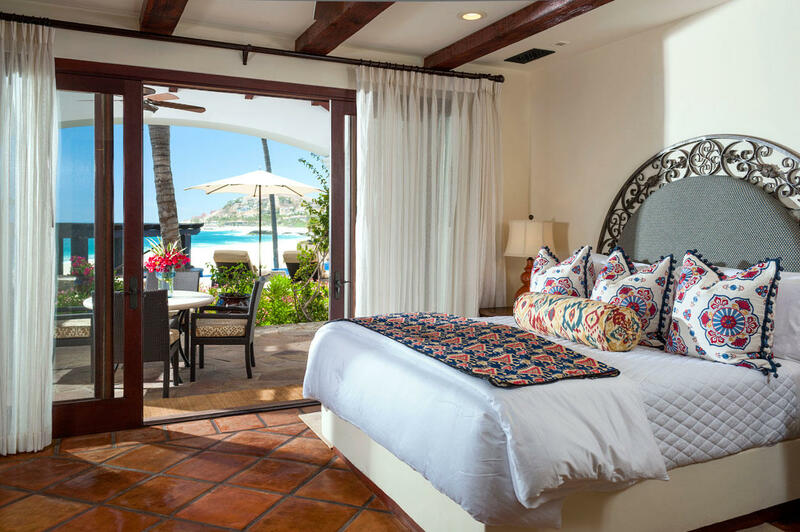 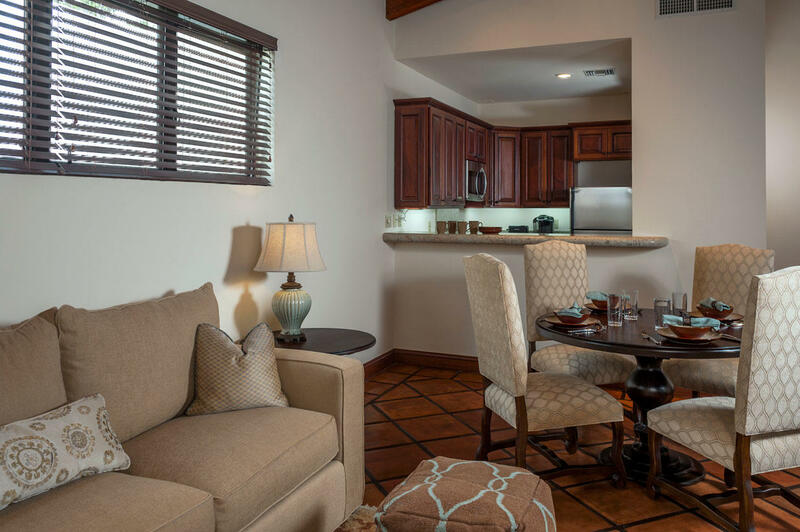 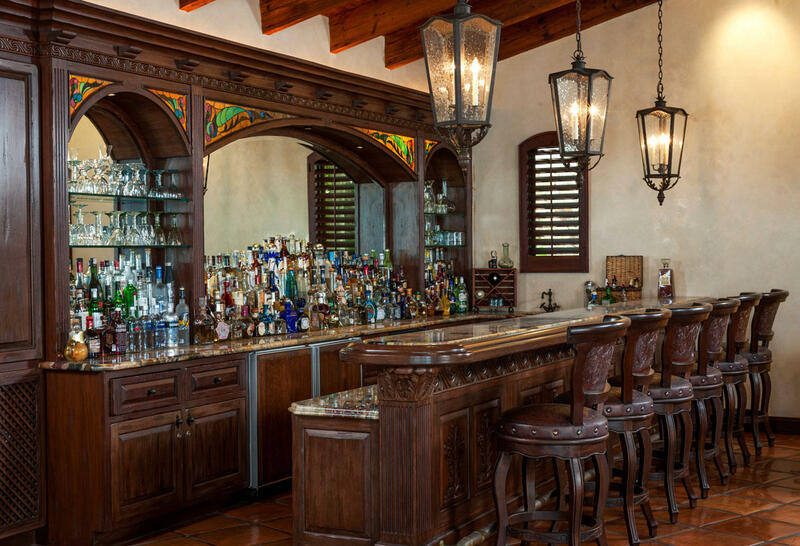 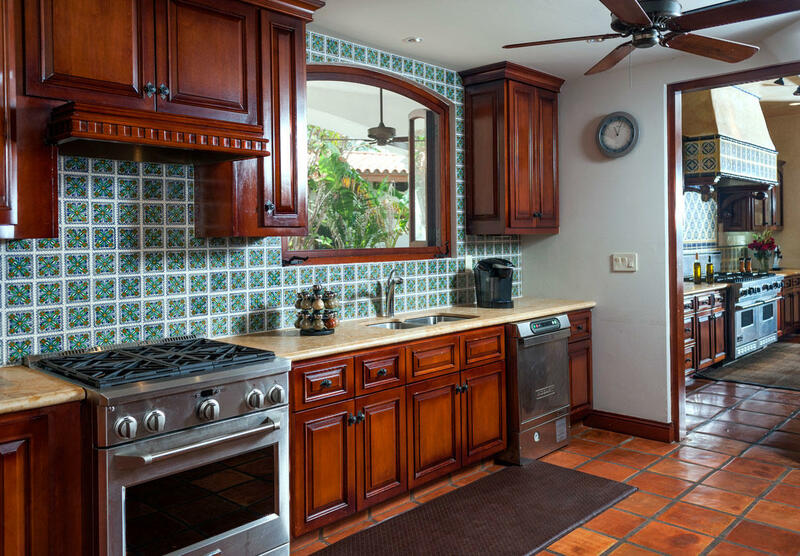 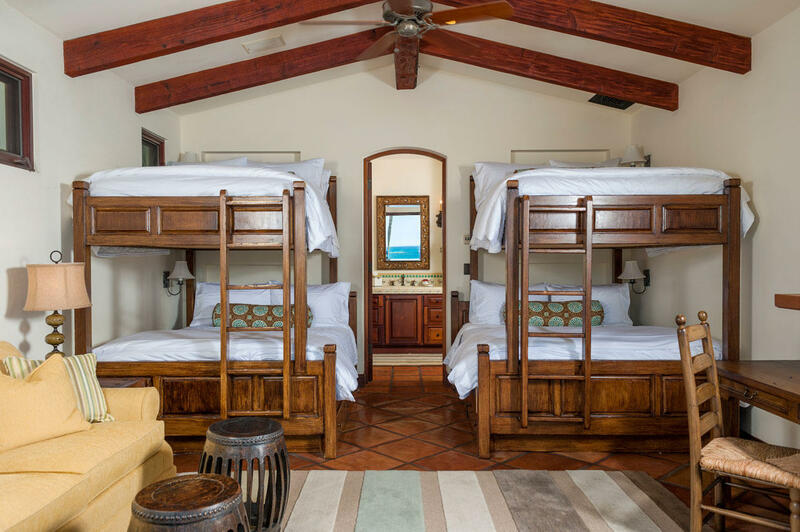 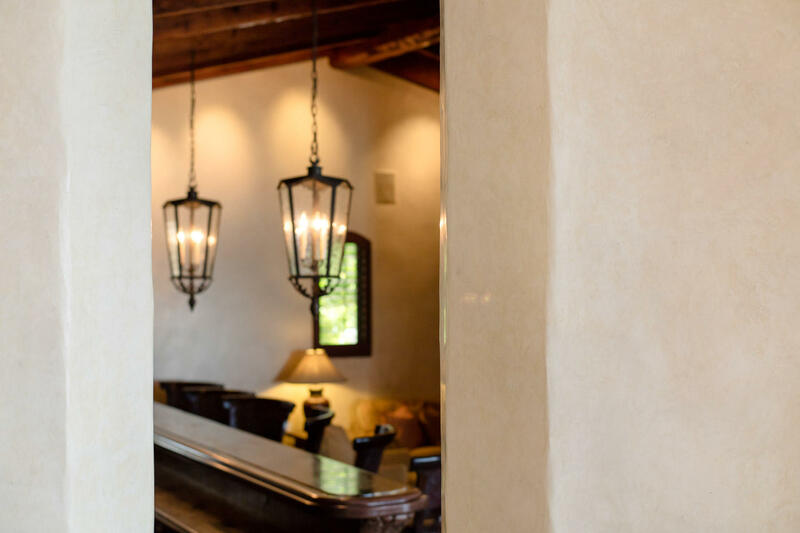 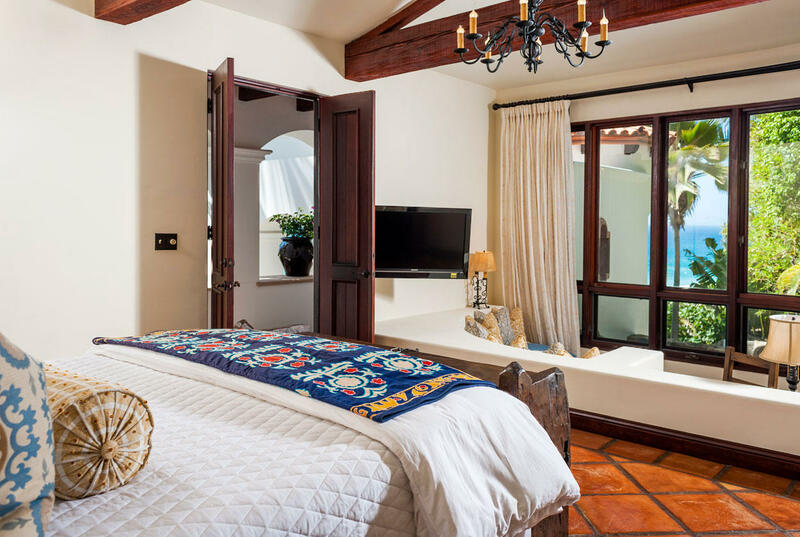 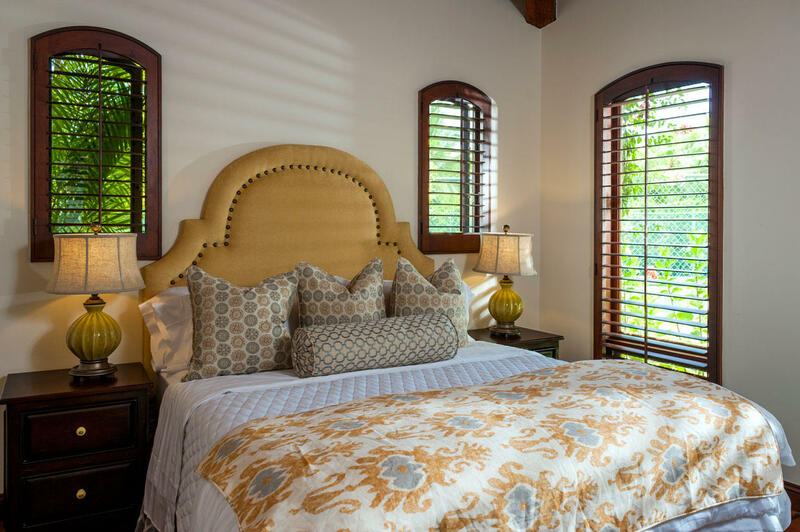 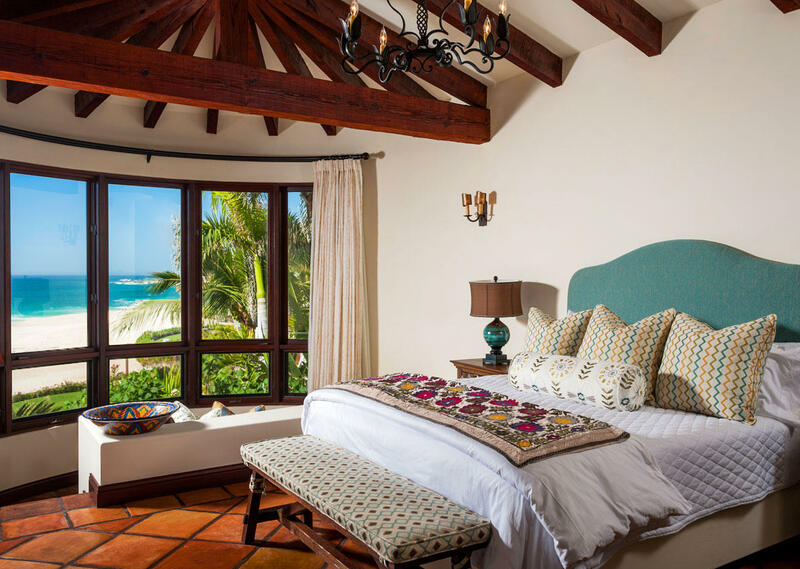 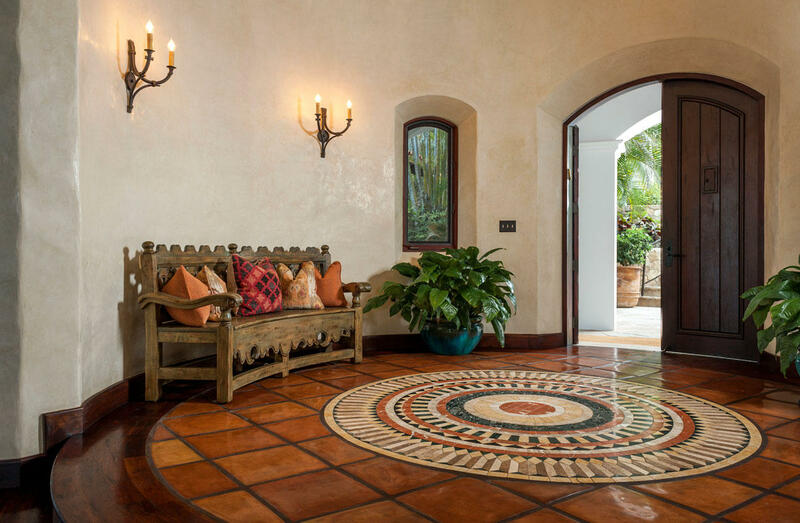 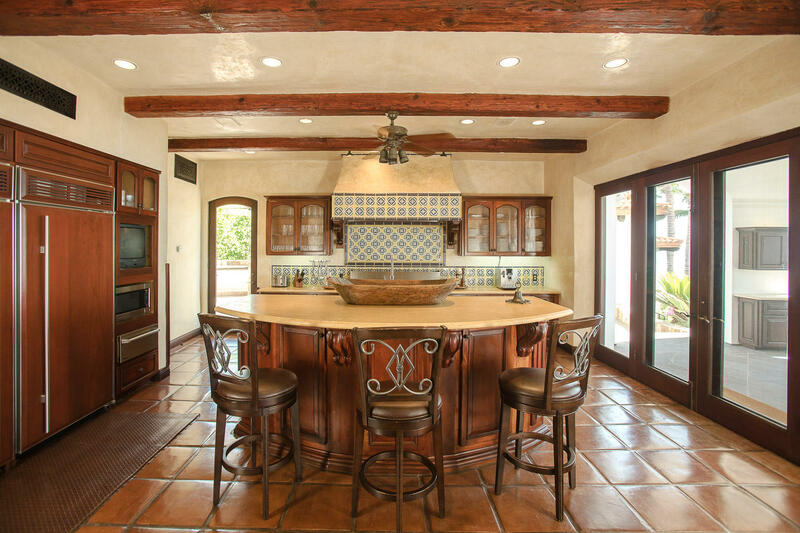 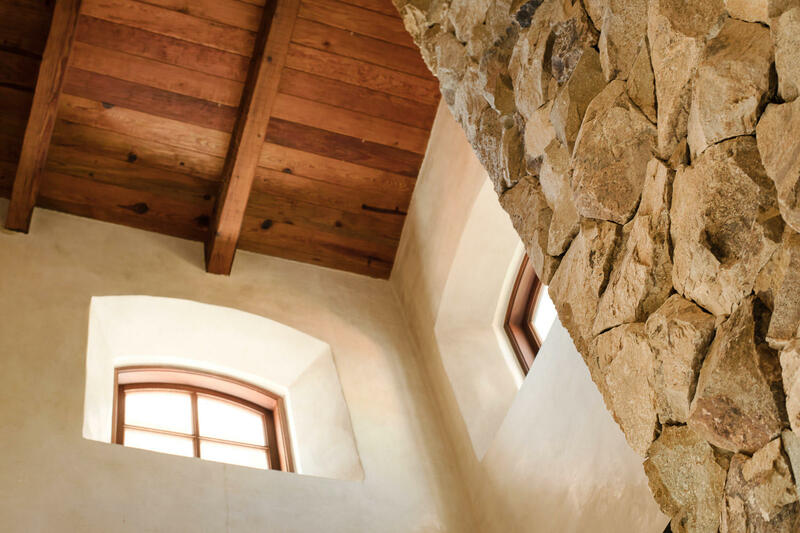 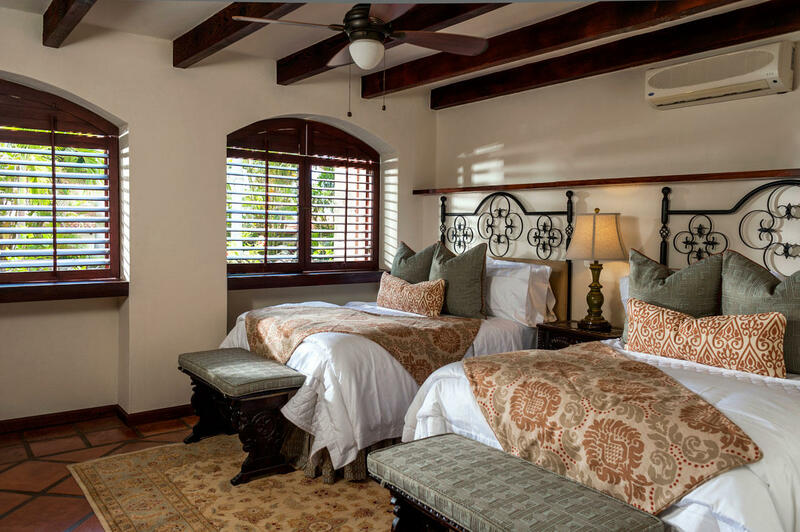 Exceptional Spanish architecture meets modern comfort and the very best of finishes, wrought-iron fixtures, intricate tile work and colorful linens reflect the artisanal skill and vibrant spirit of Mexican design. 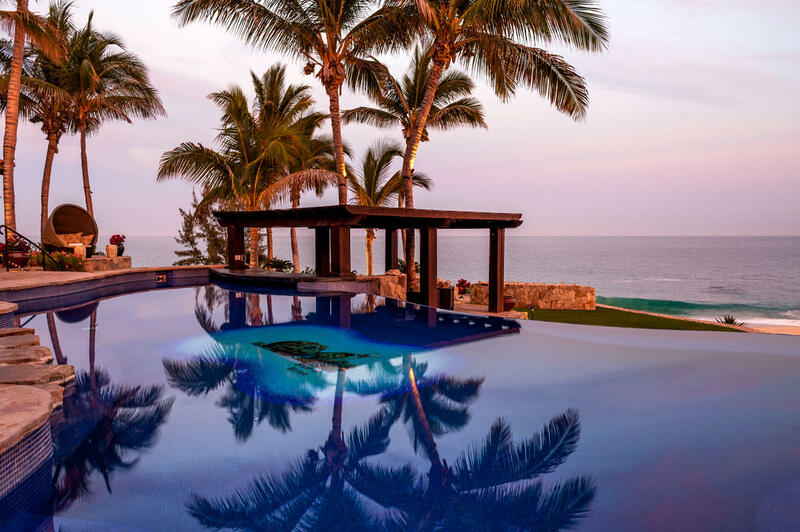 Free form infinity pool, swim up bar, two Jacuzzis & beachside firepit are set amongst the tropical gardens with breathtaking ocean views. 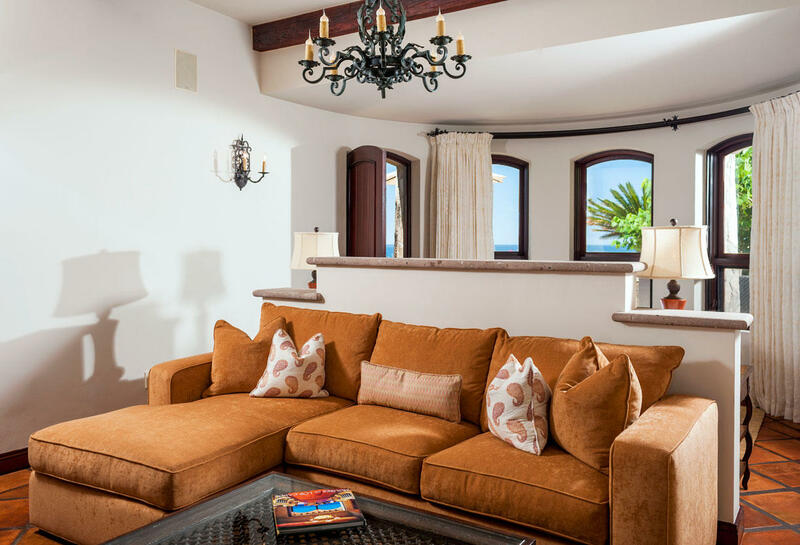 Description: Comfort, style, moments shared; embrace them all as Estate Nineteen welcomes you home with elegance and grace. 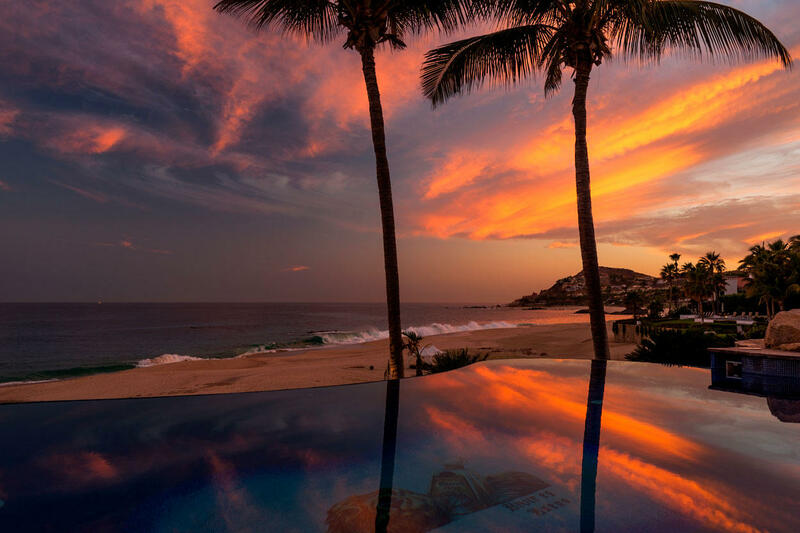 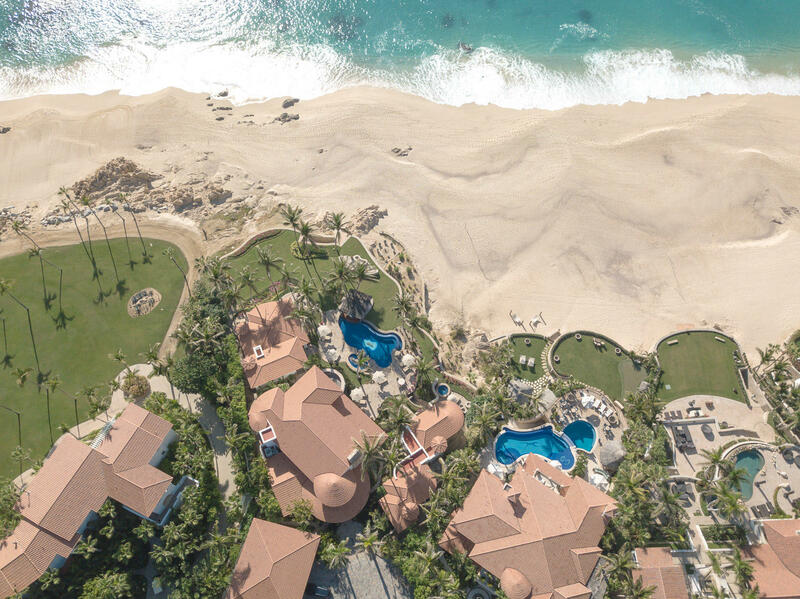 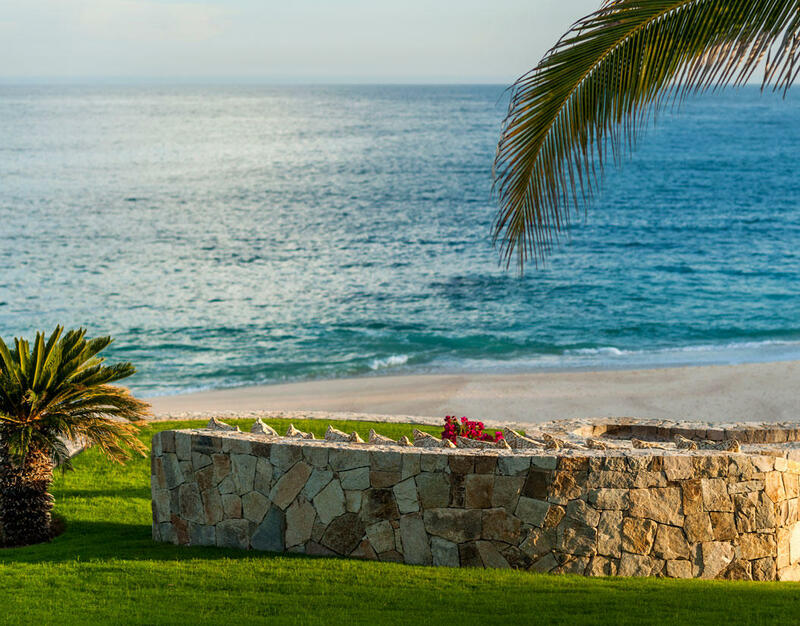 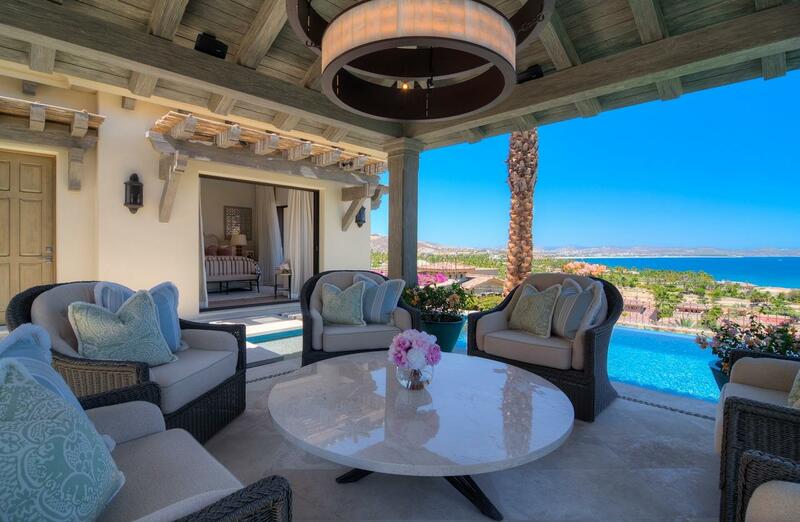 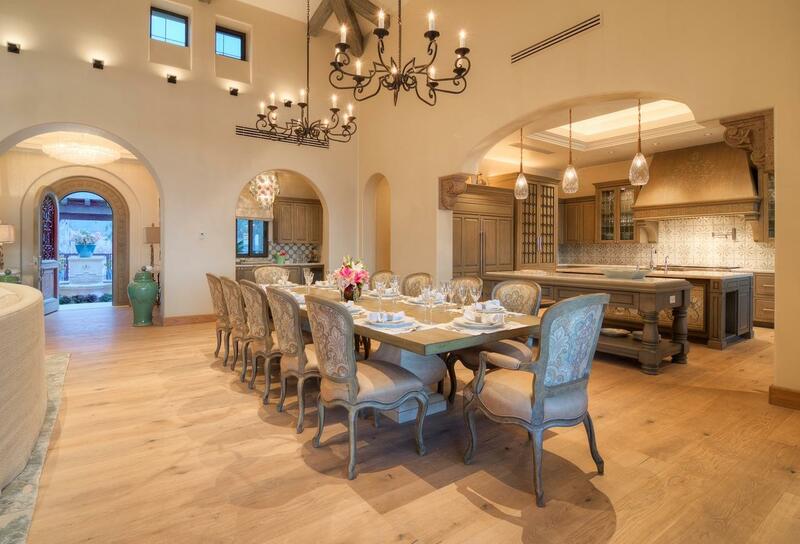 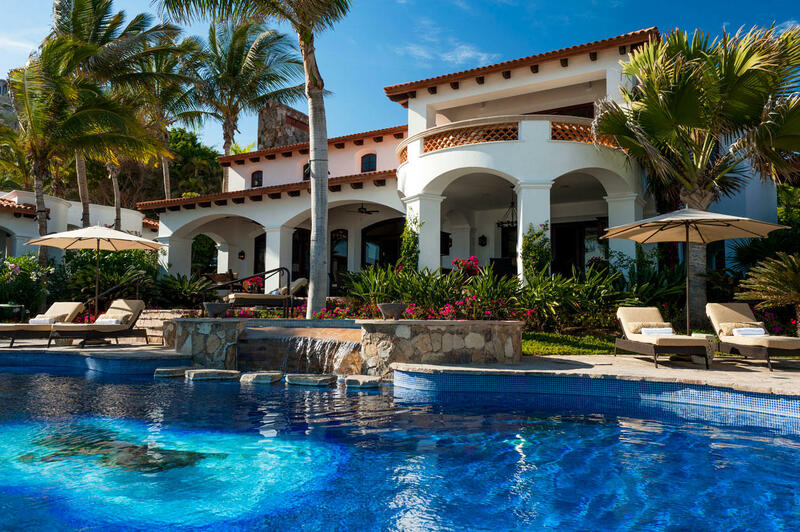 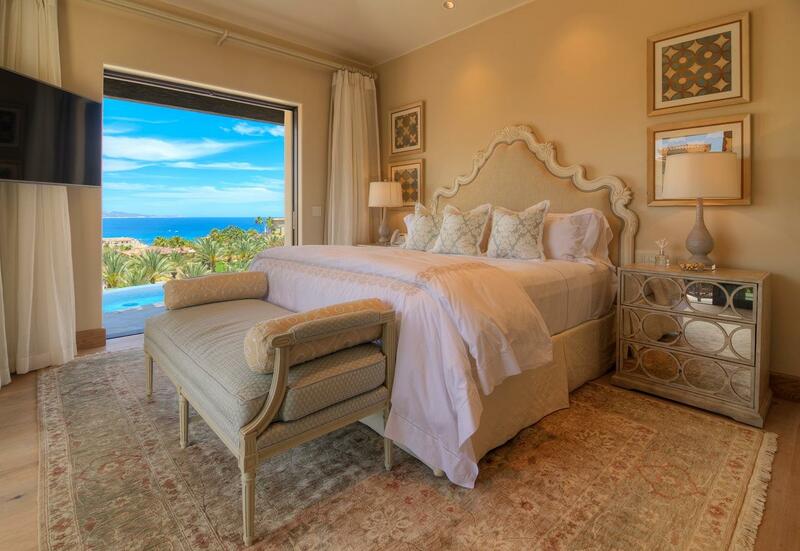 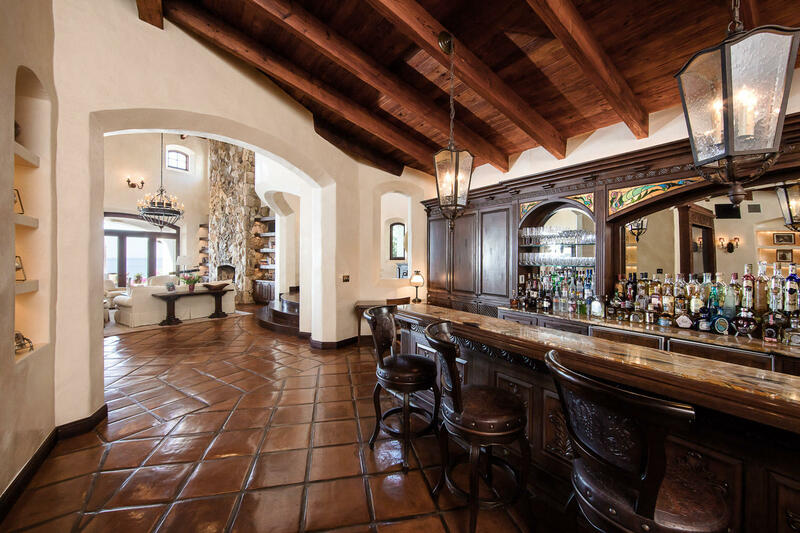 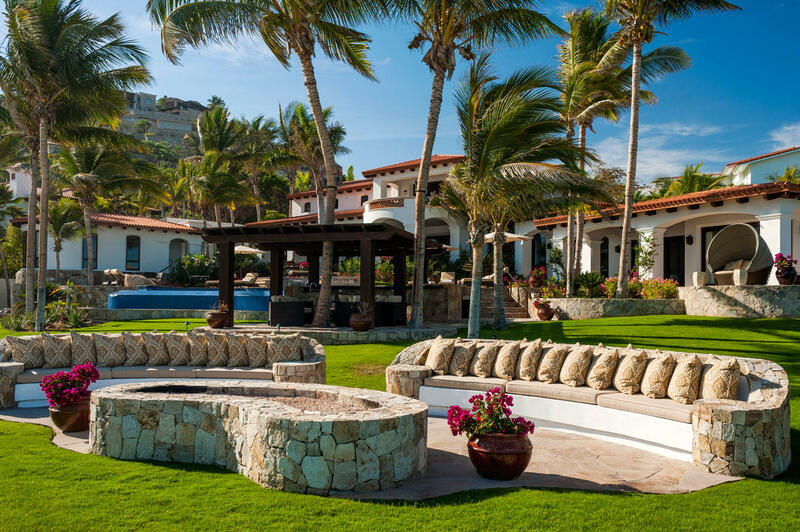 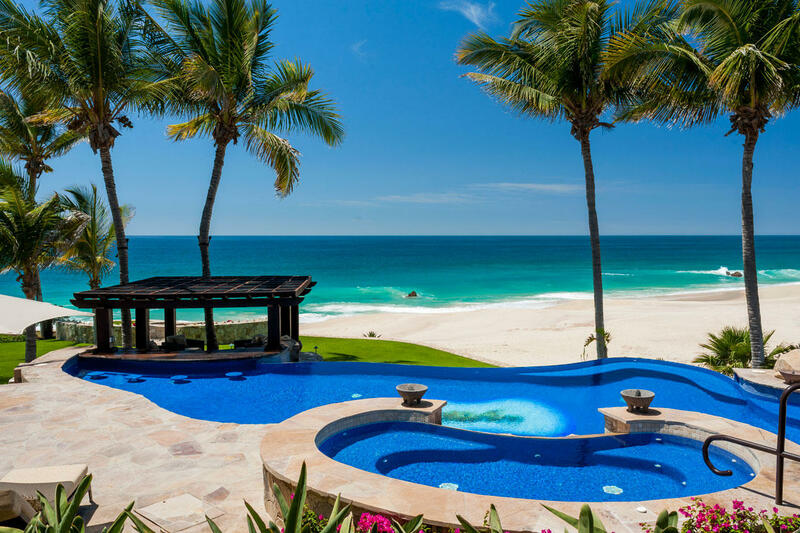 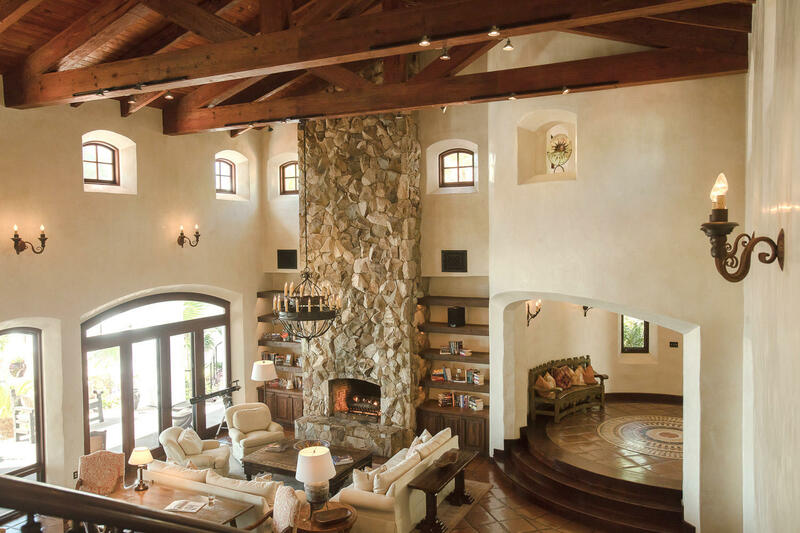 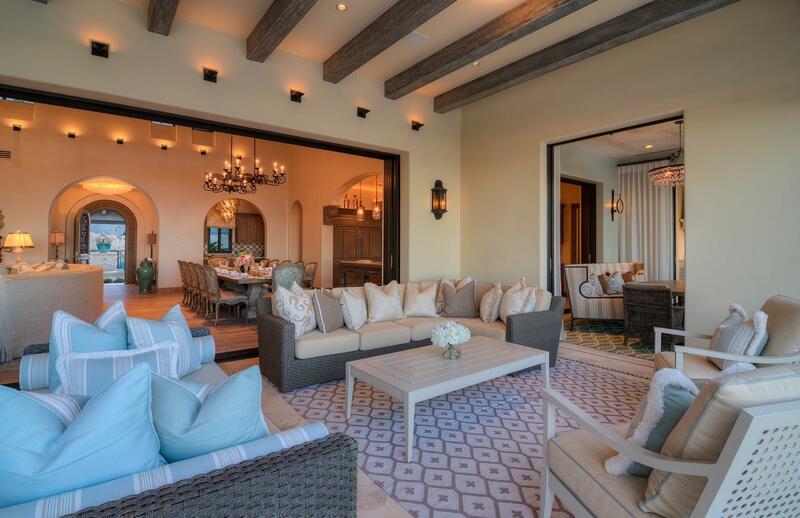 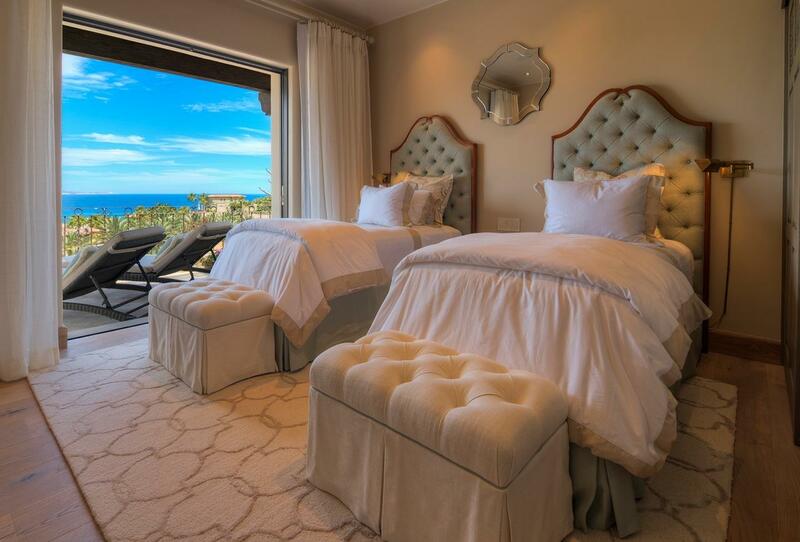 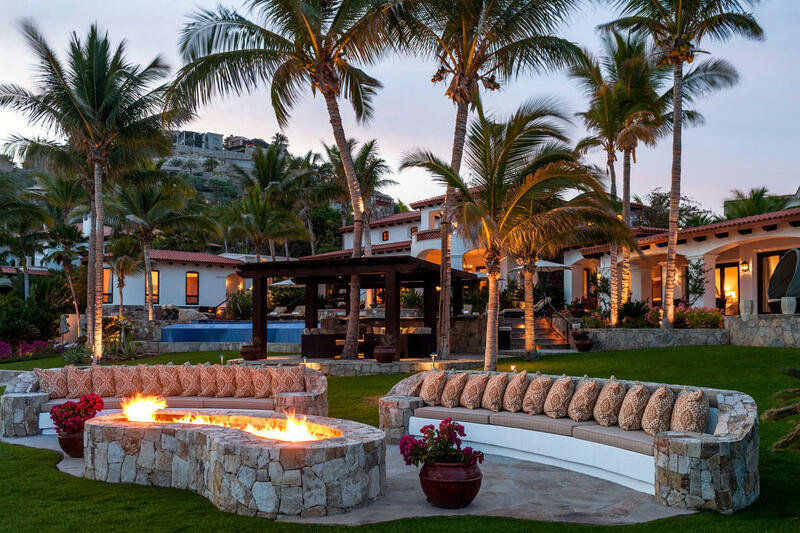 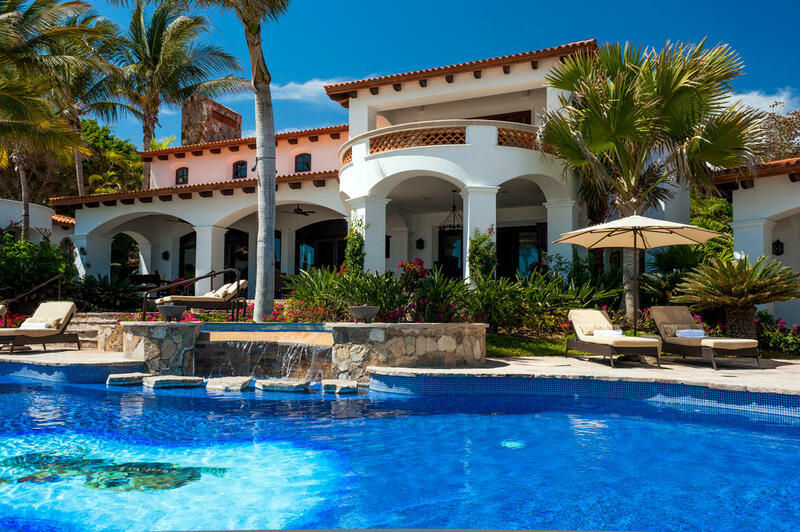 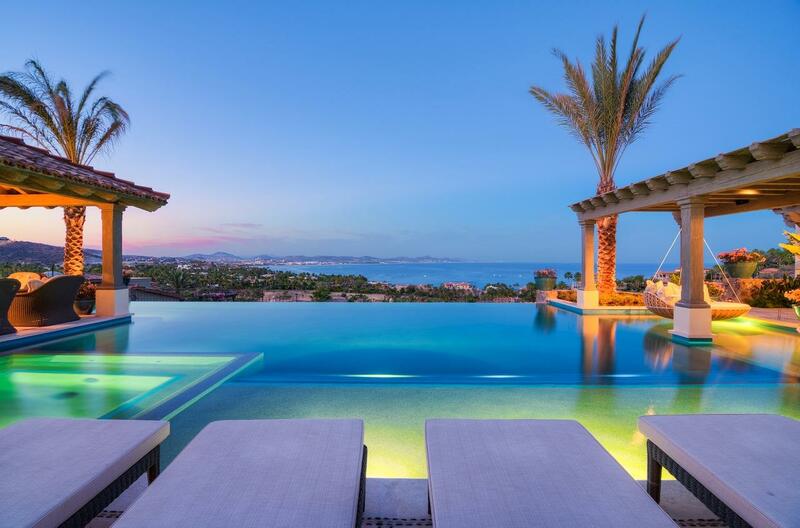 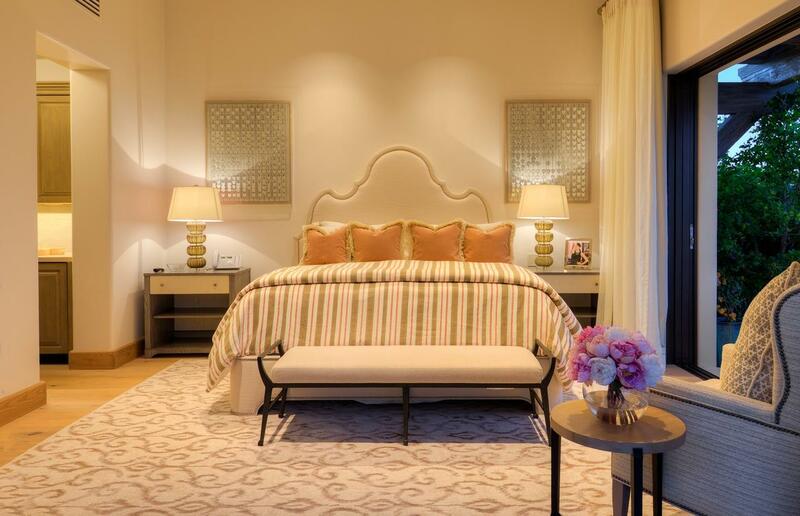 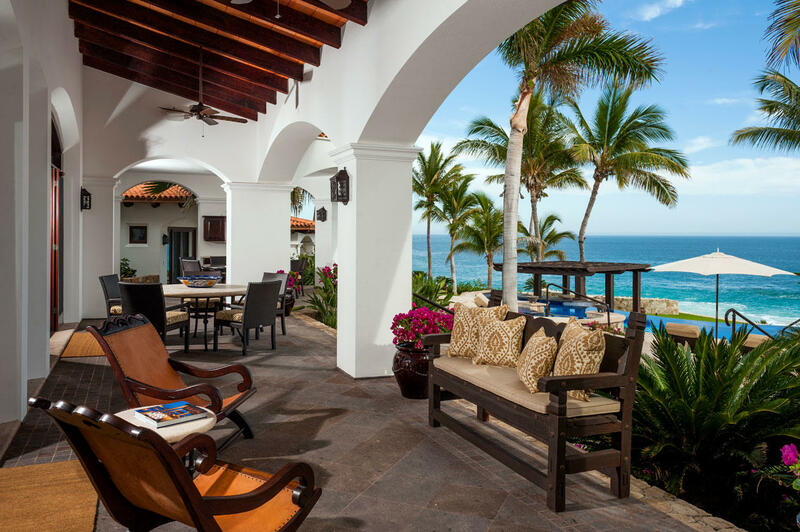 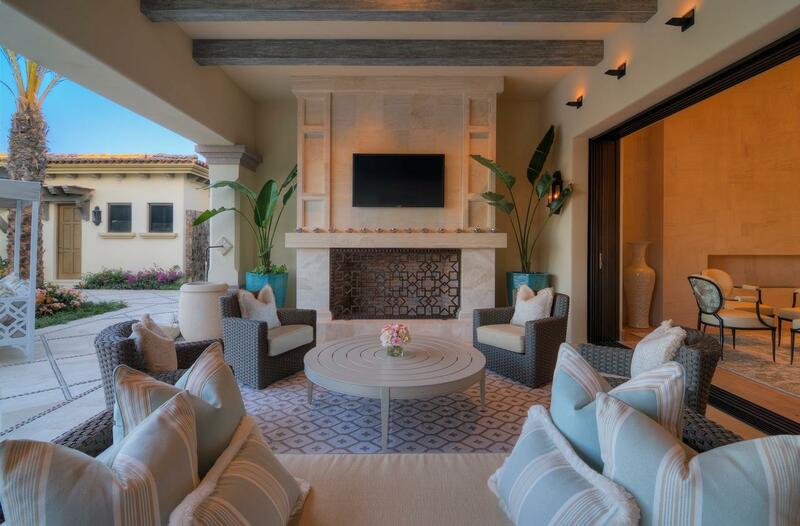 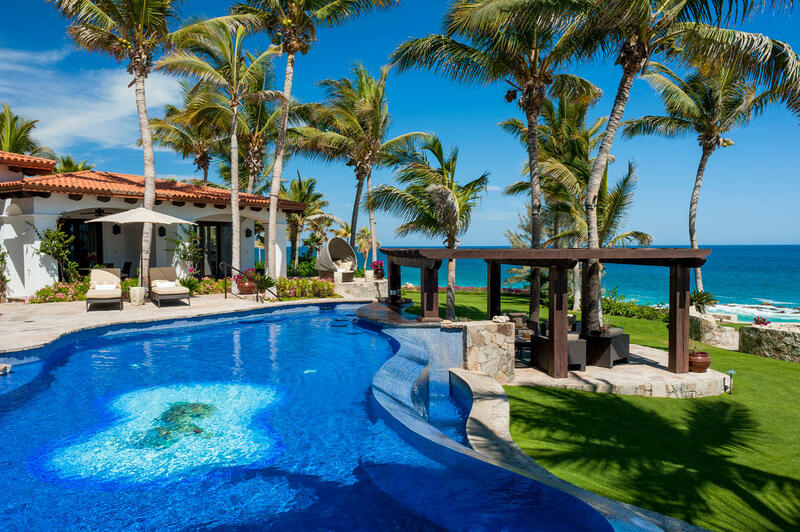 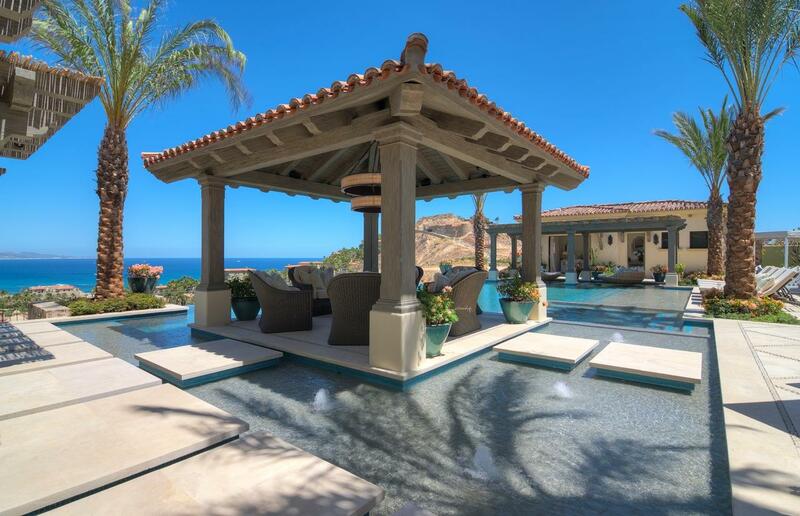 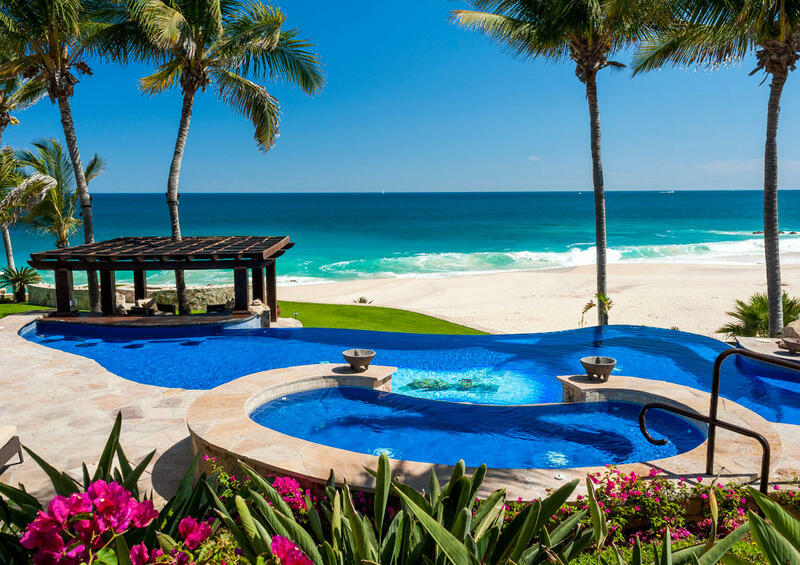 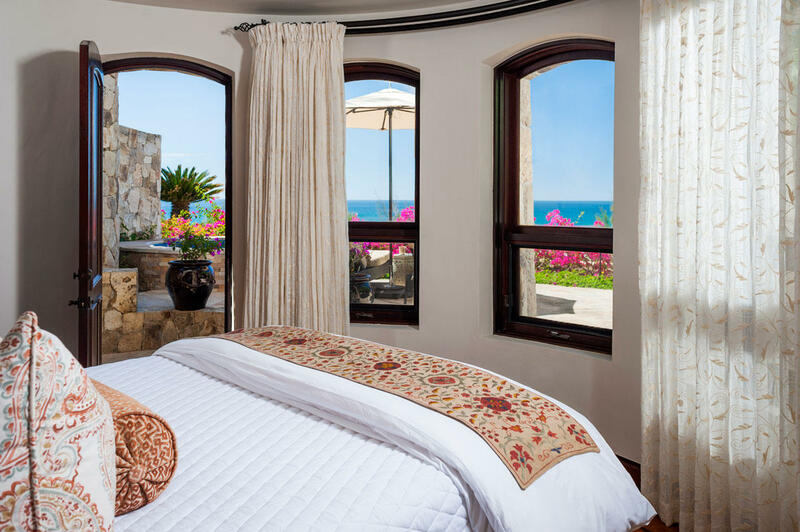 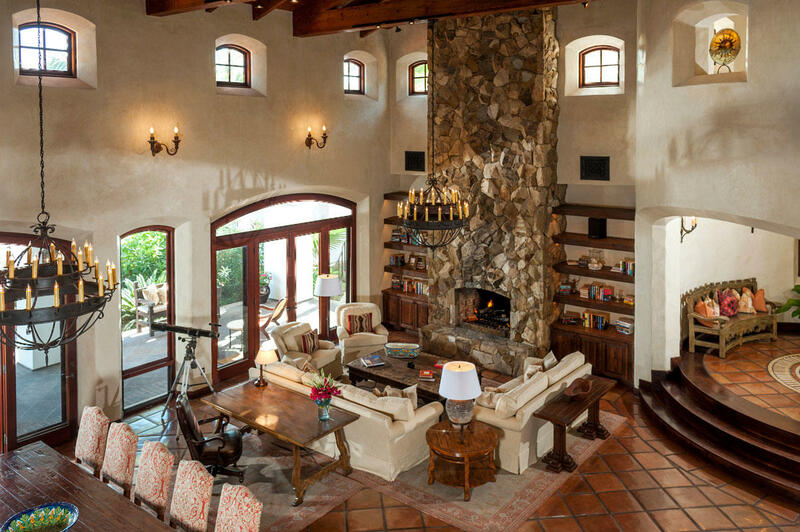 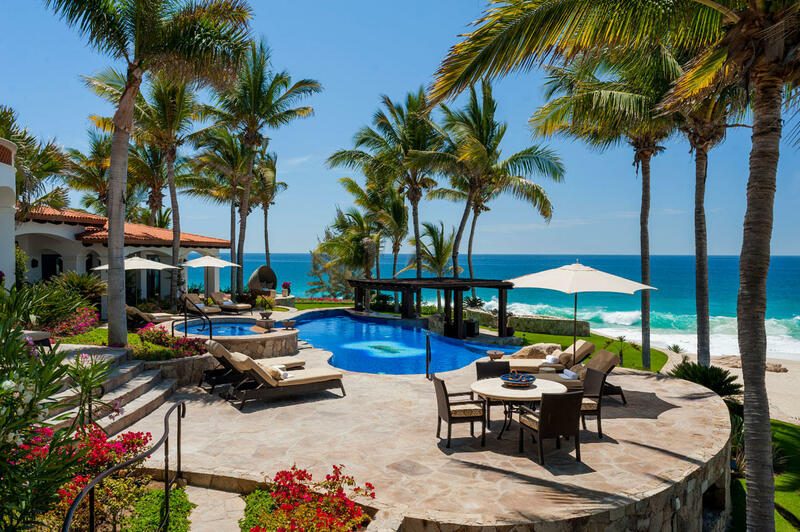 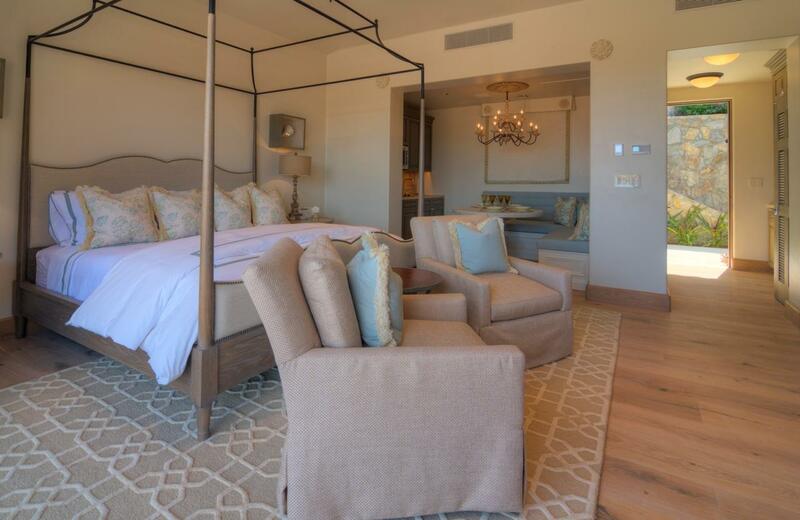 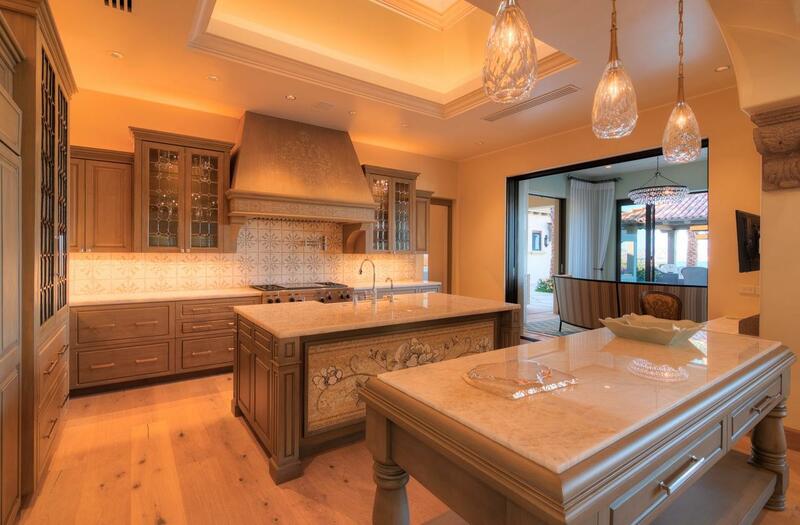 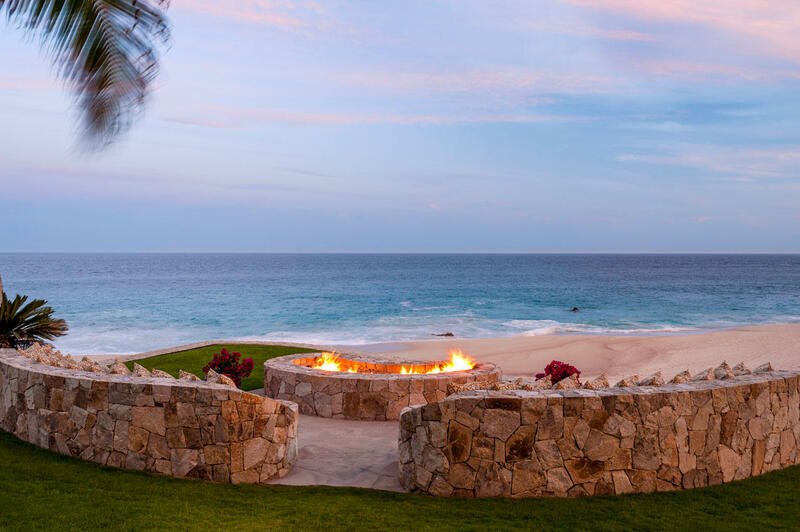 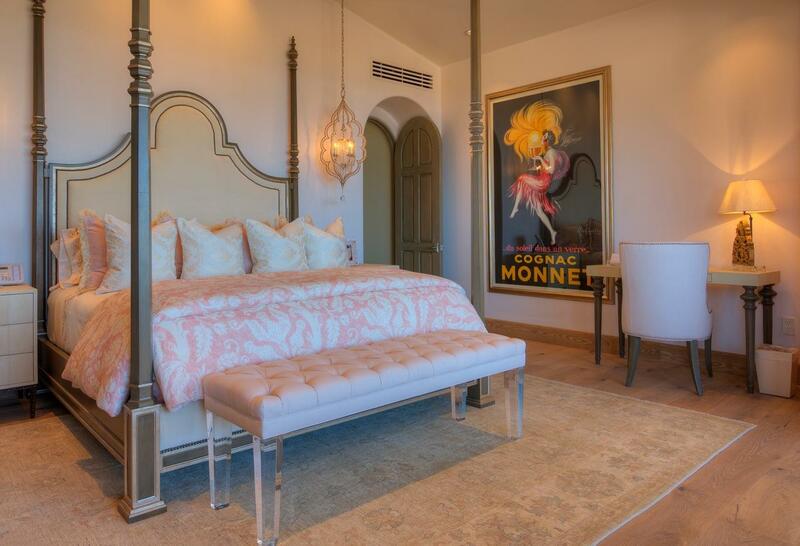 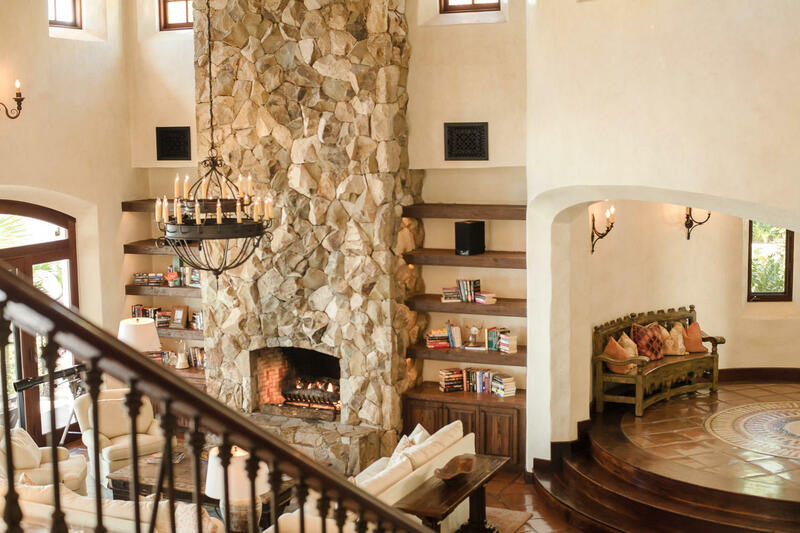 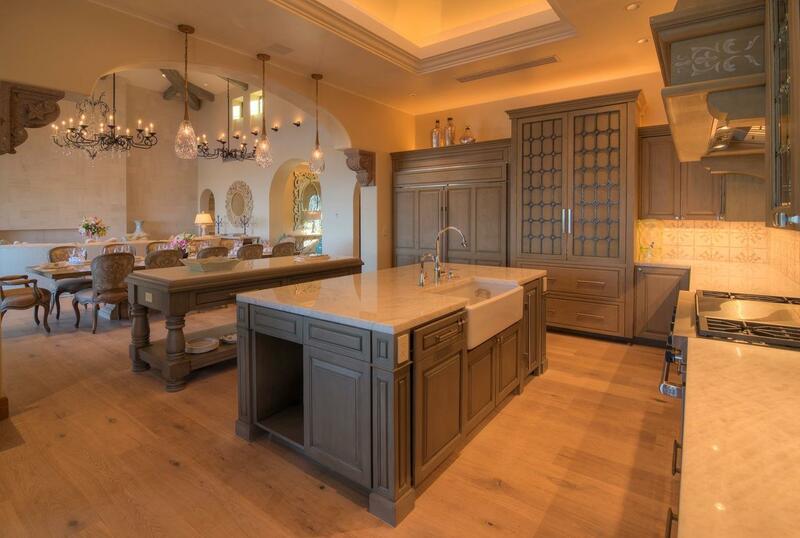 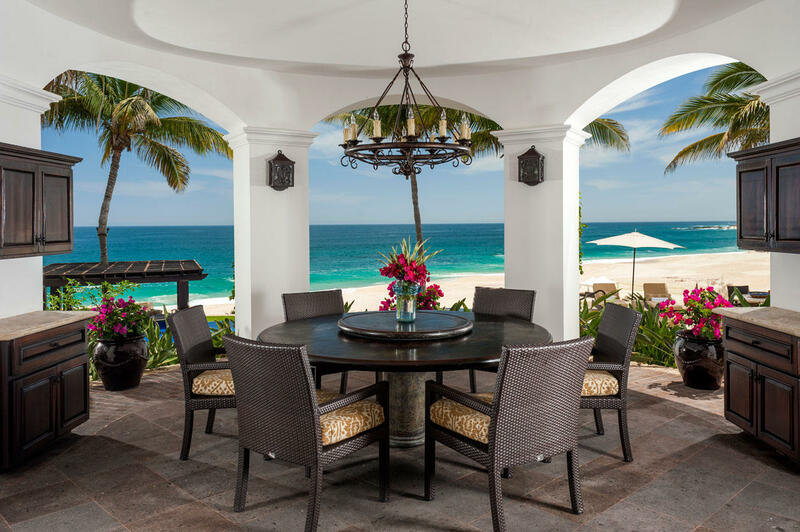 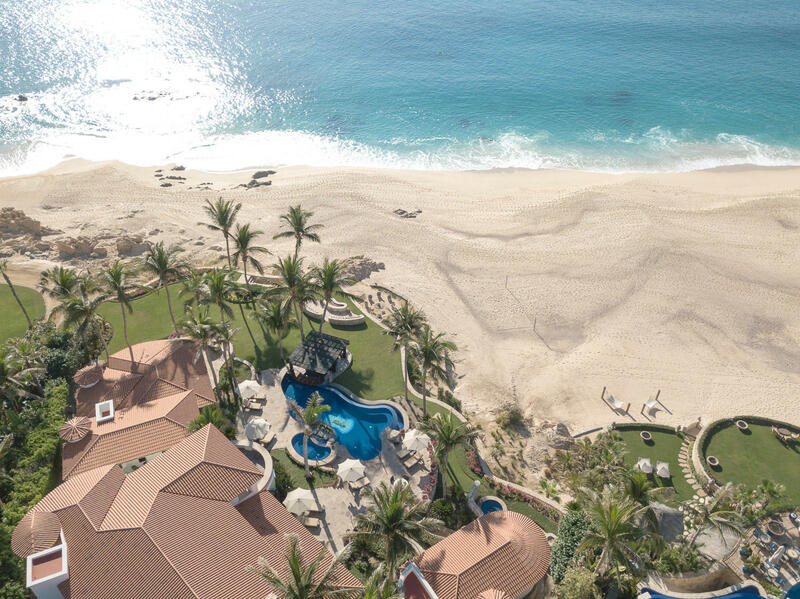 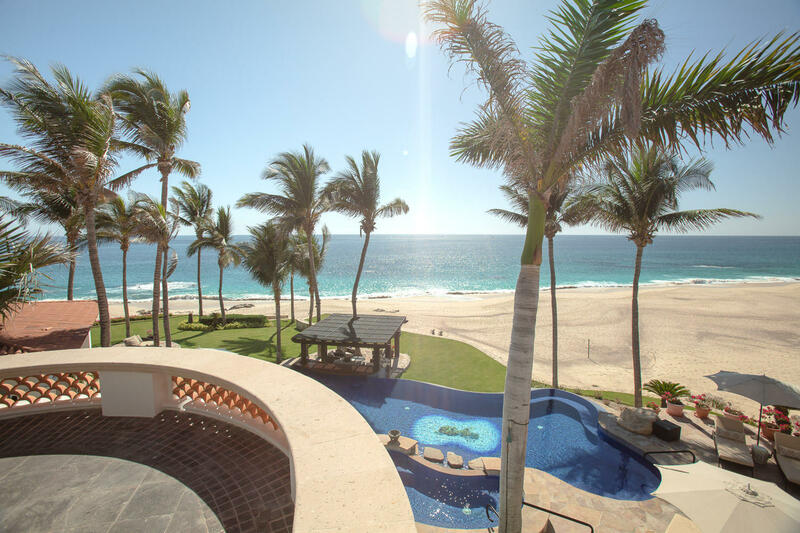 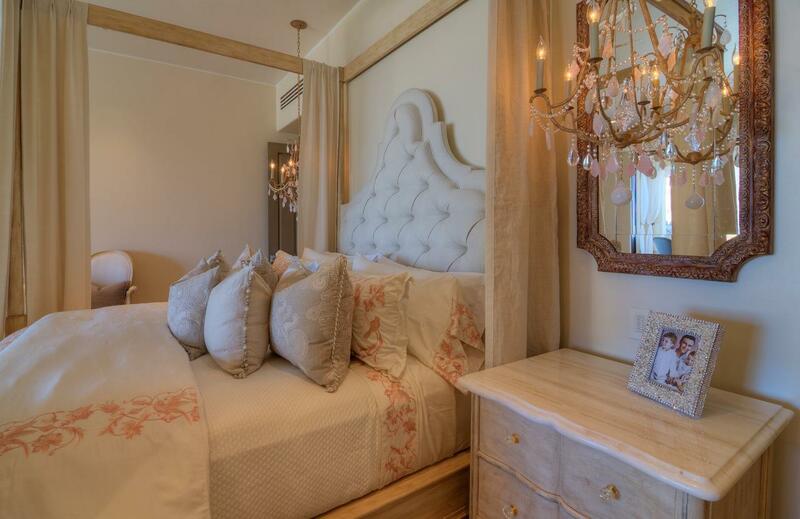 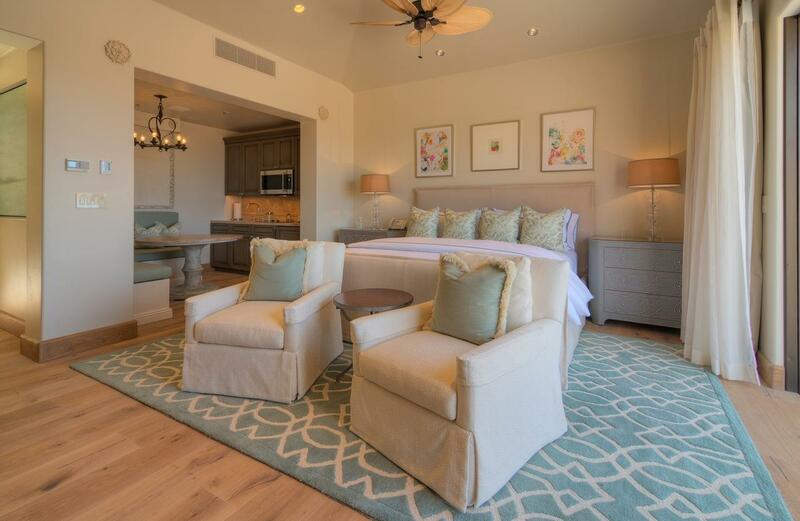 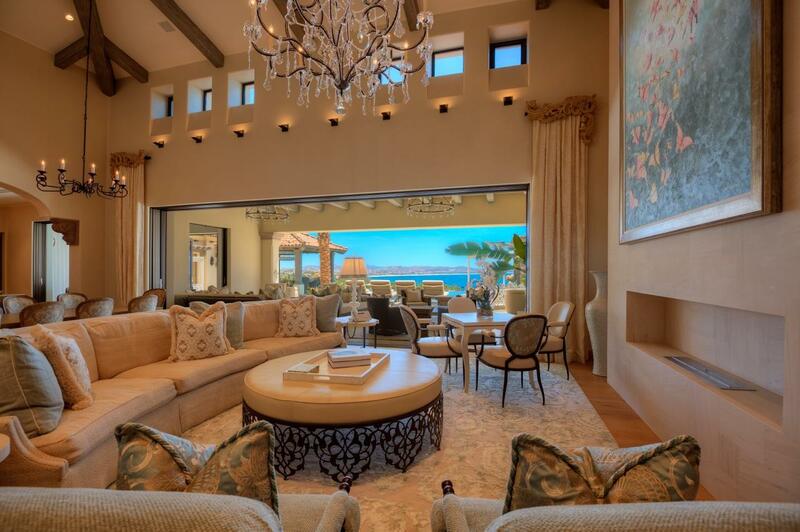 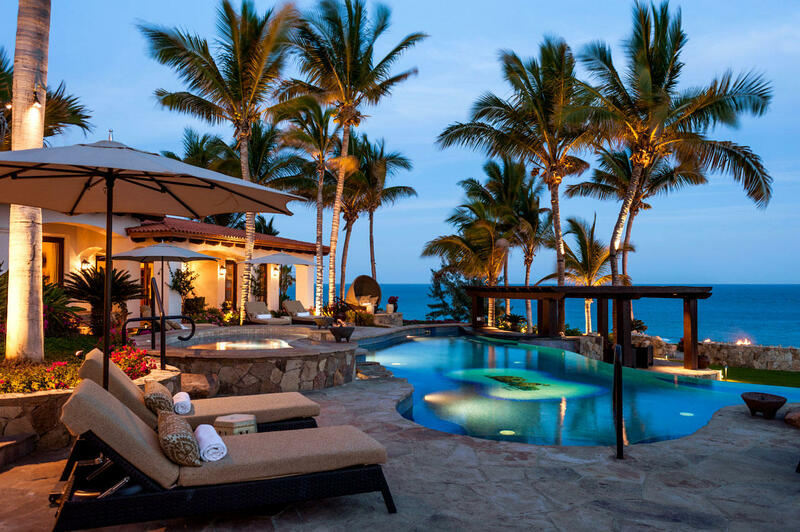 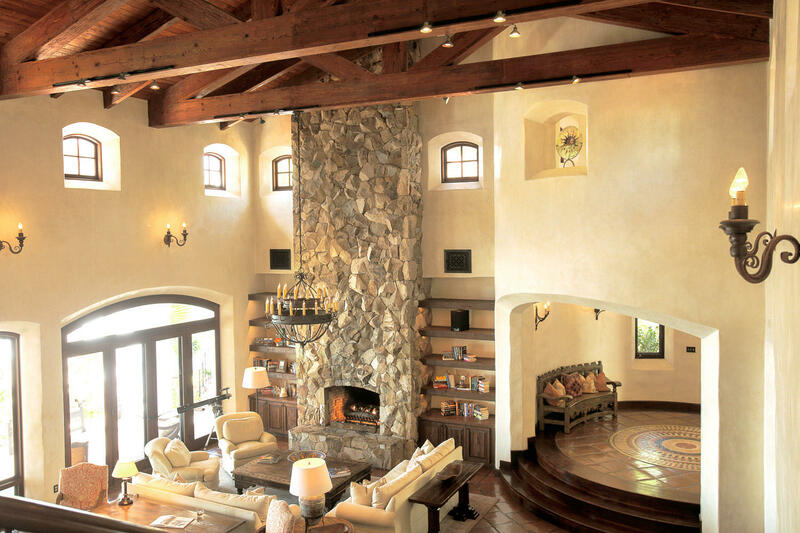 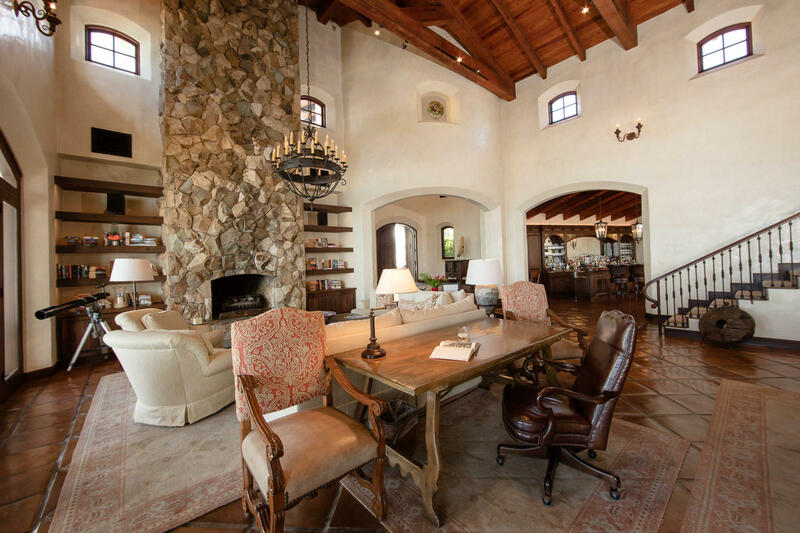 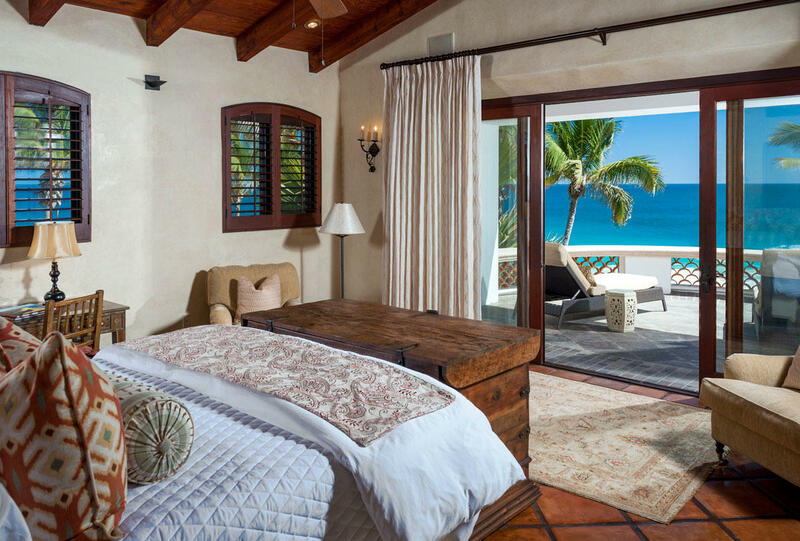 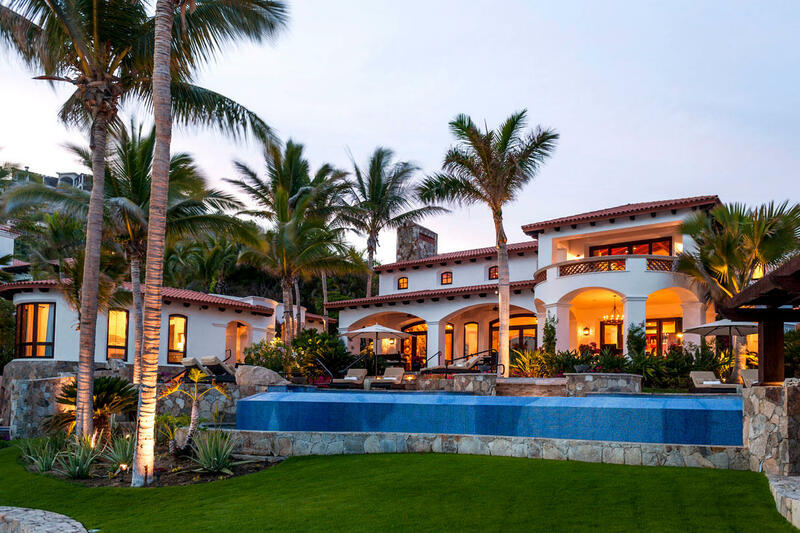 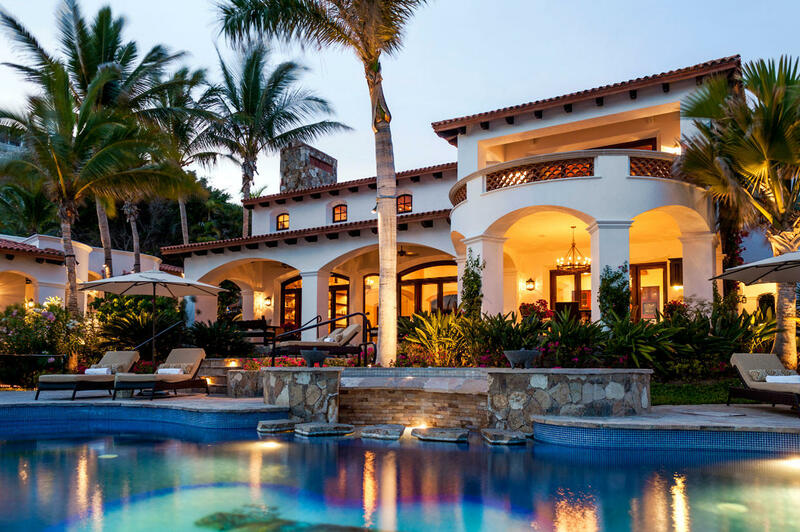 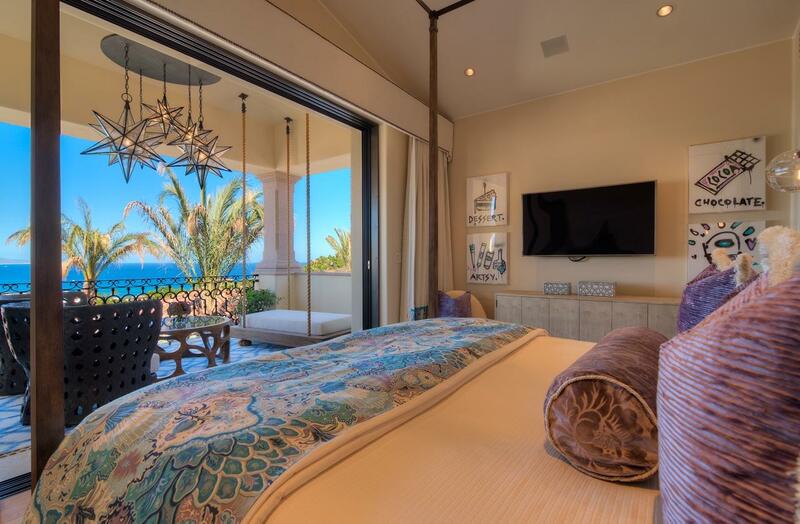 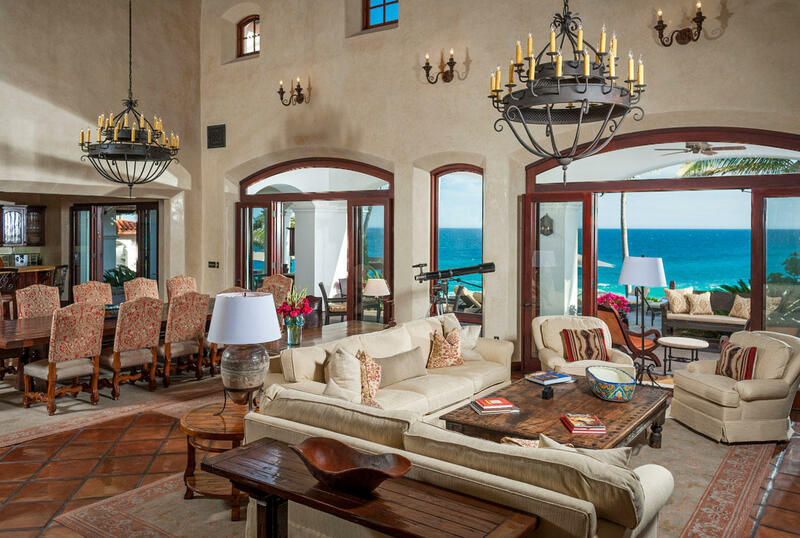 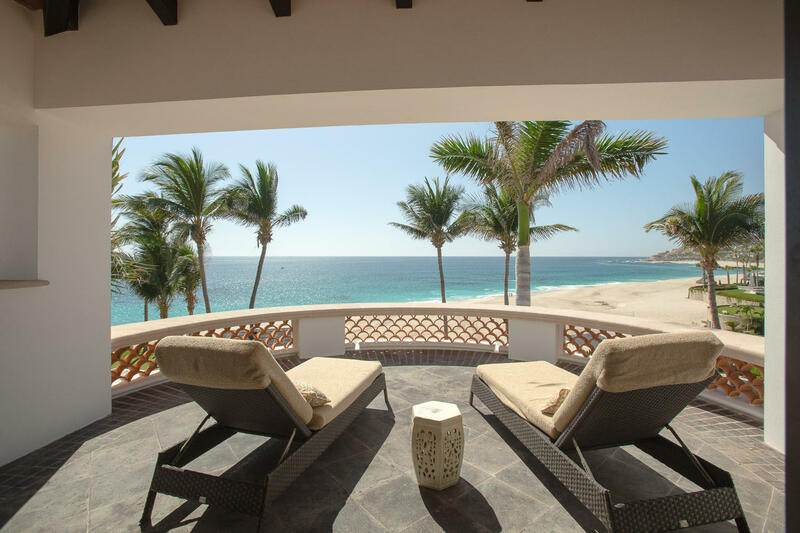 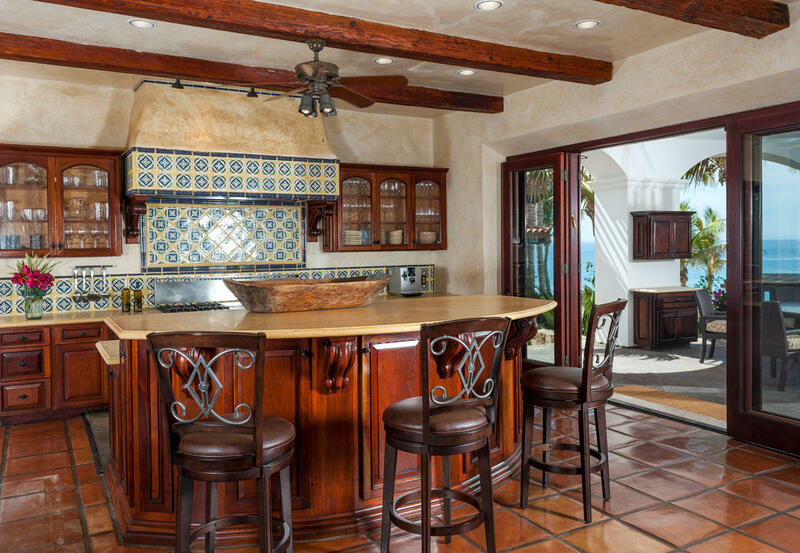 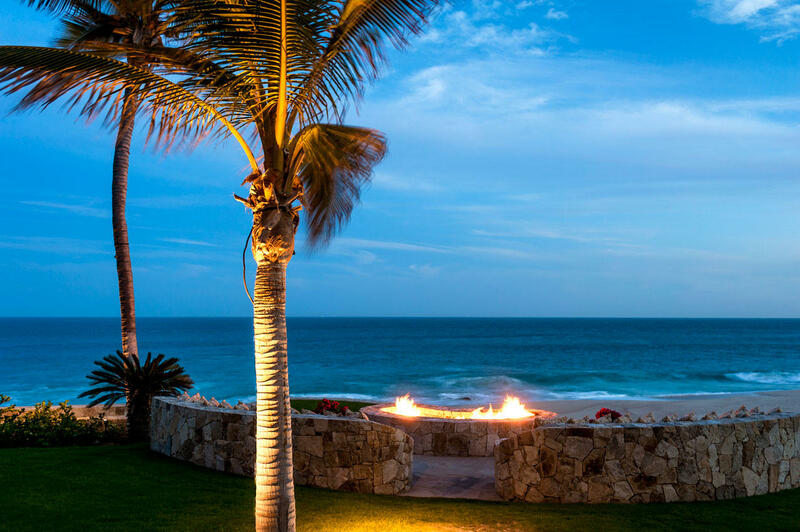 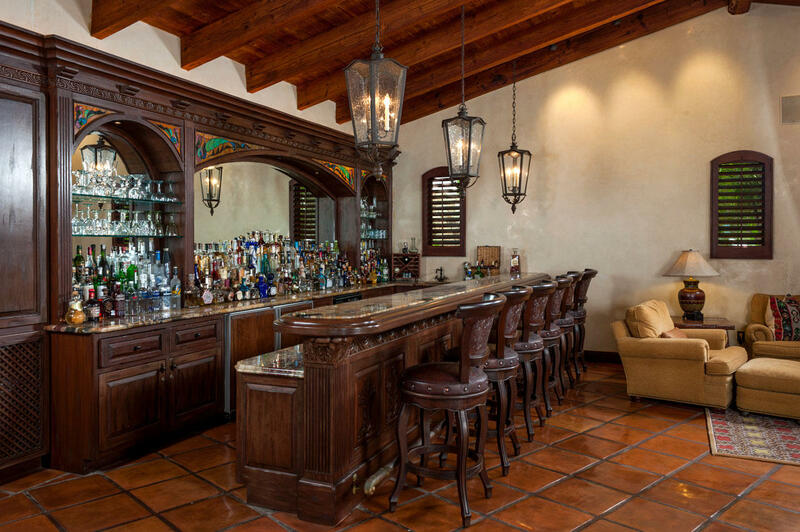 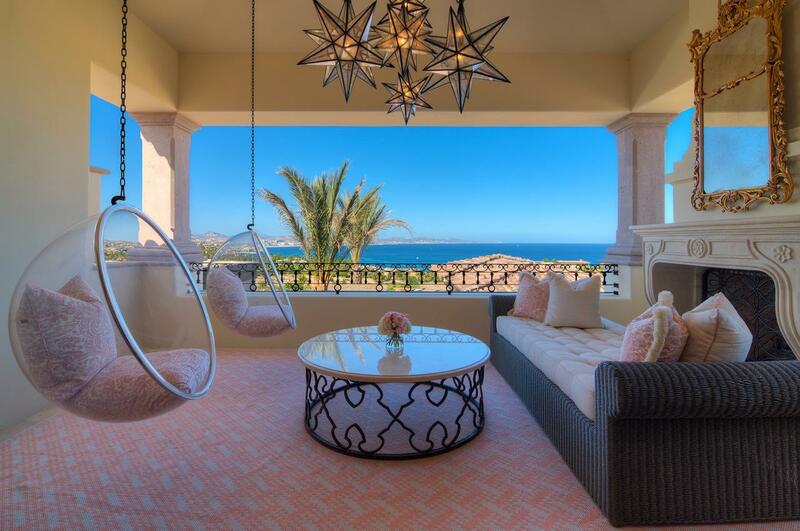 Sure to exceed all your expectations with 4 levels overlooking the Bay of Palmilla. 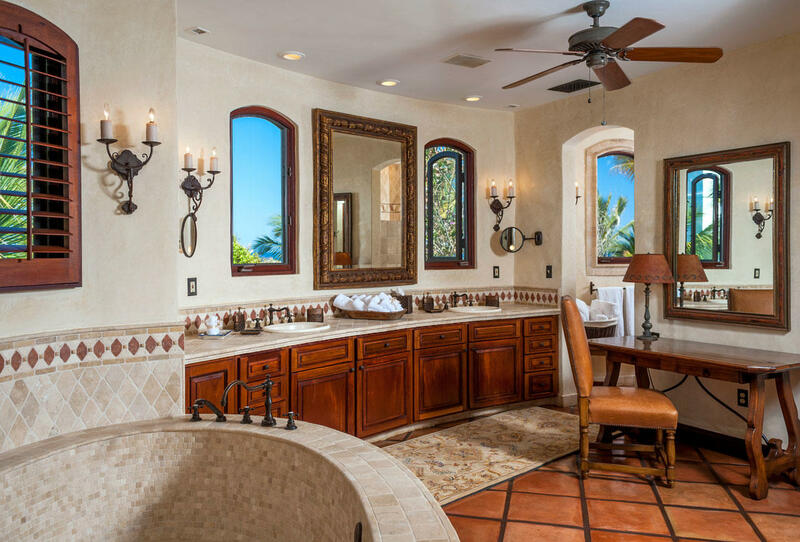 Enjoy the refined tastes and endless amenities of this sprawling estate that offers 10 bedrooms, all with in-suite baths and dressing areas. 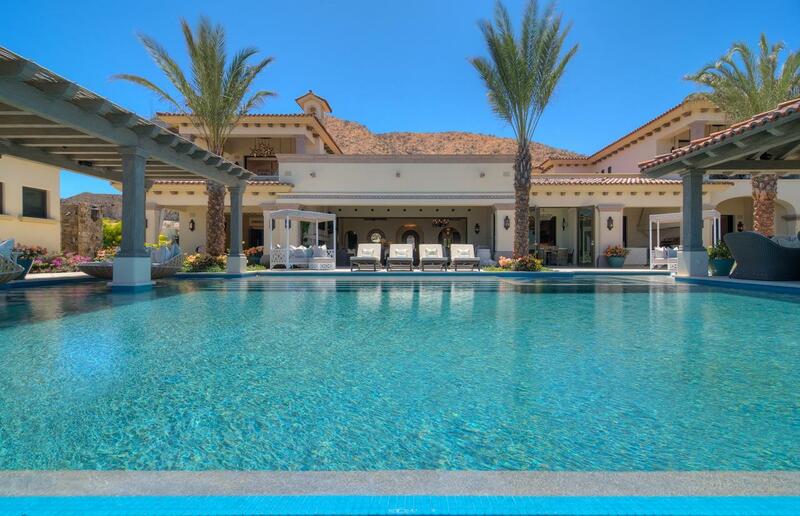 The living and dining areas flow out to an equally stunning outdoor living area that is surrounded by the tranquil water of the swimming and sunning pool. 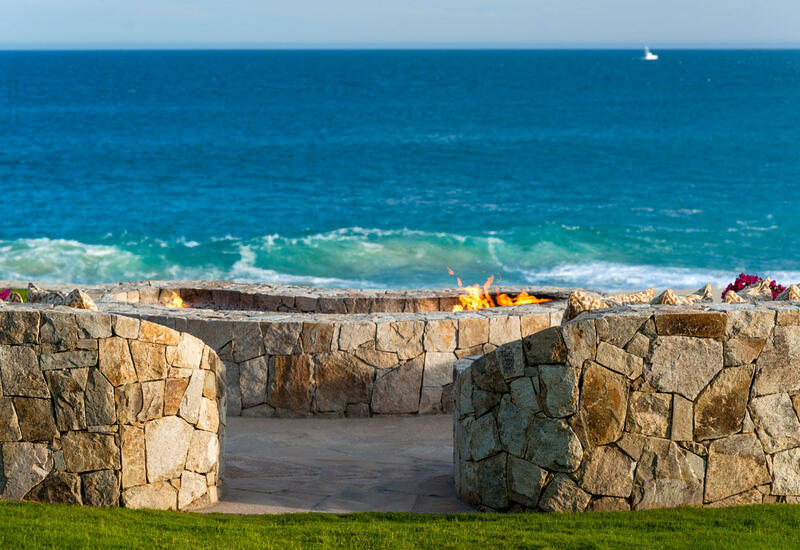 Floating steps take you out to an amazing fire pit where you can gaze at the stars and watch Mother Nature on full display. 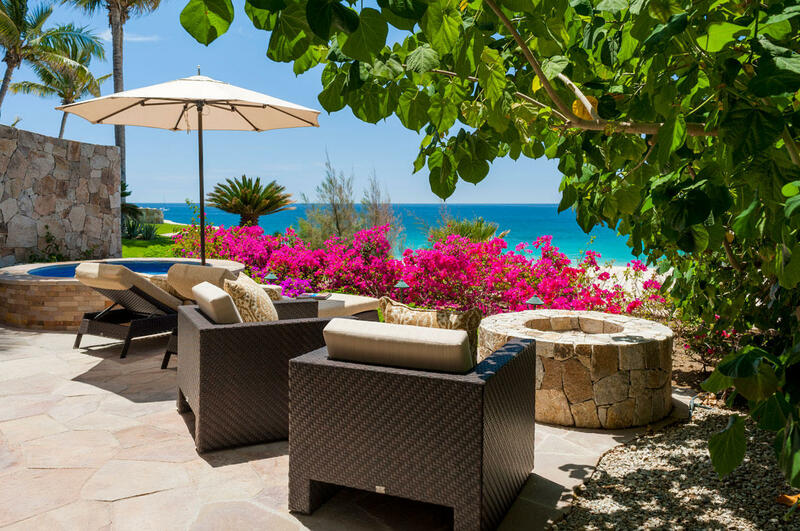 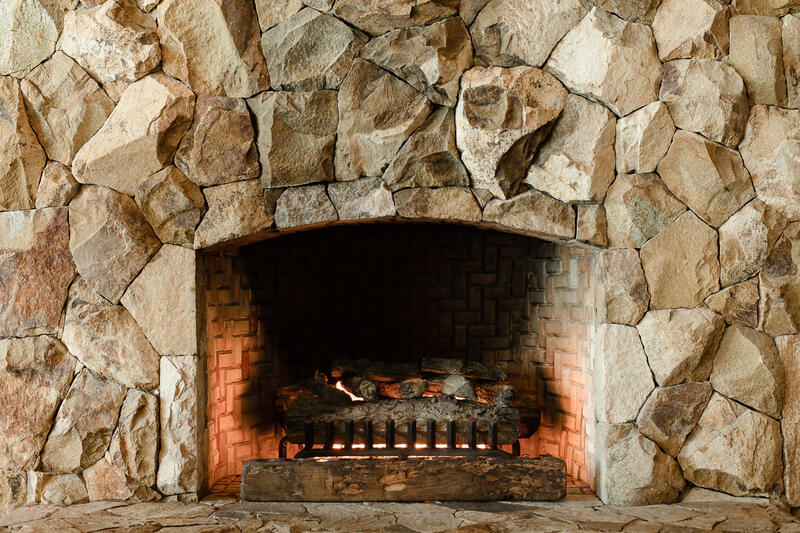 The beautiful blend of privacy and outdoor space will charm your senses and recharge your body, mind and spirit. 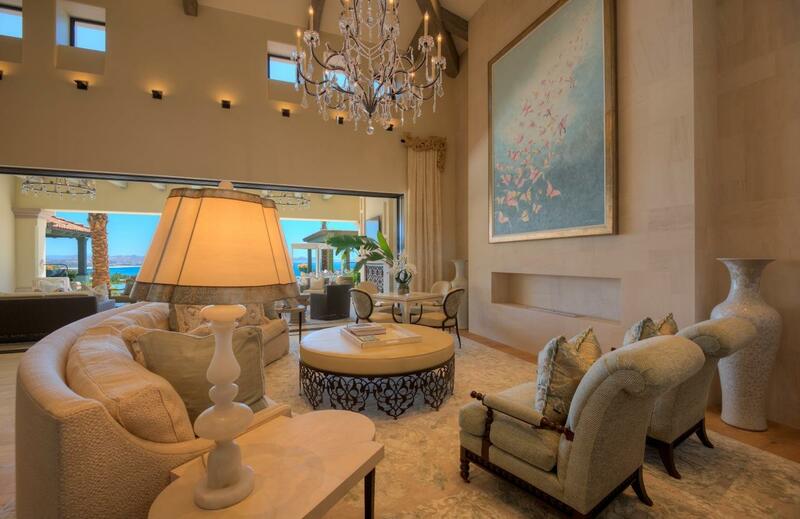 Luxury ~ Pure and Simple. 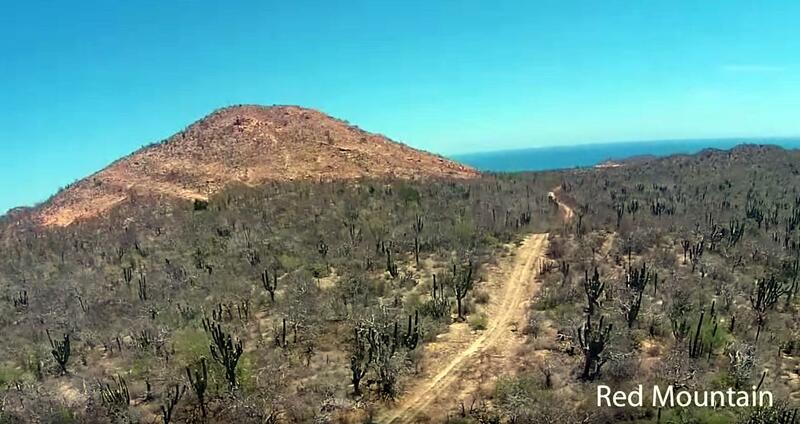 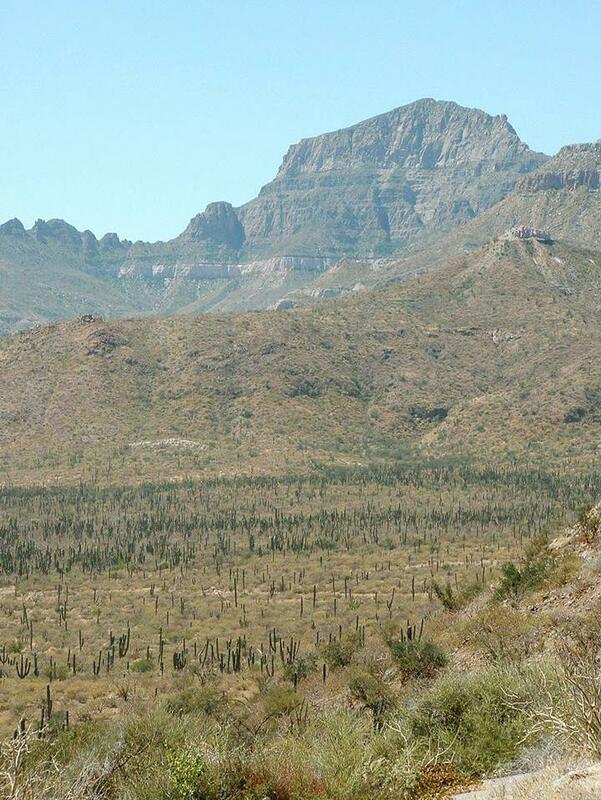 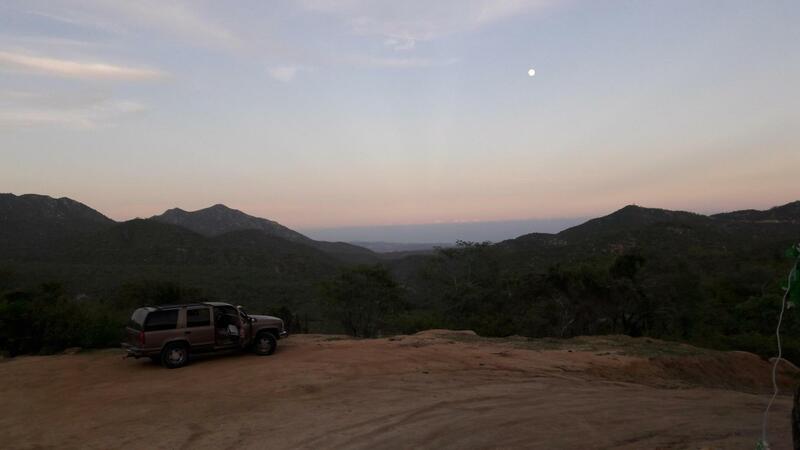 Description: Beautiful and spectacular ranch of 685 hectare(1,692 ACRES) which includes plenty of water, spectacular views and located just a few minutes from San Jose del Cabo. 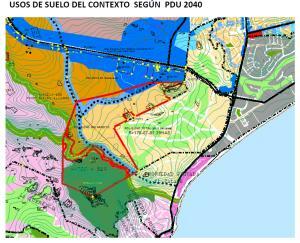 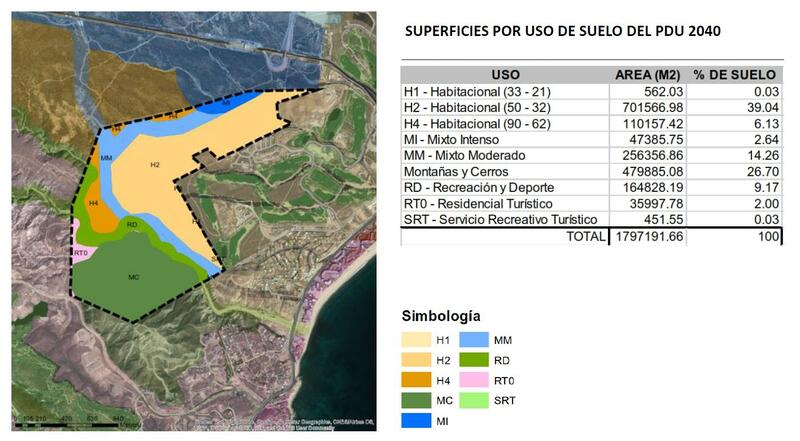 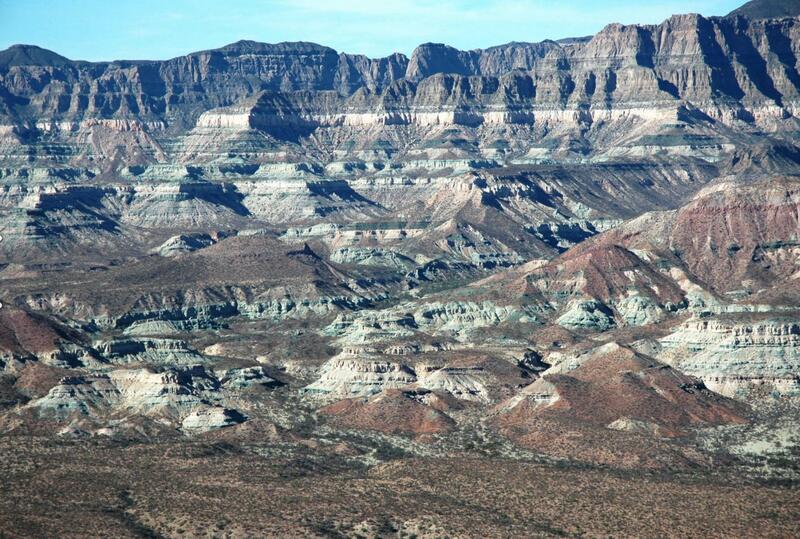 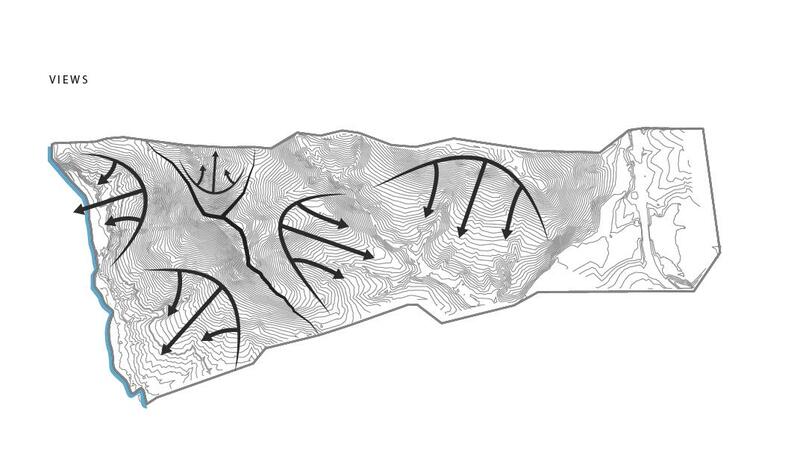 Numerous options to develop a sustainable eco development. 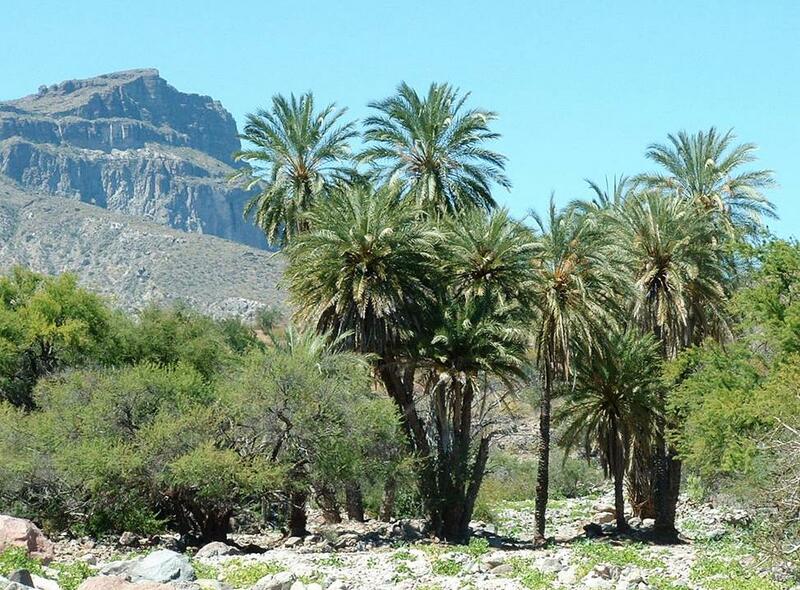 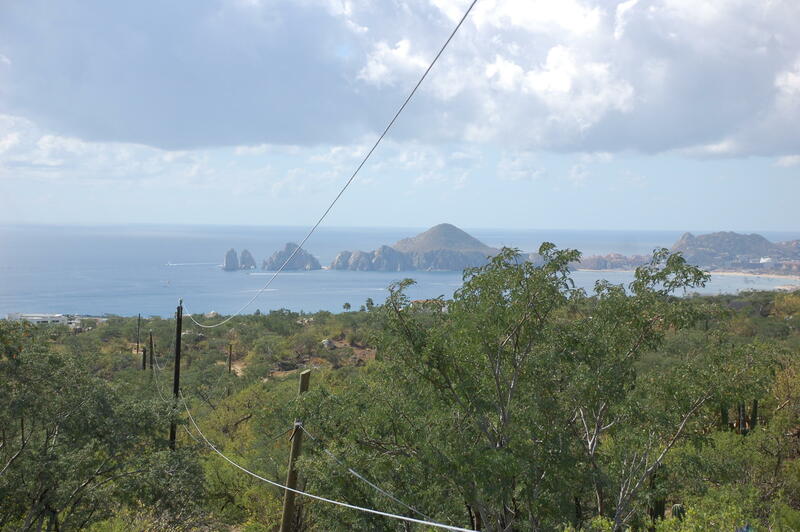 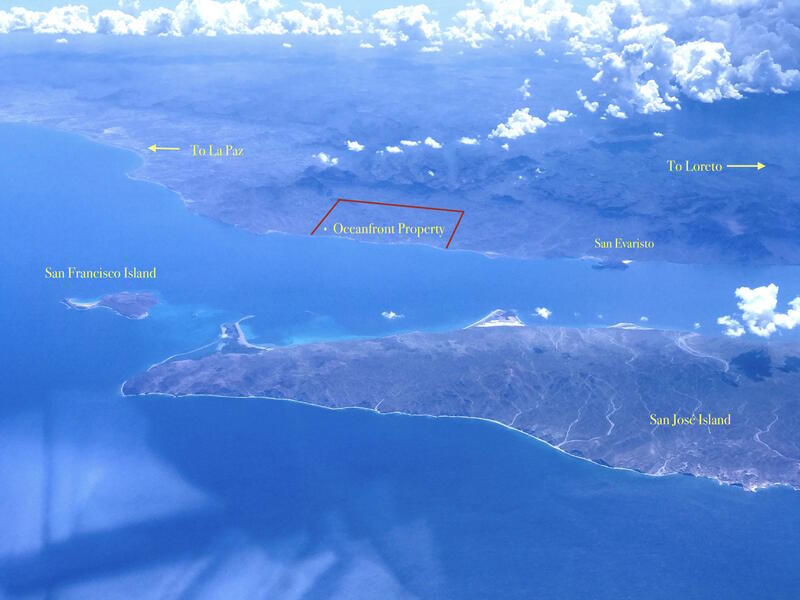 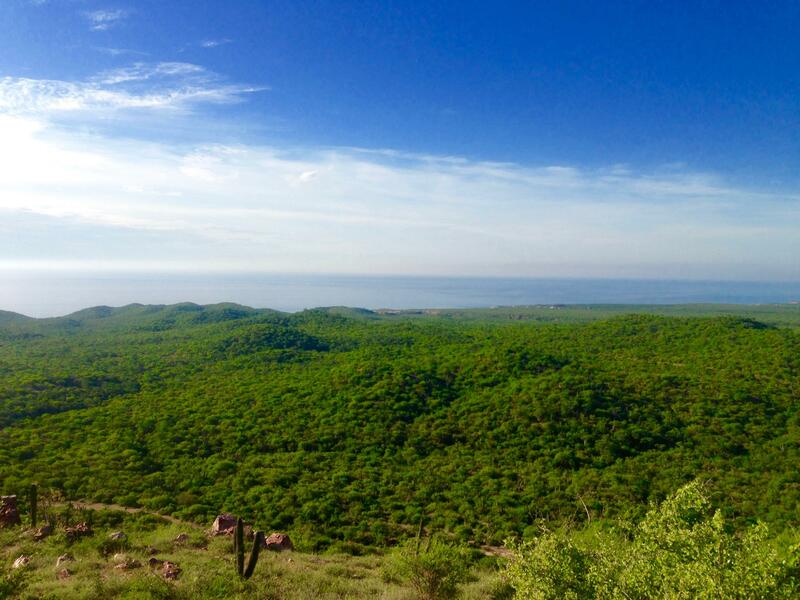 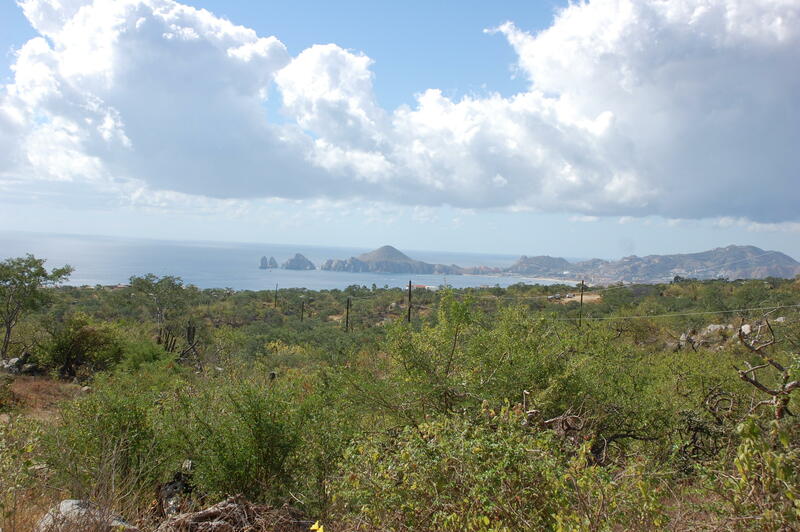 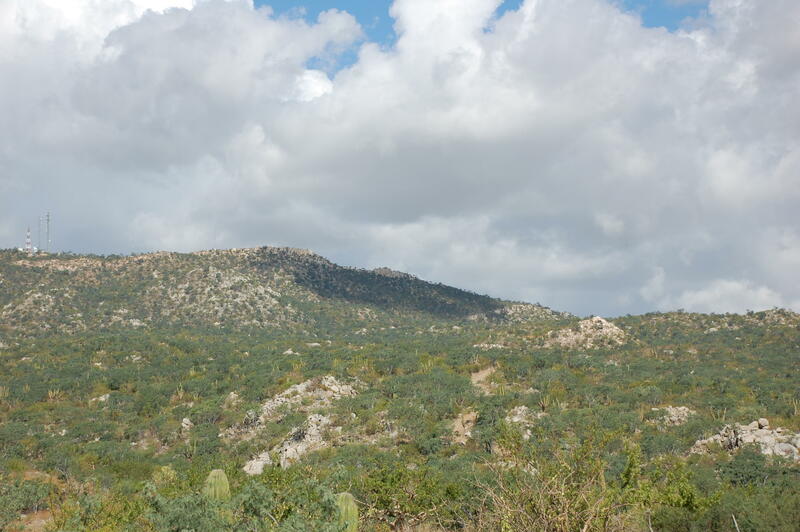 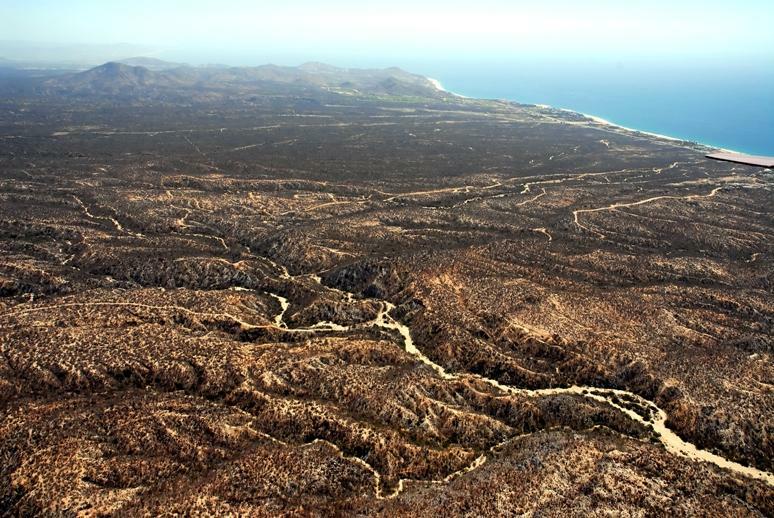 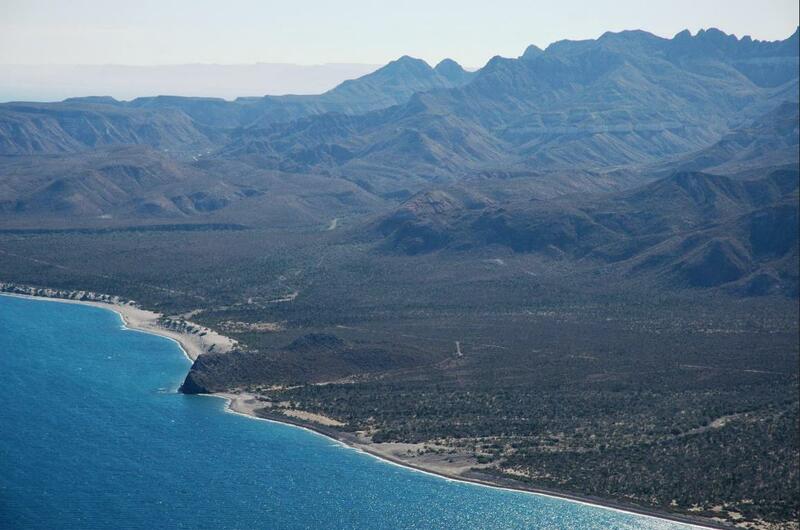 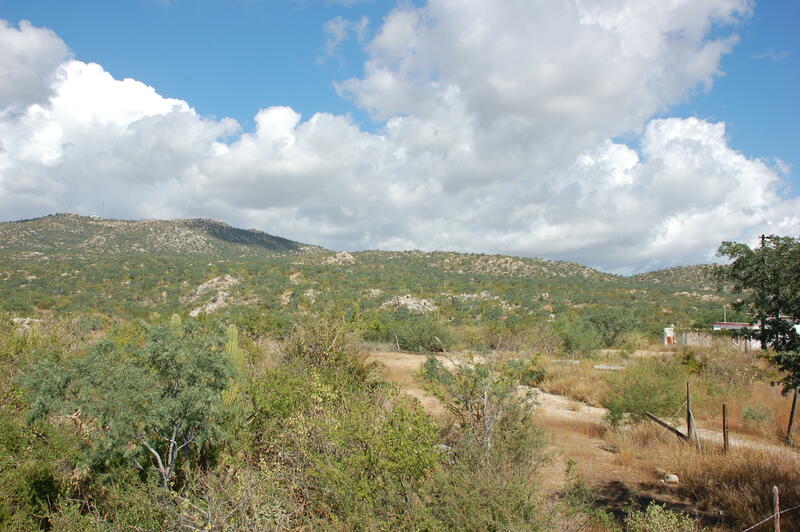 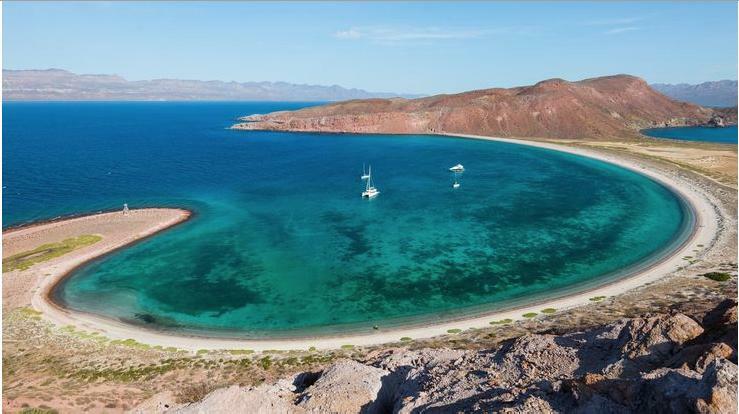 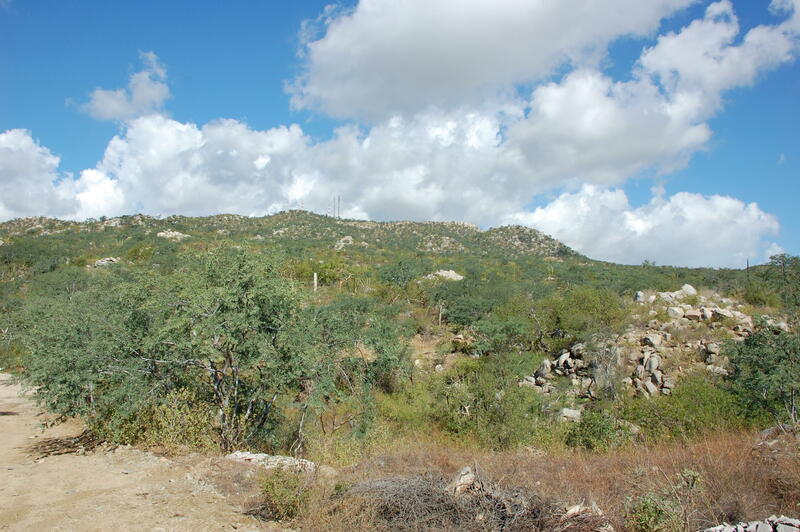 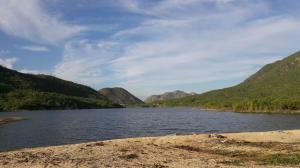 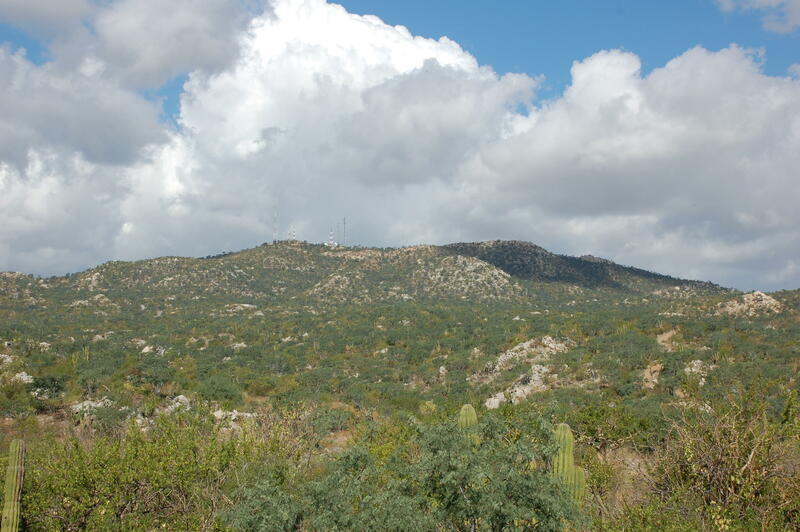 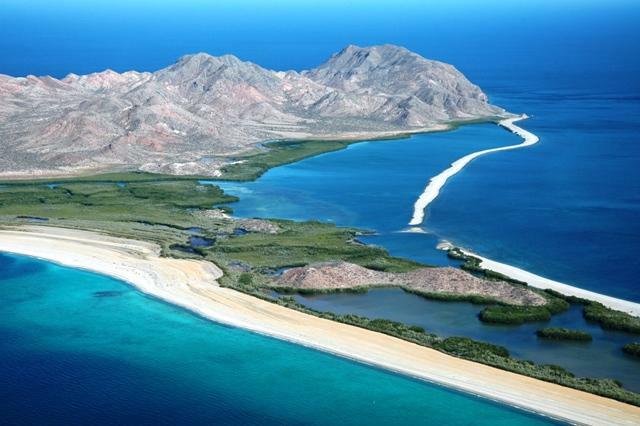 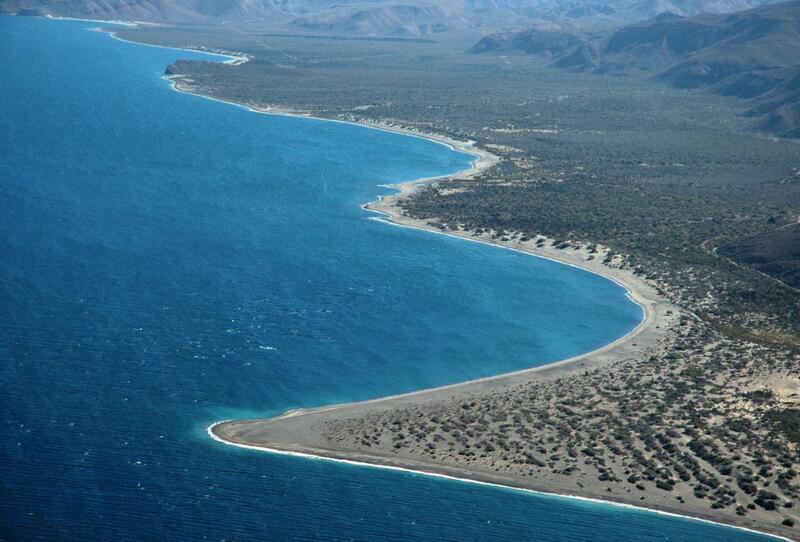 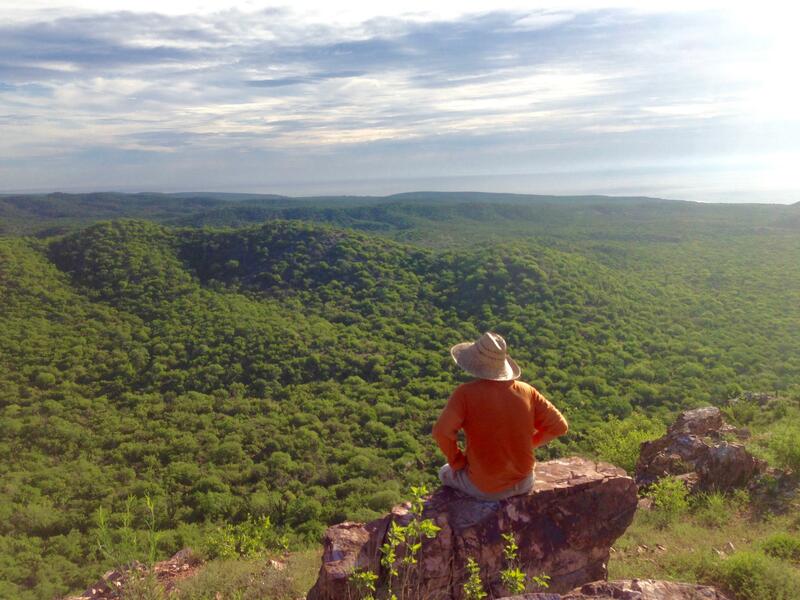 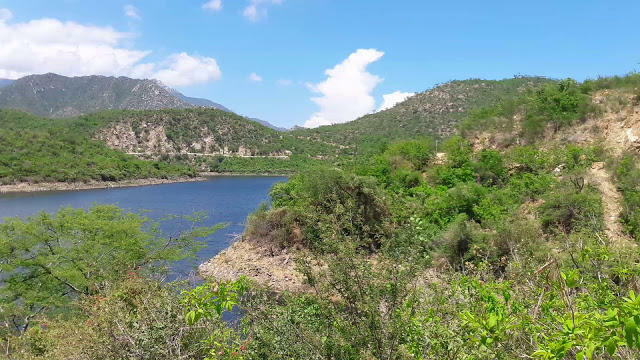 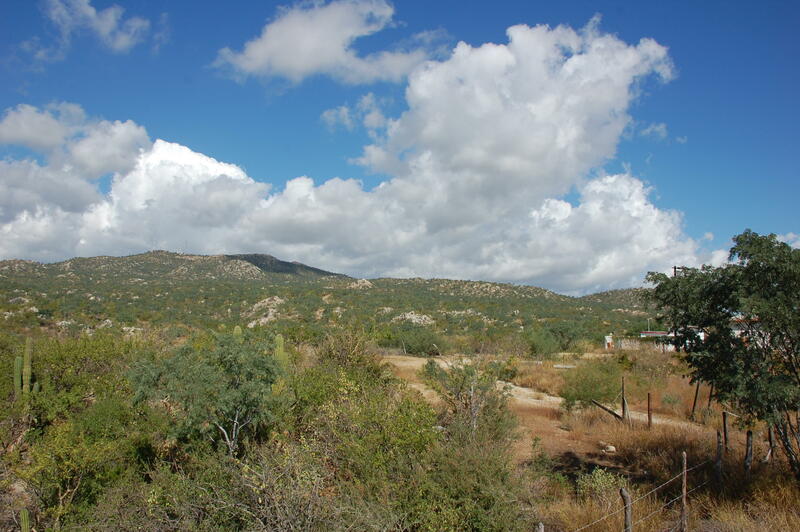 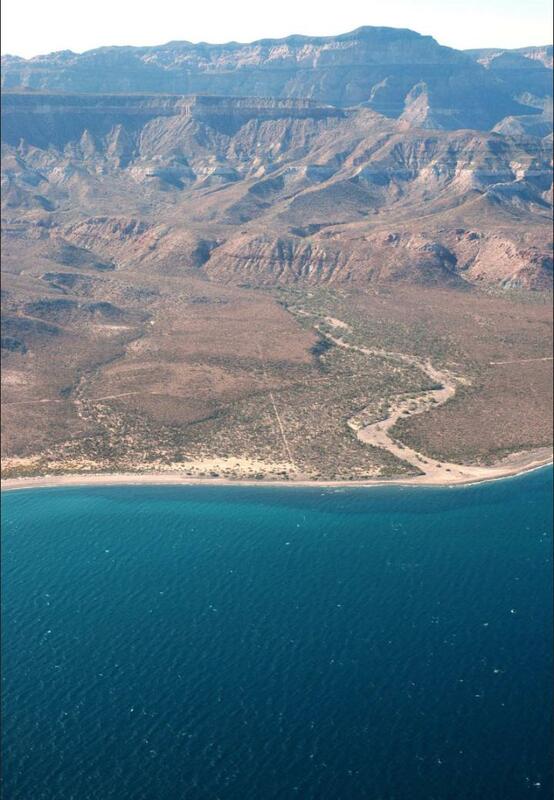 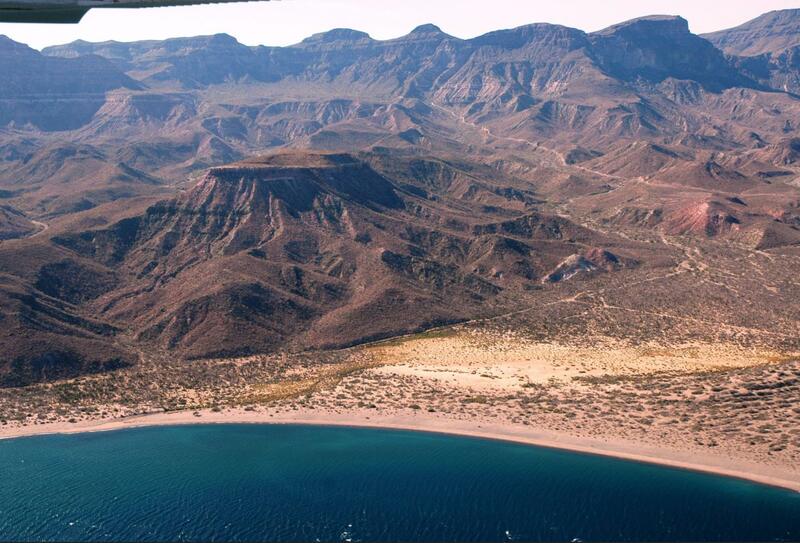 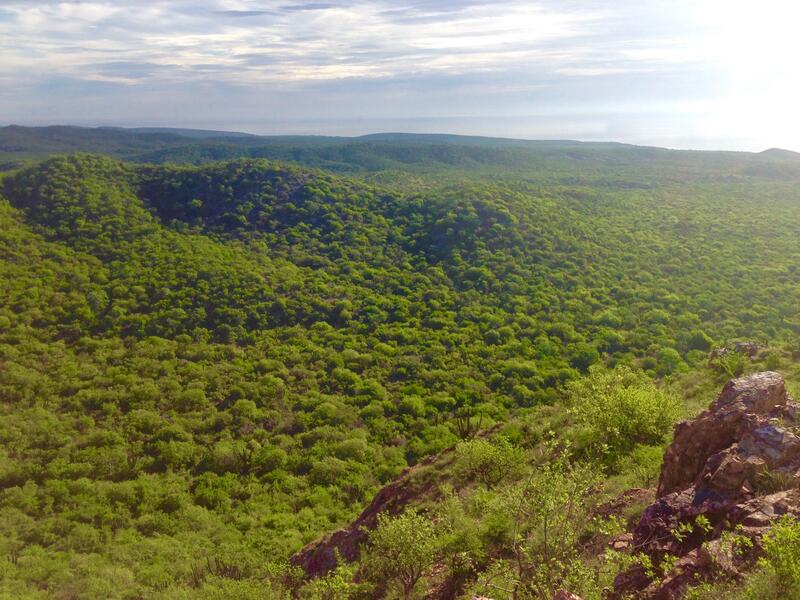 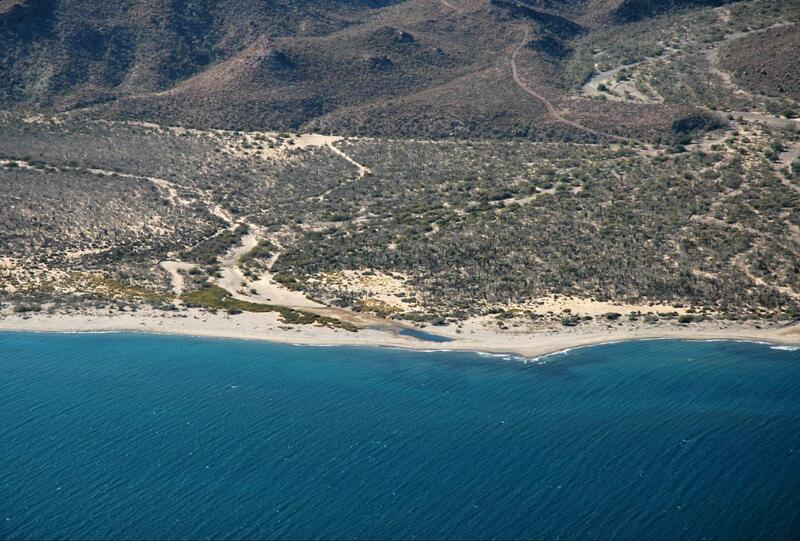 The San Lazaro reservoir, a major source of water in Los Cabos is located within the acreage. 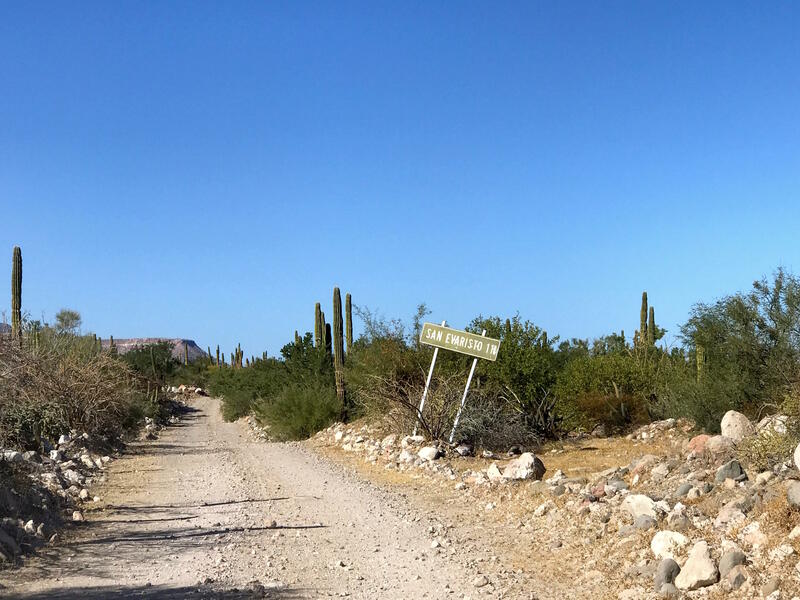 Non motorized sports such as SUP, Kayak permitted. 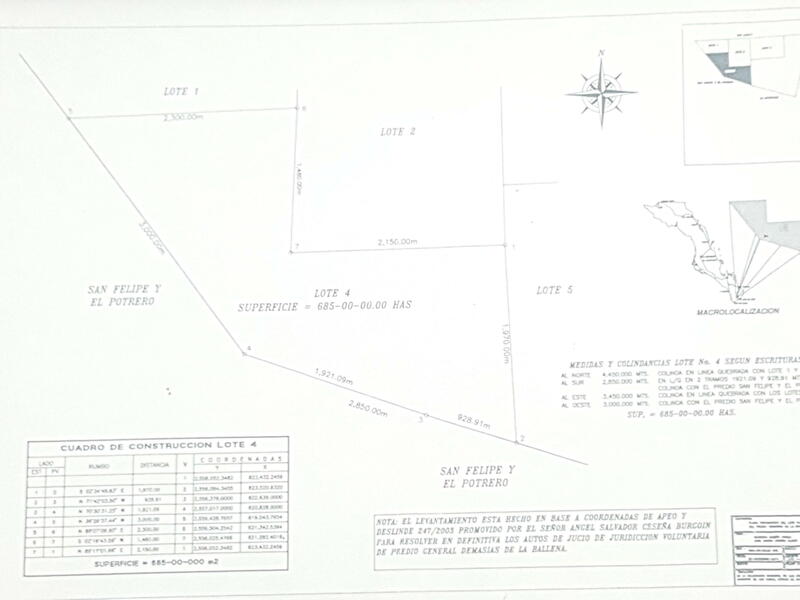 Owner may draw water for personal consupmtion. 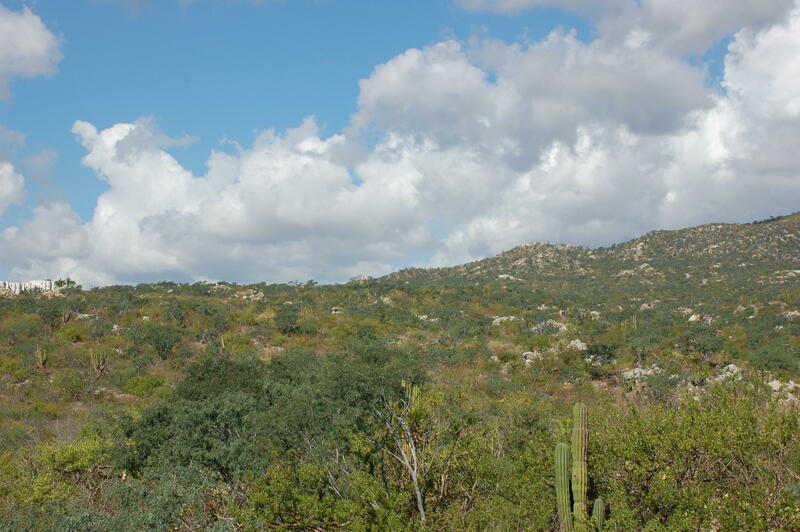 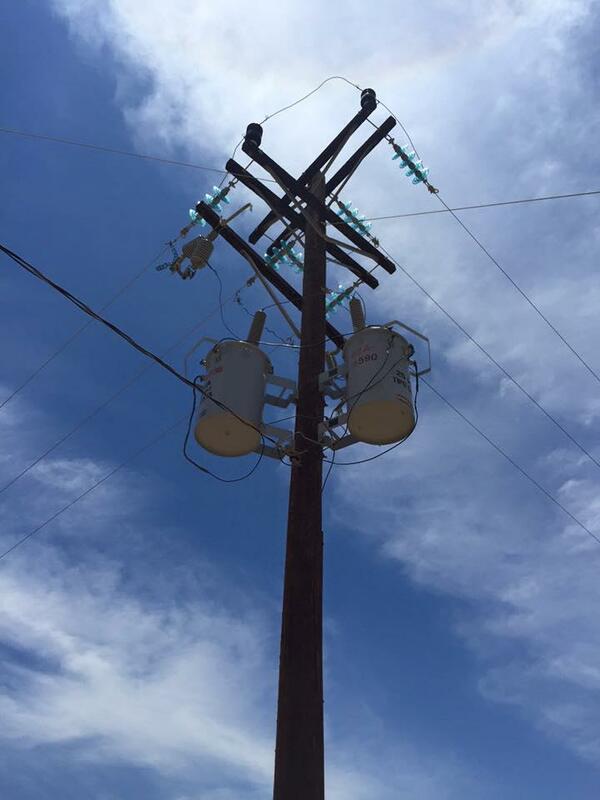 For a development the normal permit process is required. 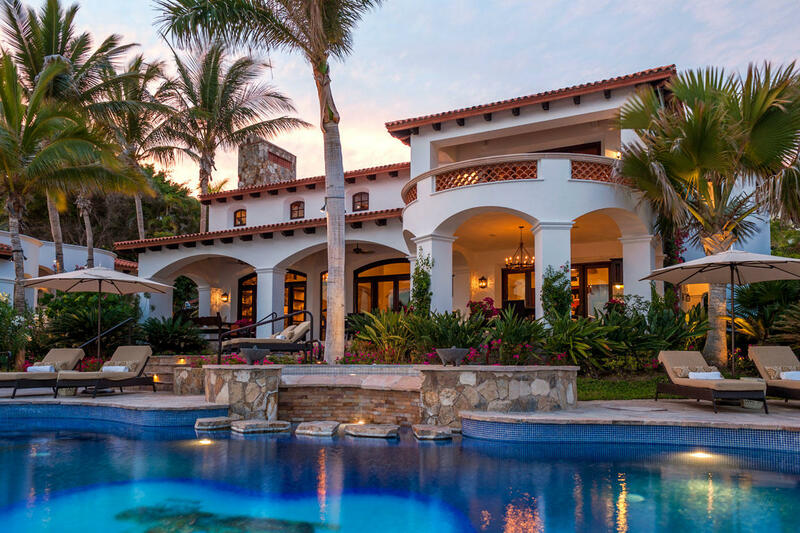 All offers are considered.